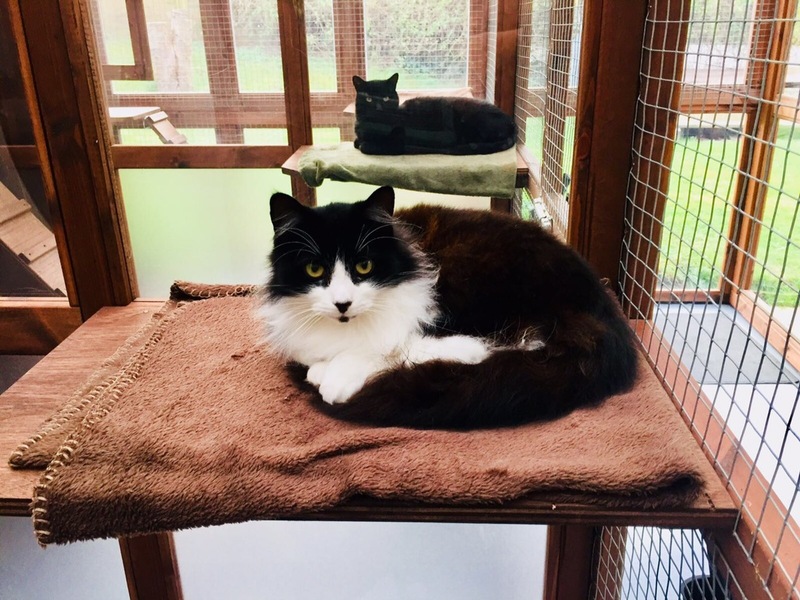 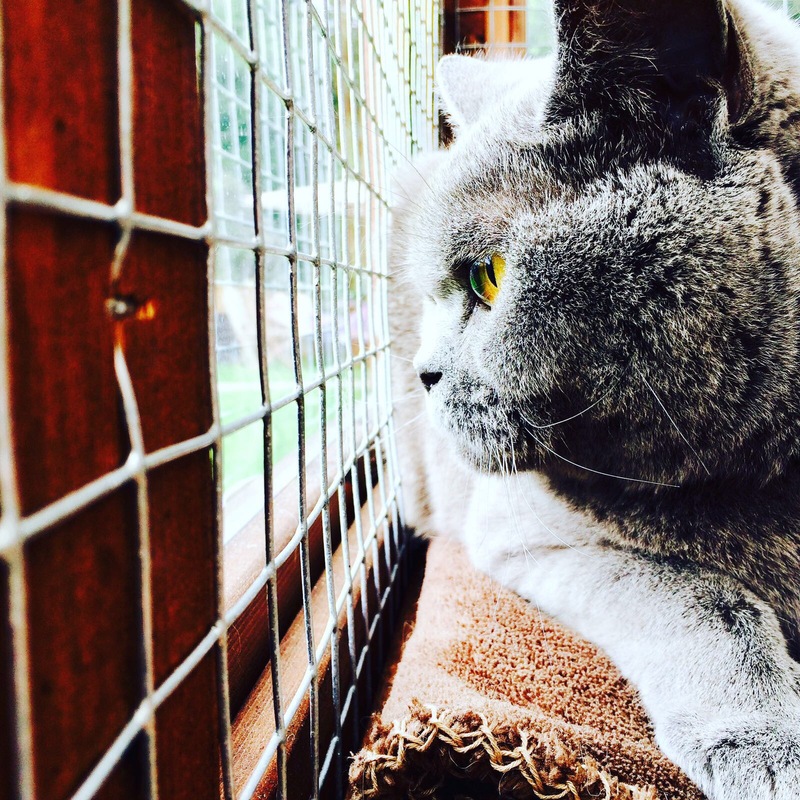 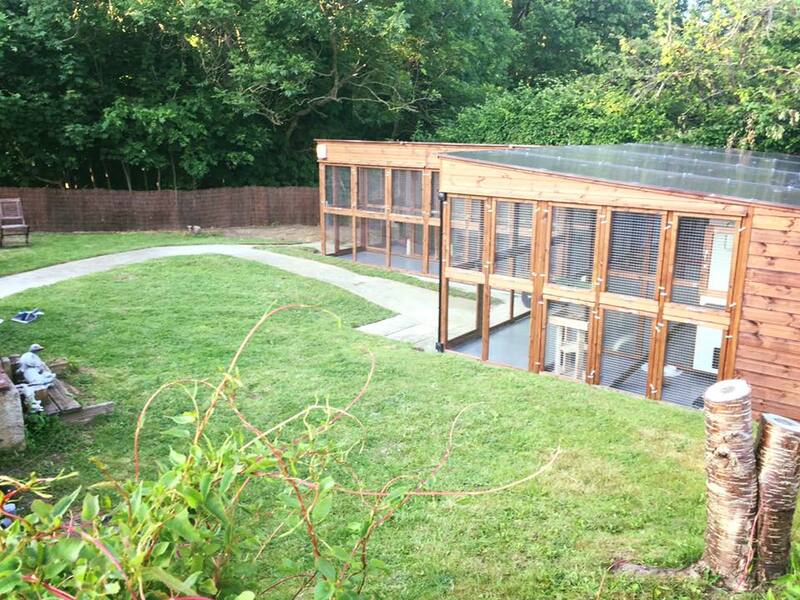 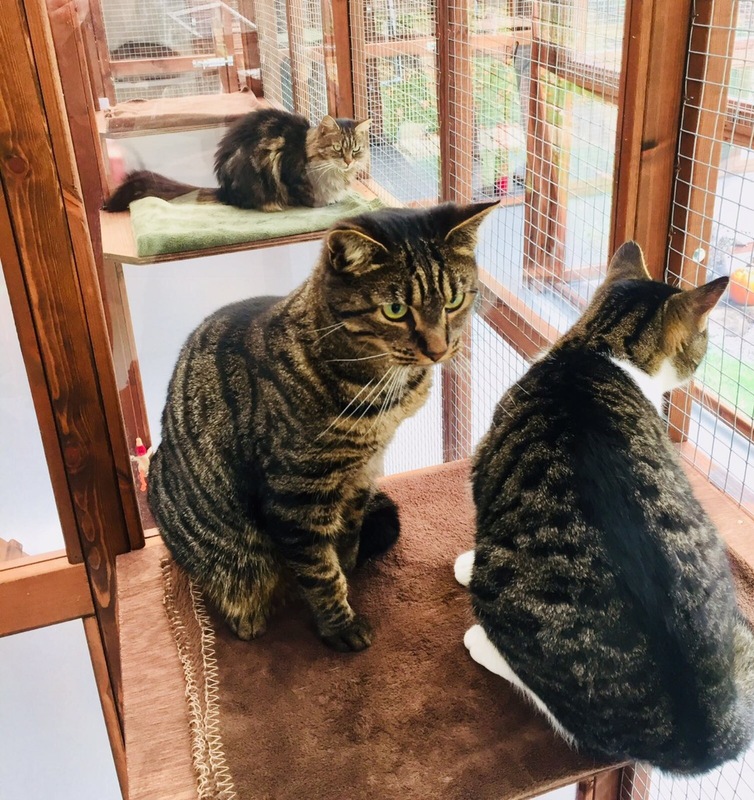 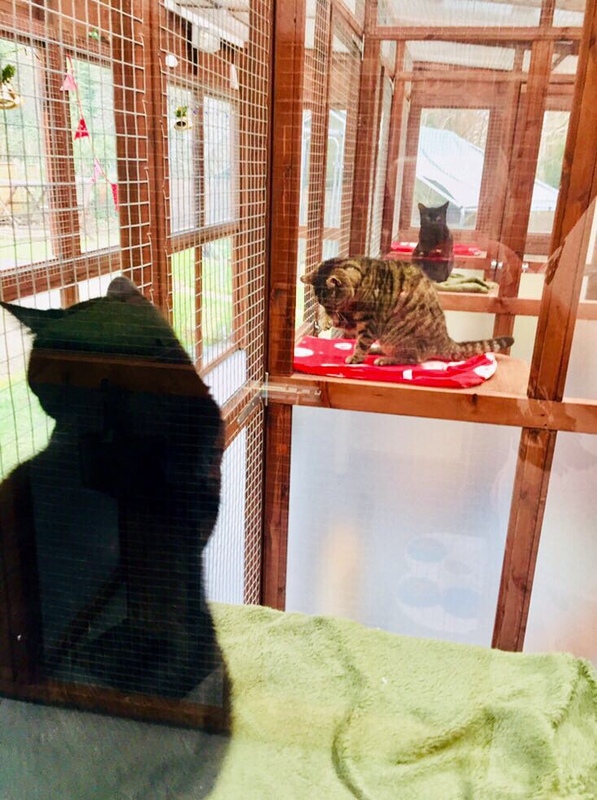 Our Cattery is situated on the convenient A30, set back and invisible from the road and bordered by tranquil woodland. 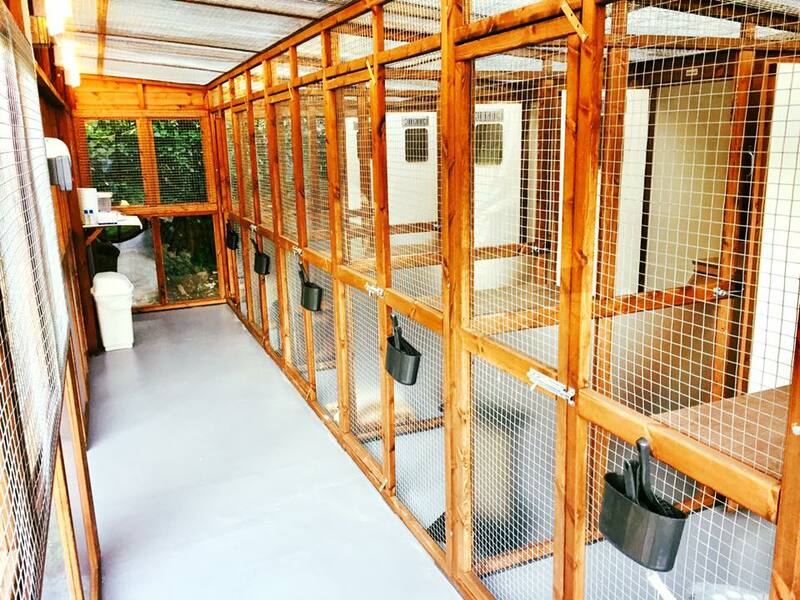 Our guests can enjoy watching the local birds, butterflies, squirrels rabbits and our own chickens play. 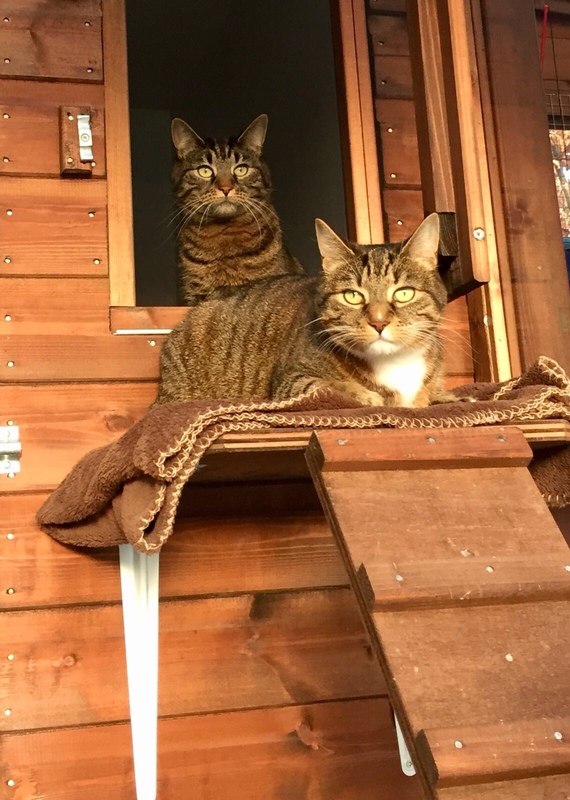 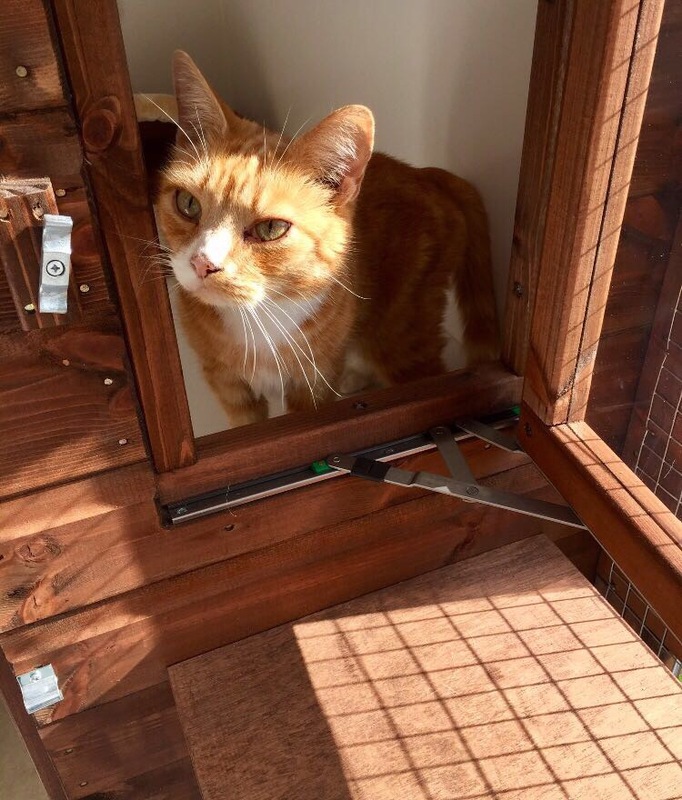 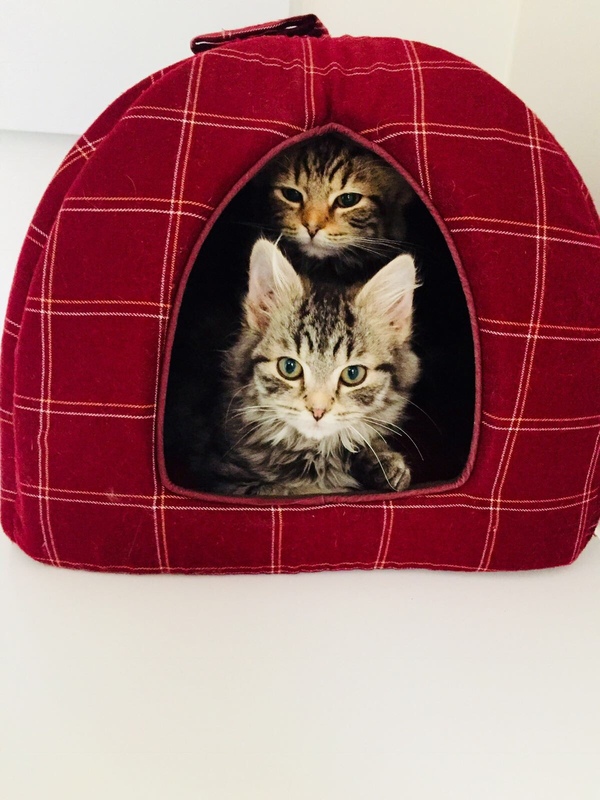 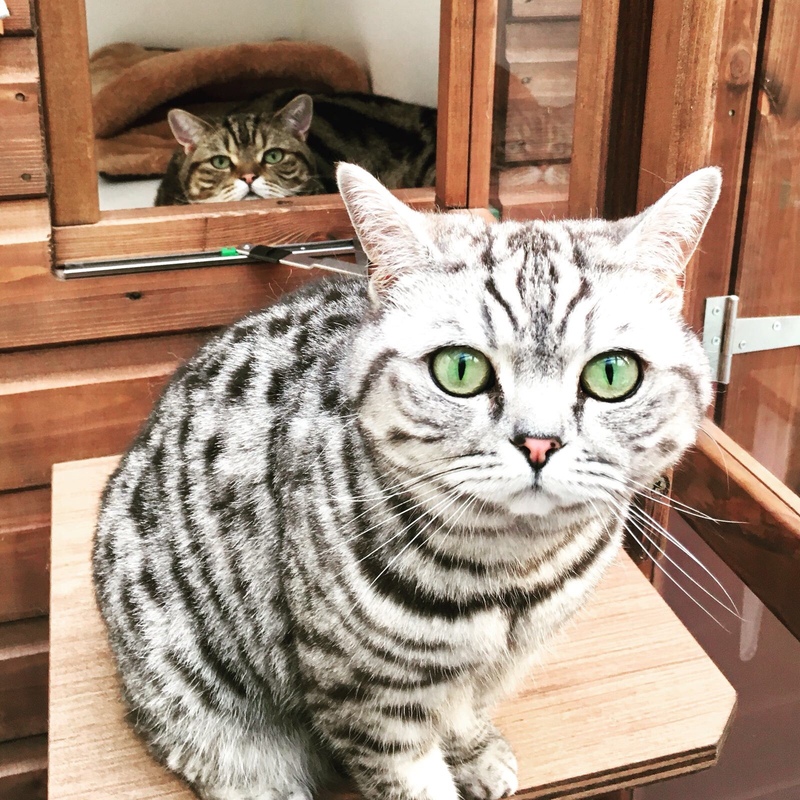 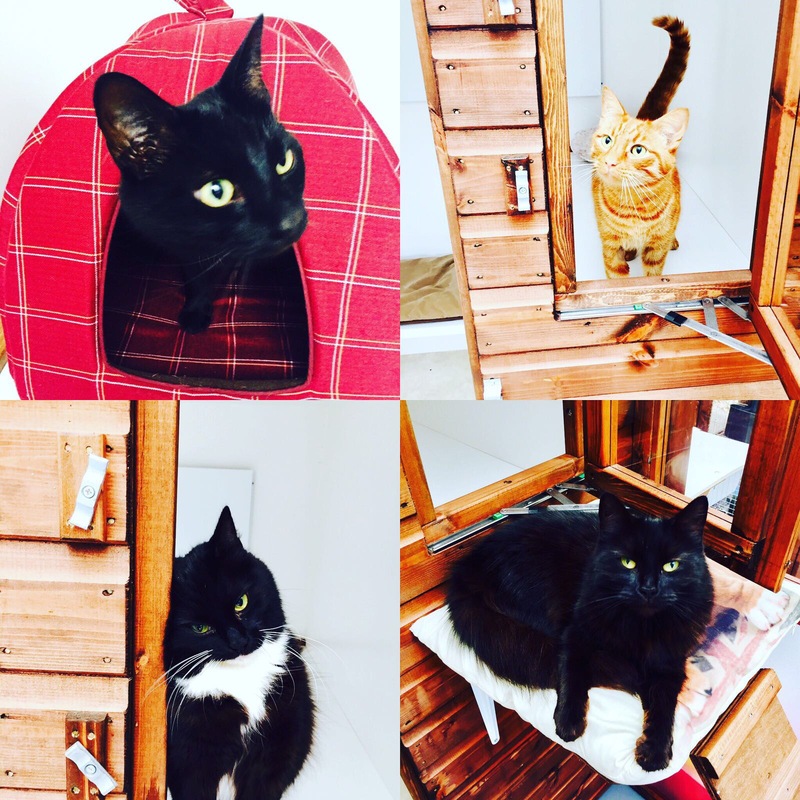 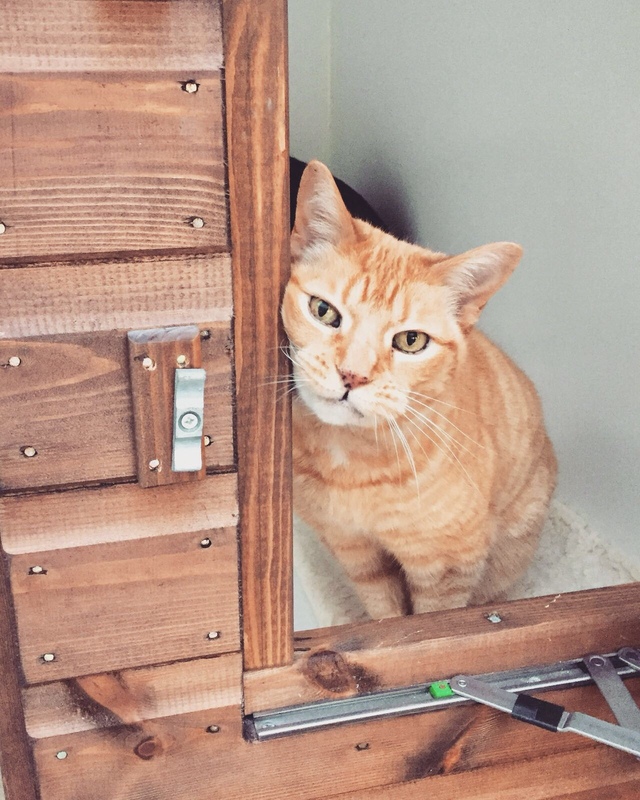 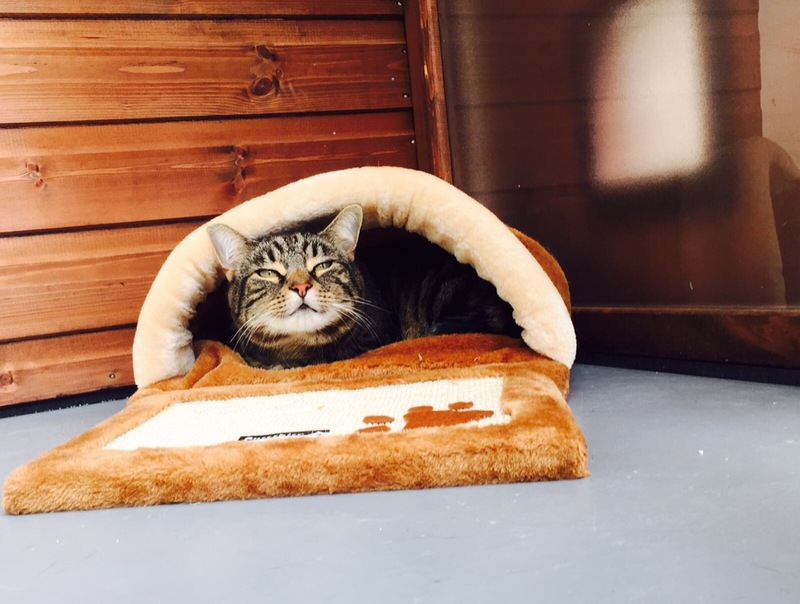 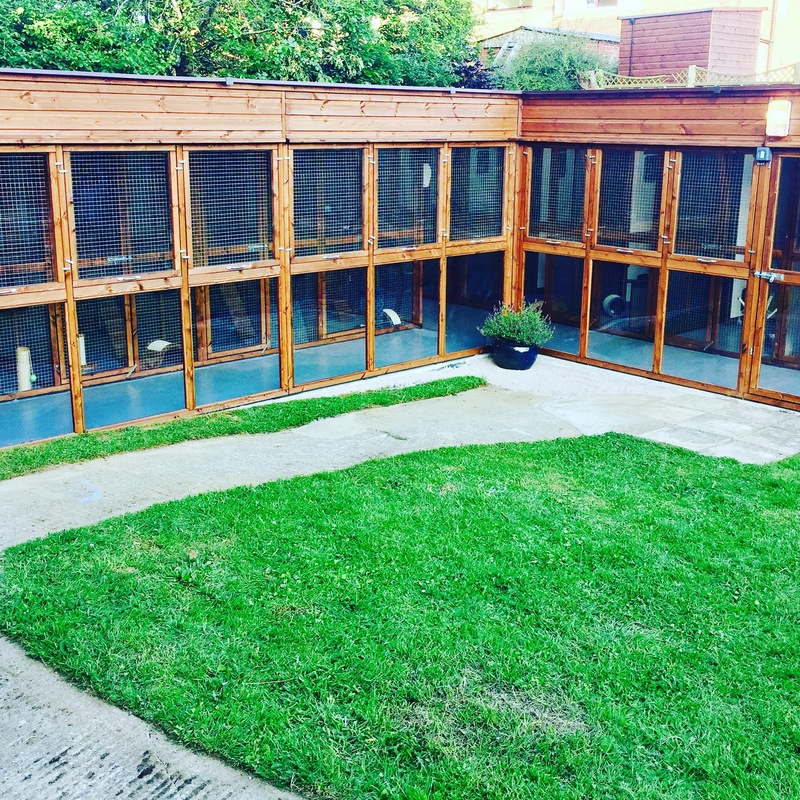 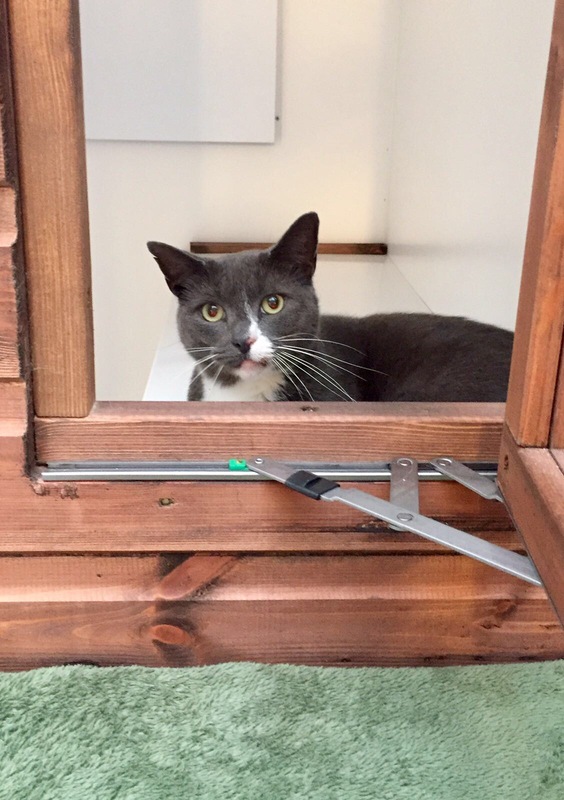 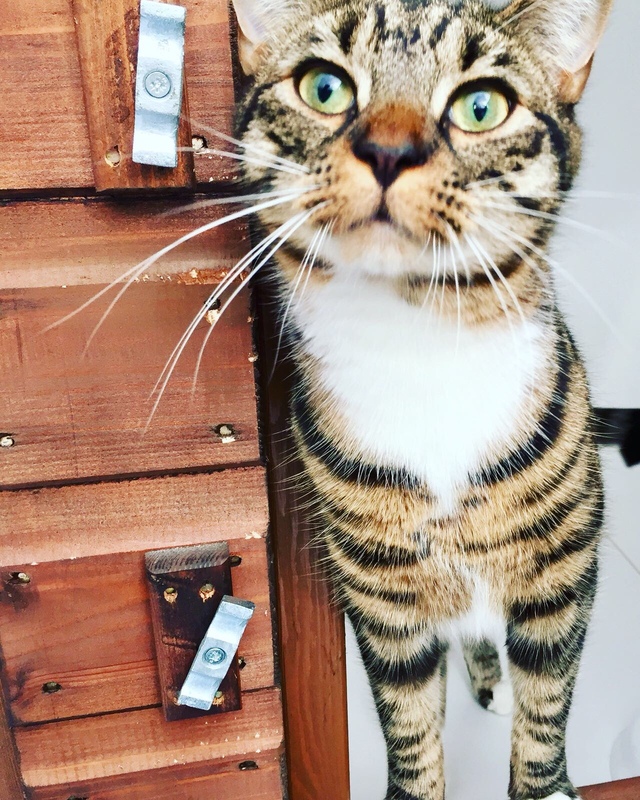 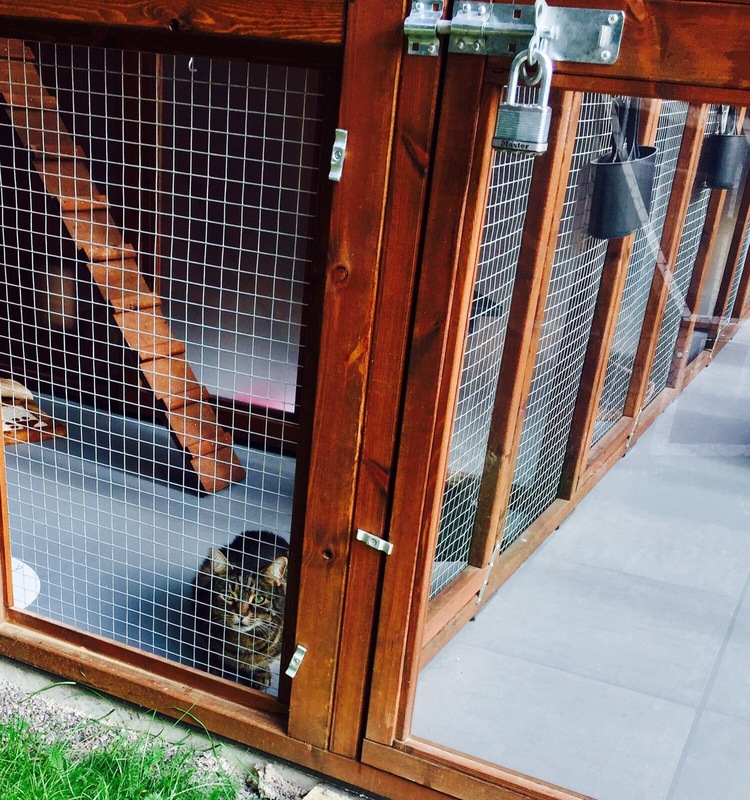 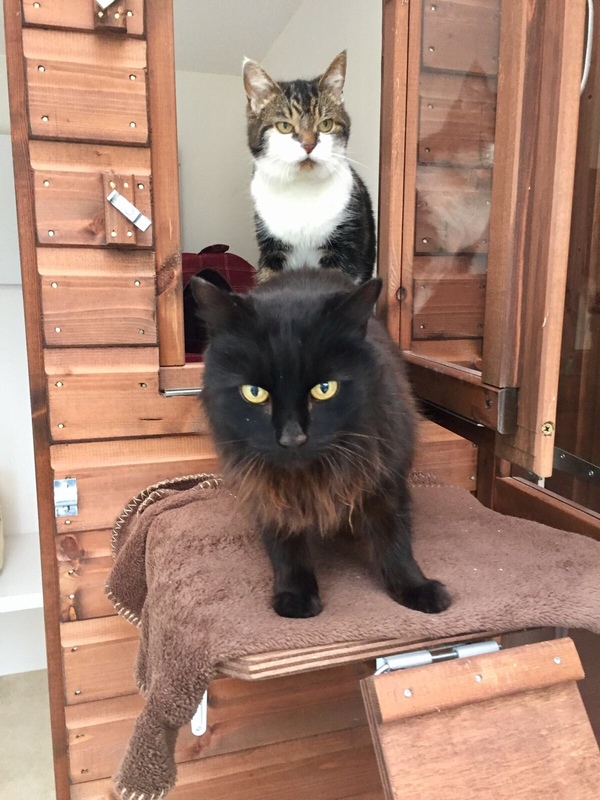 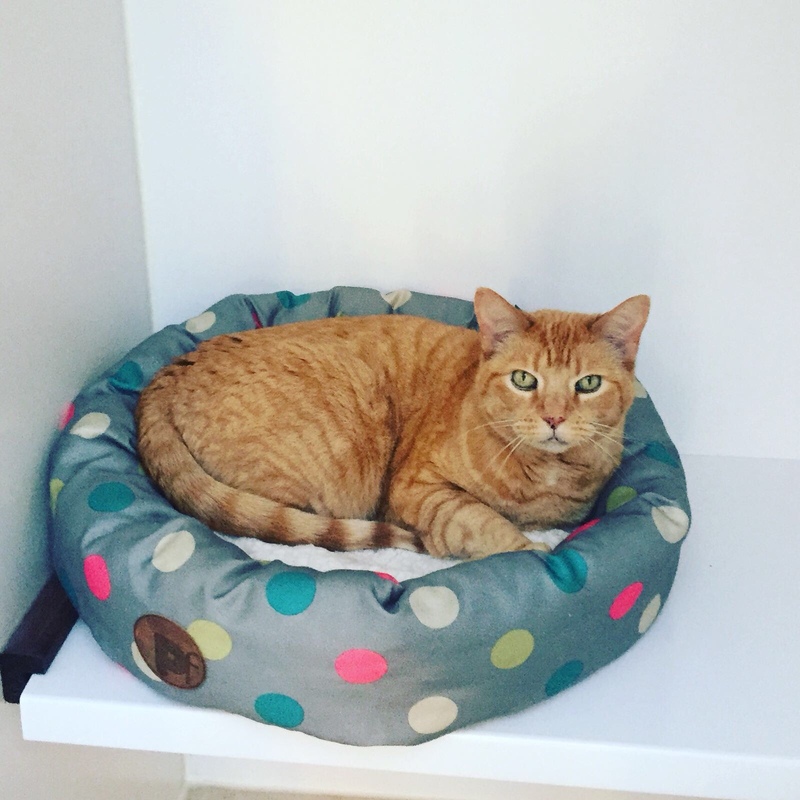 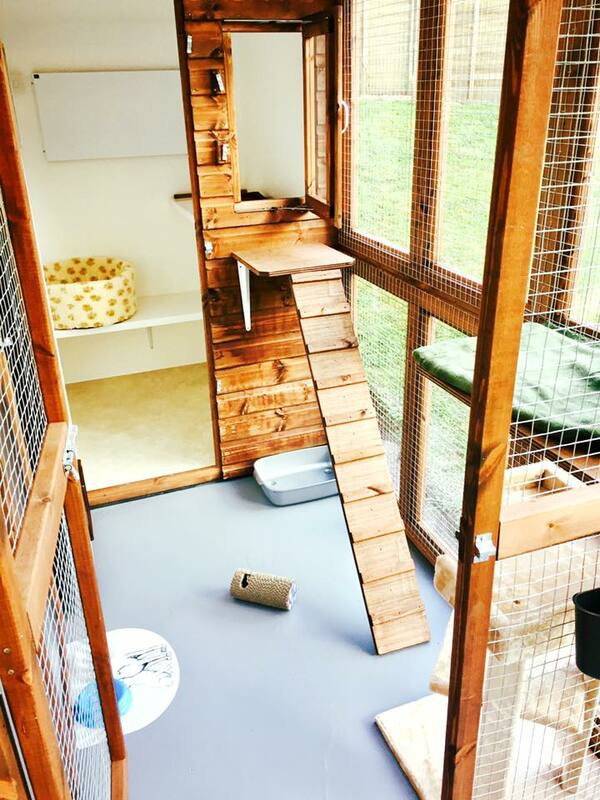 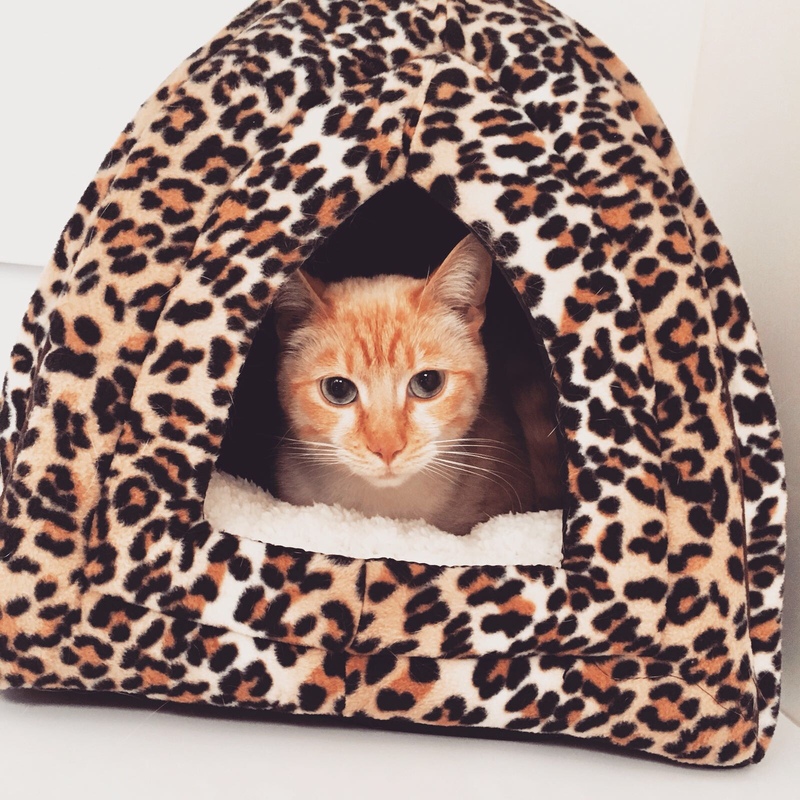 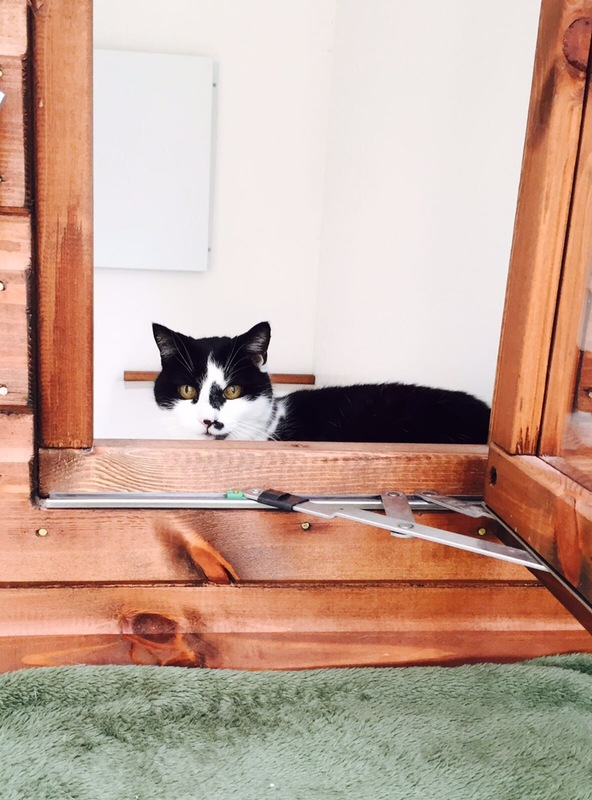 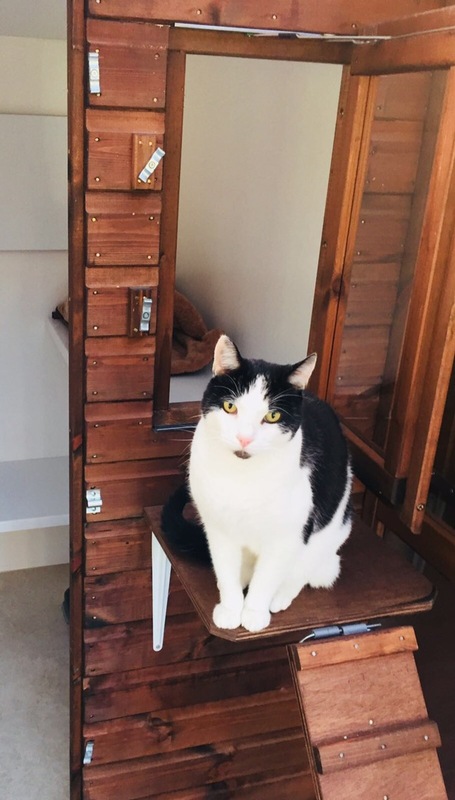 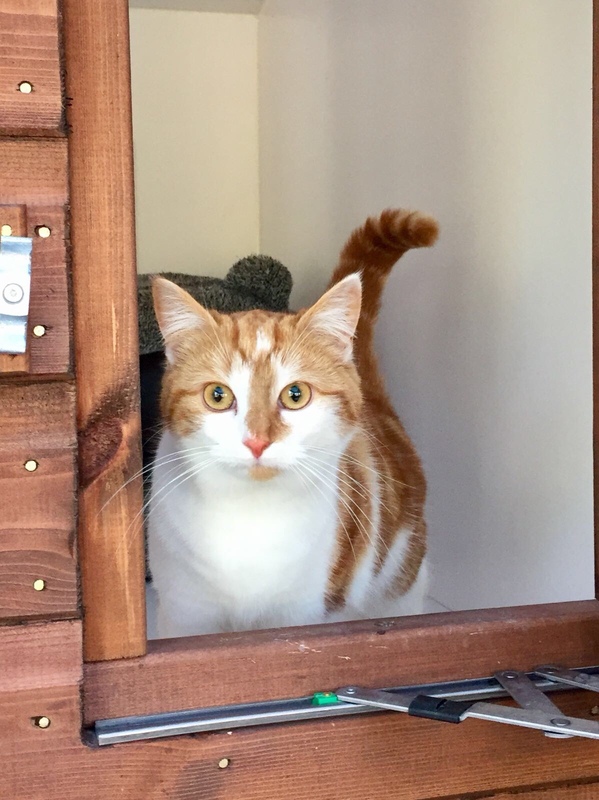 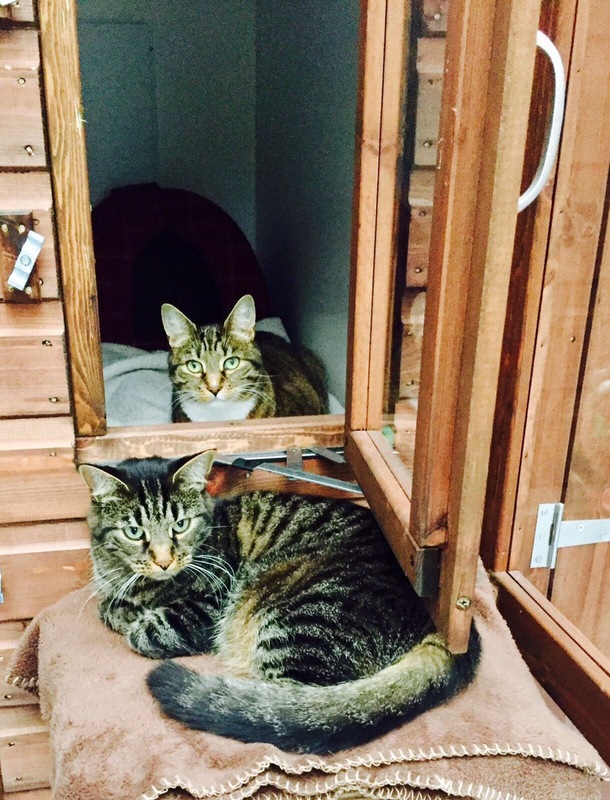 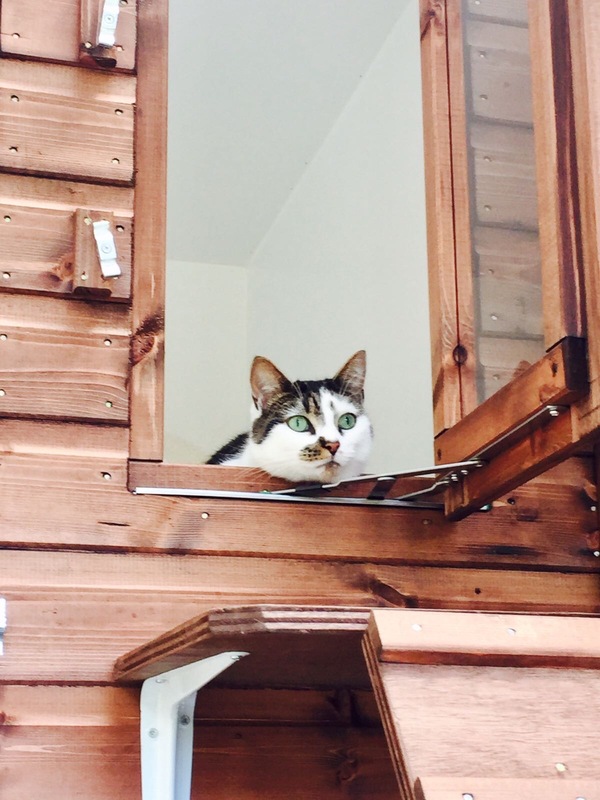 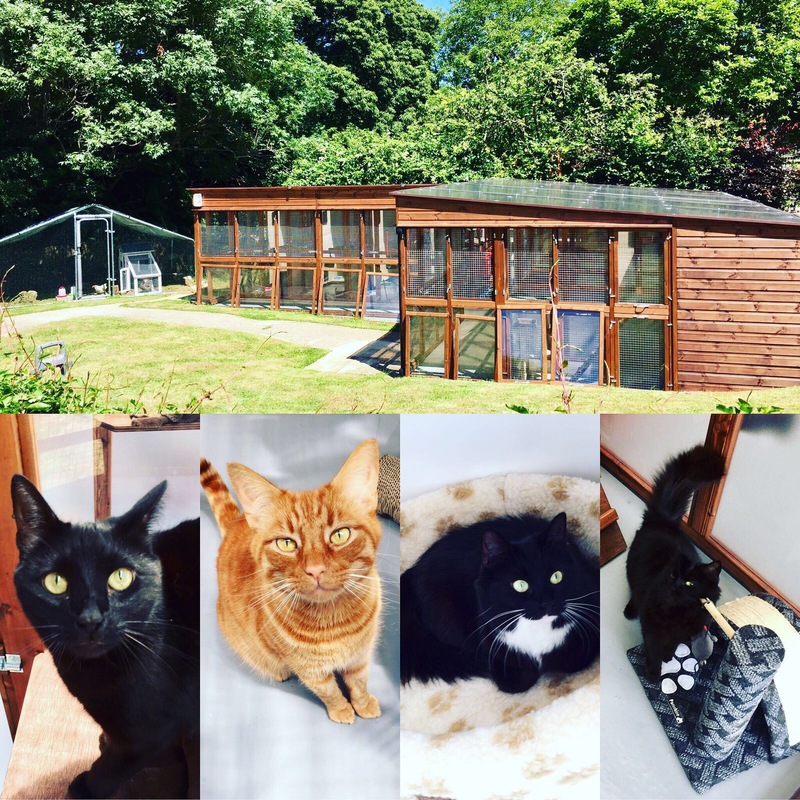 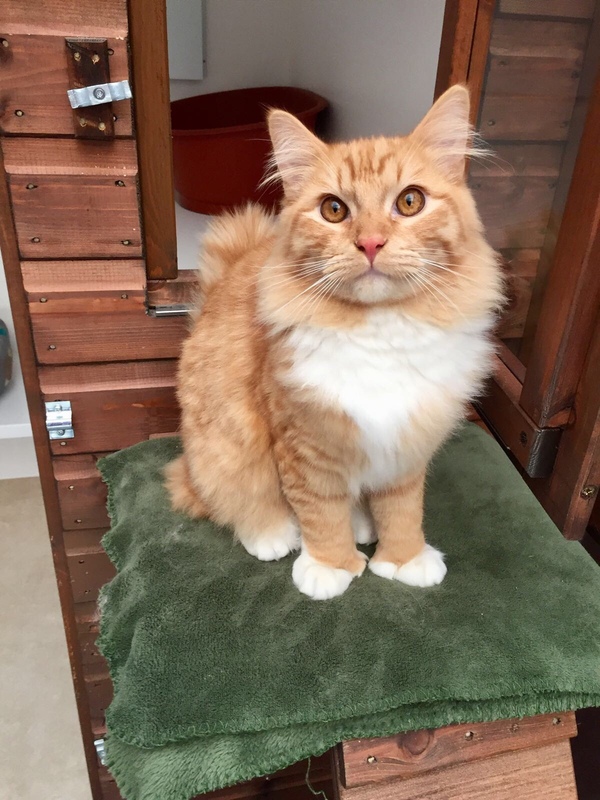 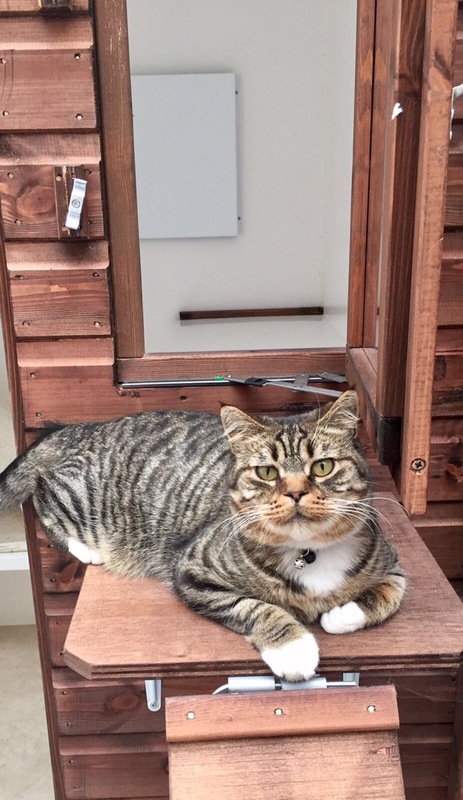 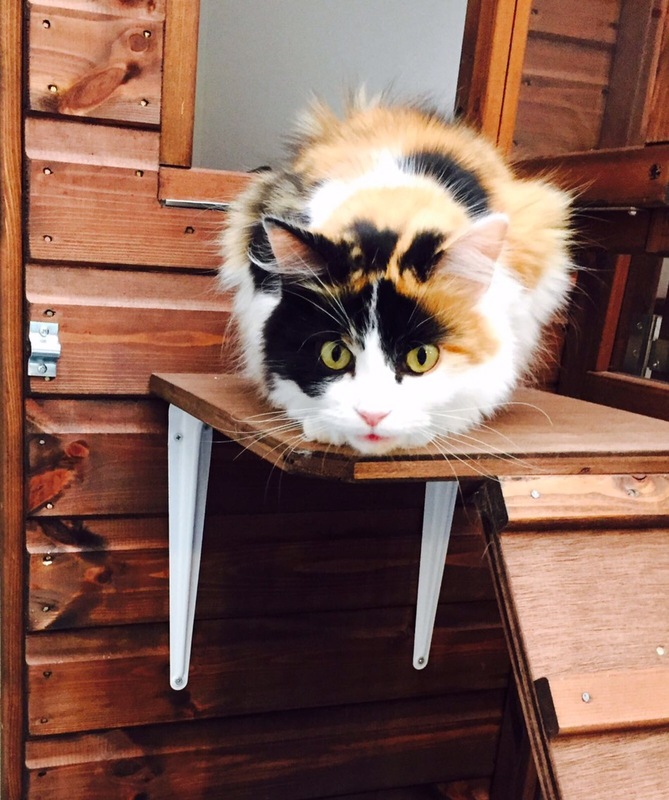 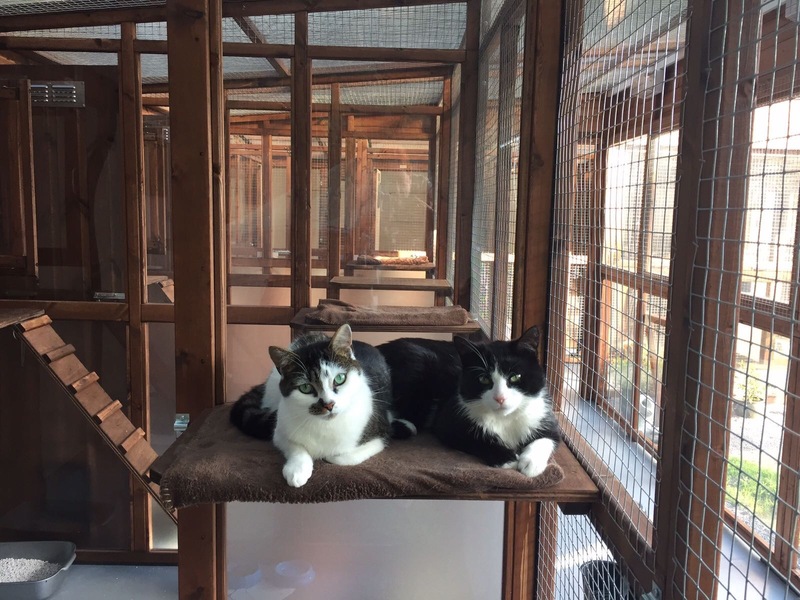 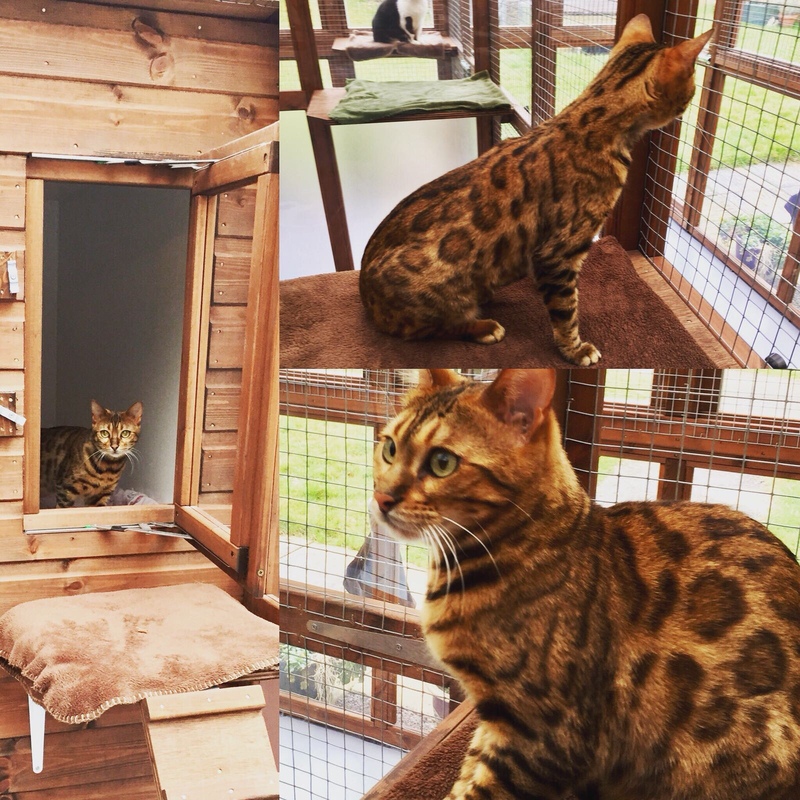 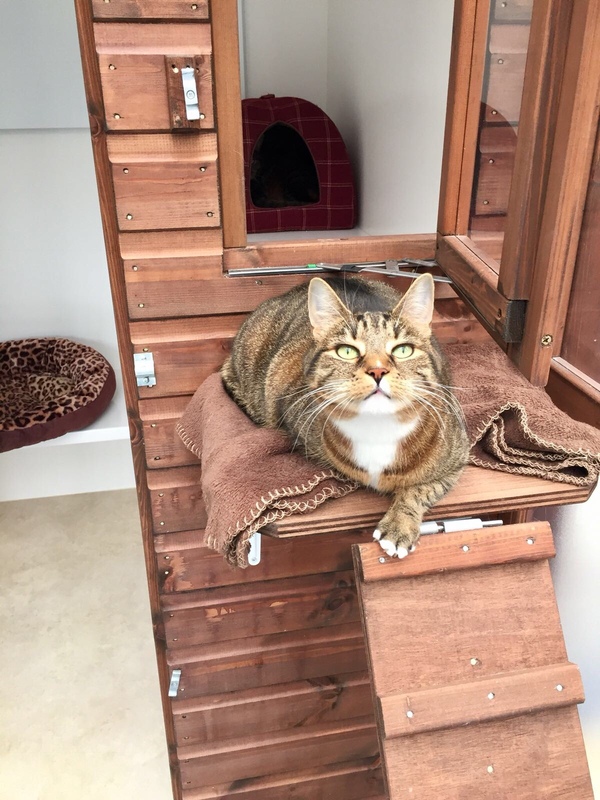 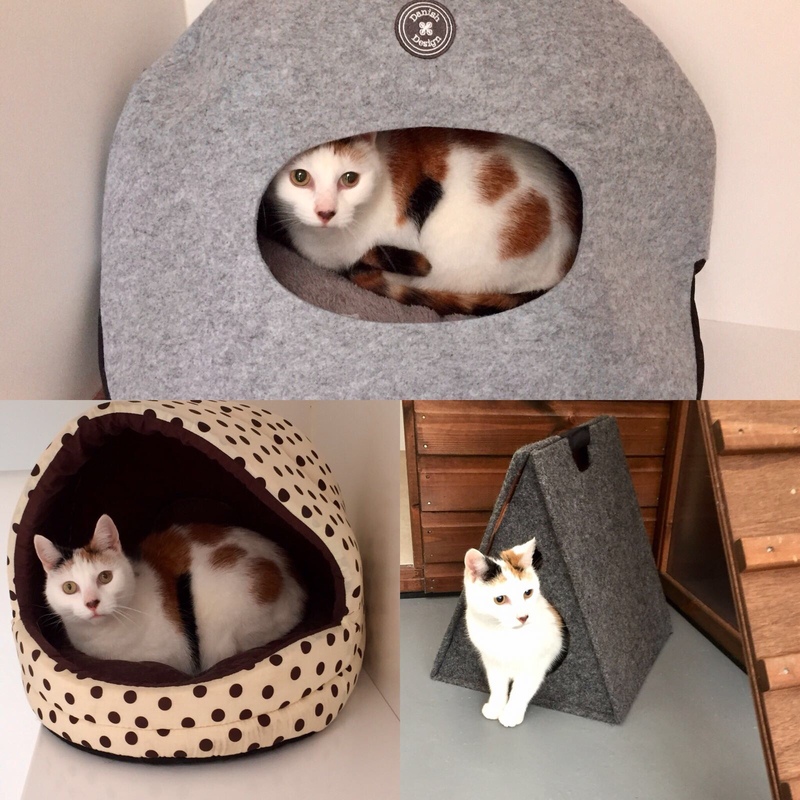 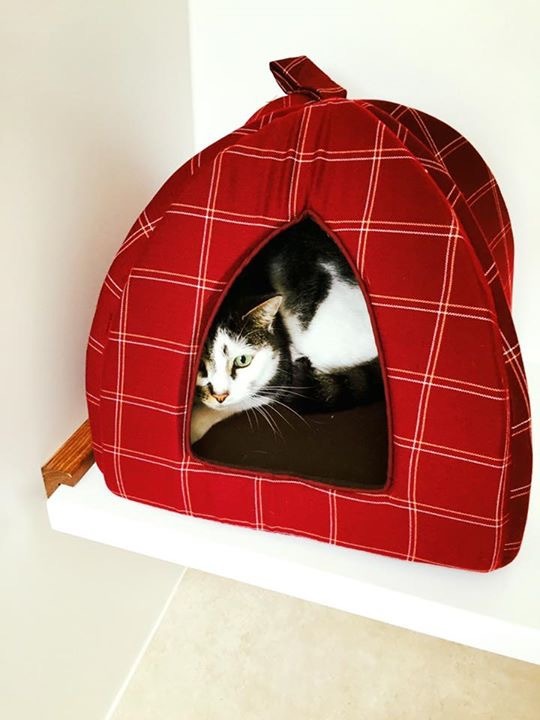 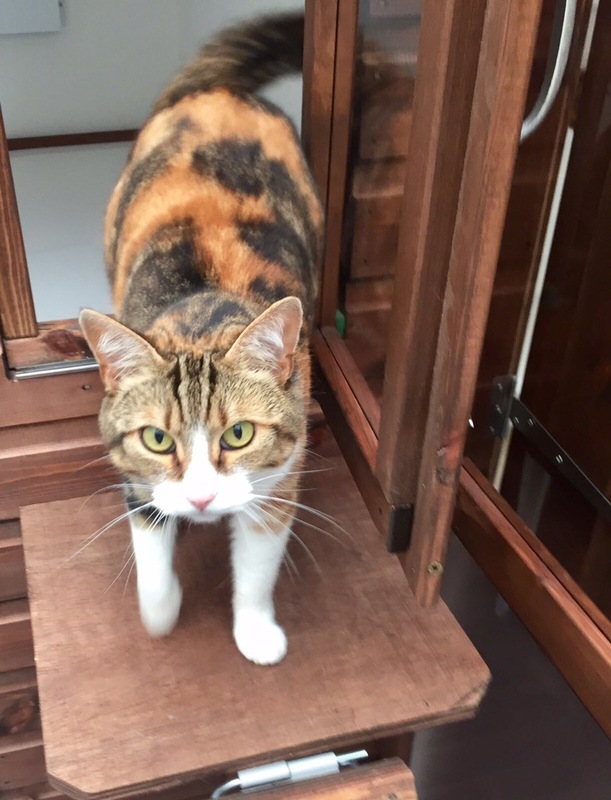 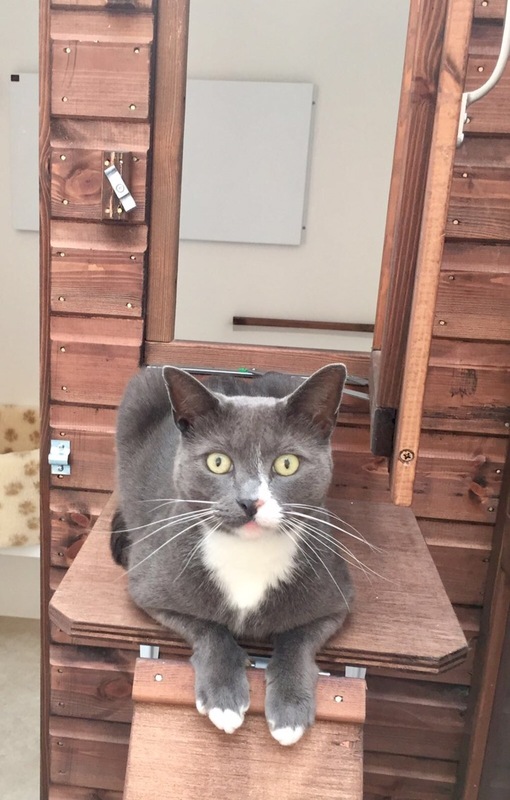 The Cattery chalets have been manufactured from natural wood by Lindee Lu to International Cat Care standards (formerly Feline Advisory Bureau). 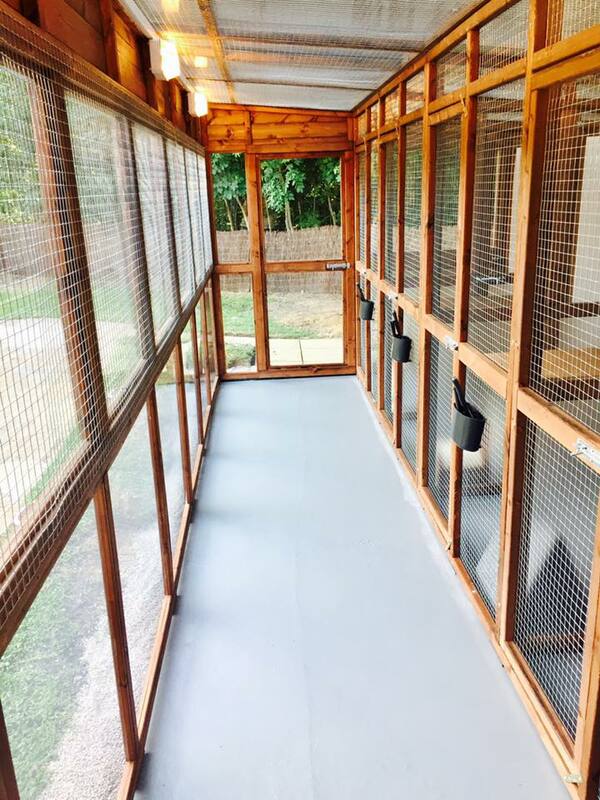 They are designed so each guest has a run with an outside view, whilst also having a private, heated indoor sleeping area when they want peace and quiet. 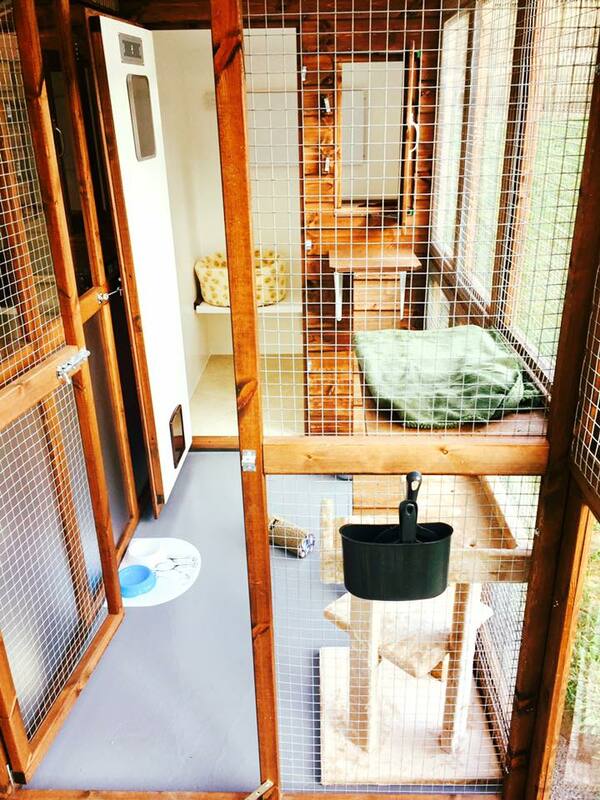 Our accommodation is all inclusive. 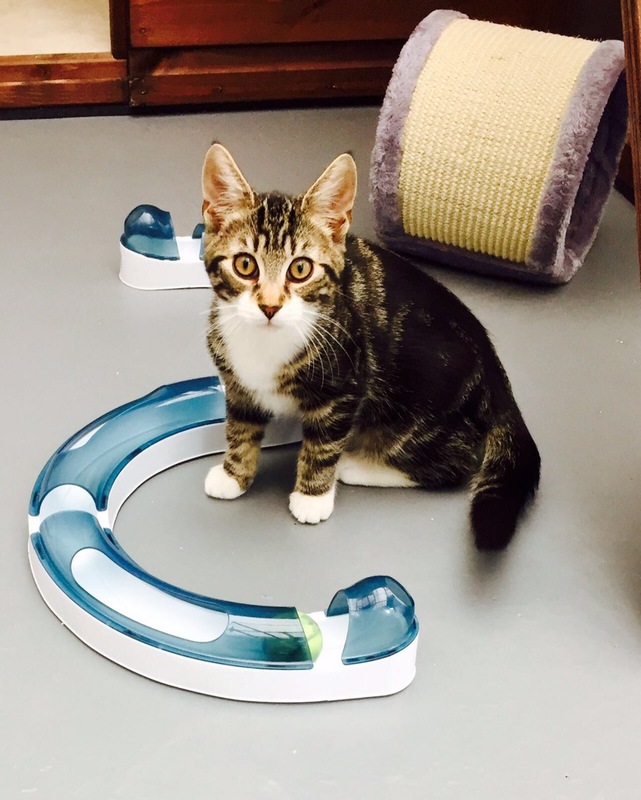 We have a range of dry and wet food and will feed at the same frequency you provide for your cat at home. 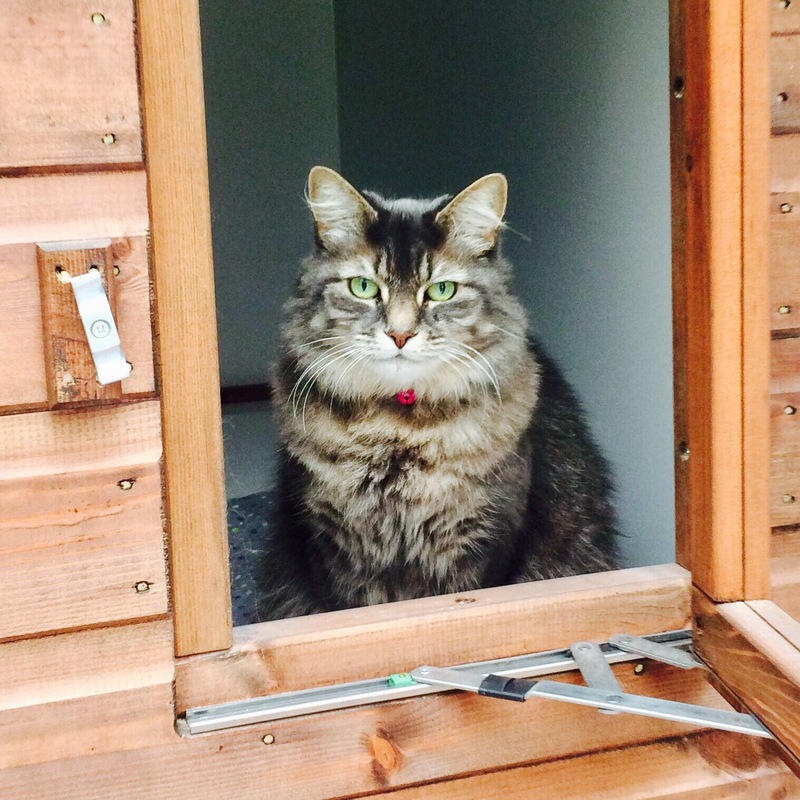 Please note, specialised food such as veterinary diets or grain free will need to be provided by you. 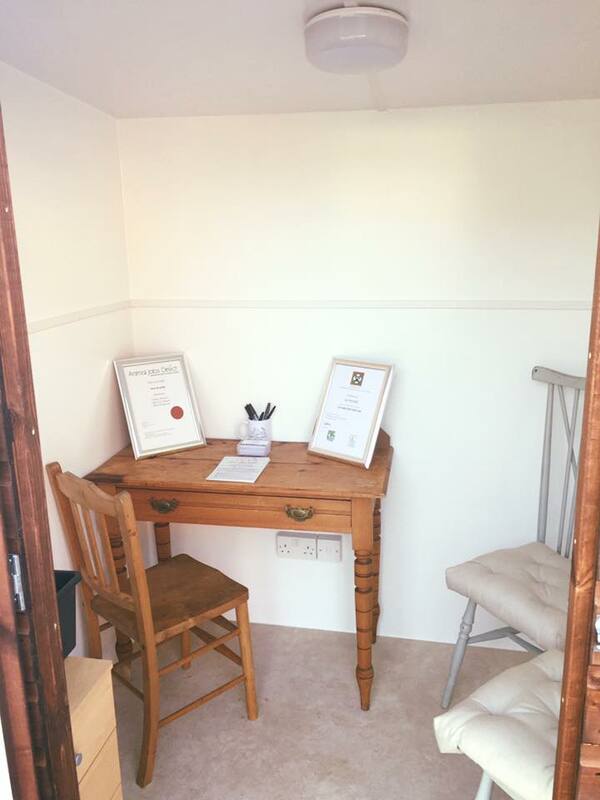 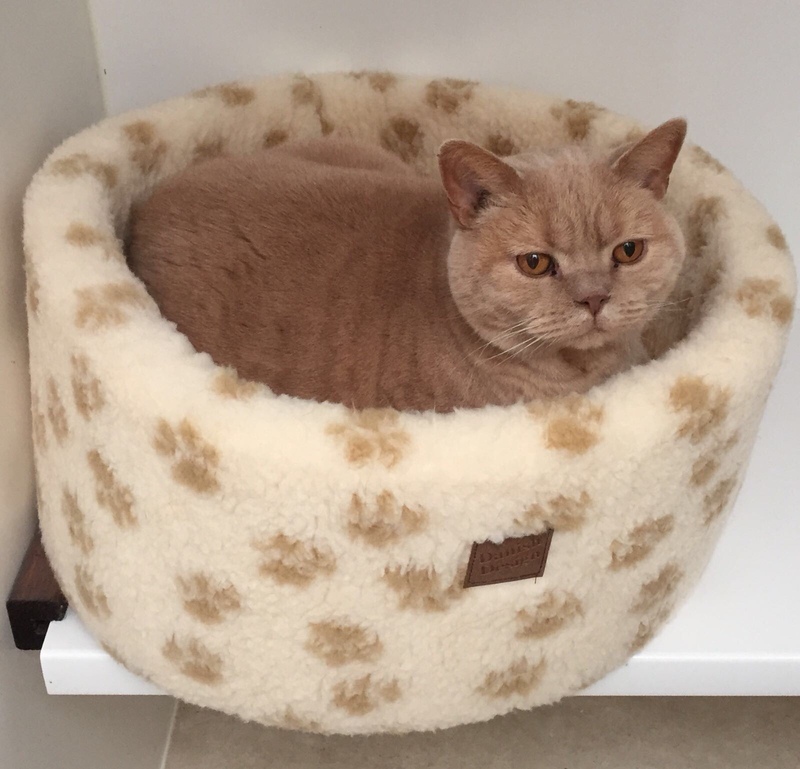 Our guests are also provided with a comfortable bed and fleecy blankets both in the bed and on the internal and external shelves, so there is always something cosy to curl up on. 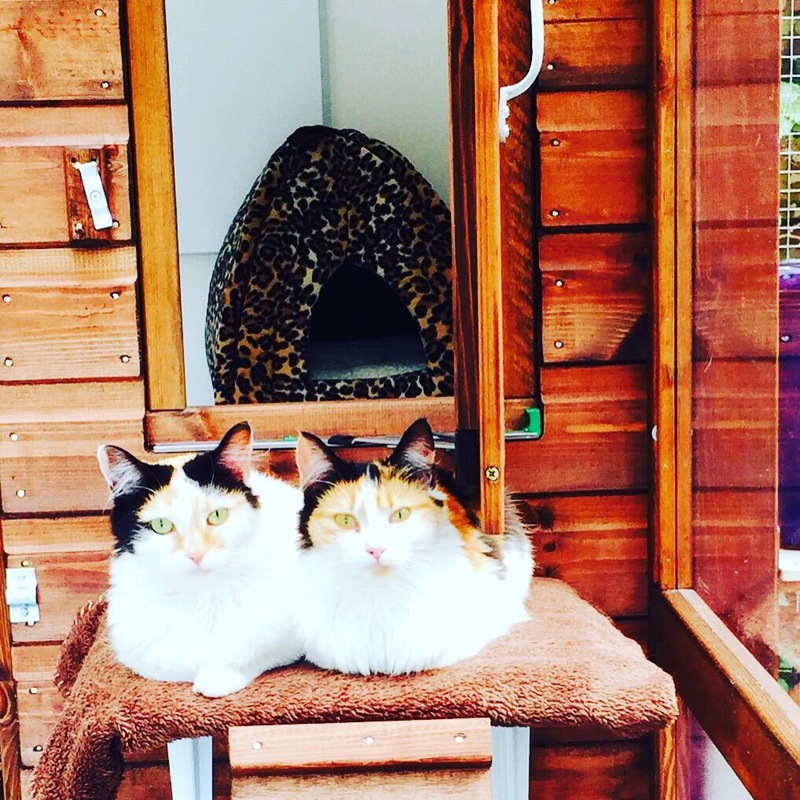 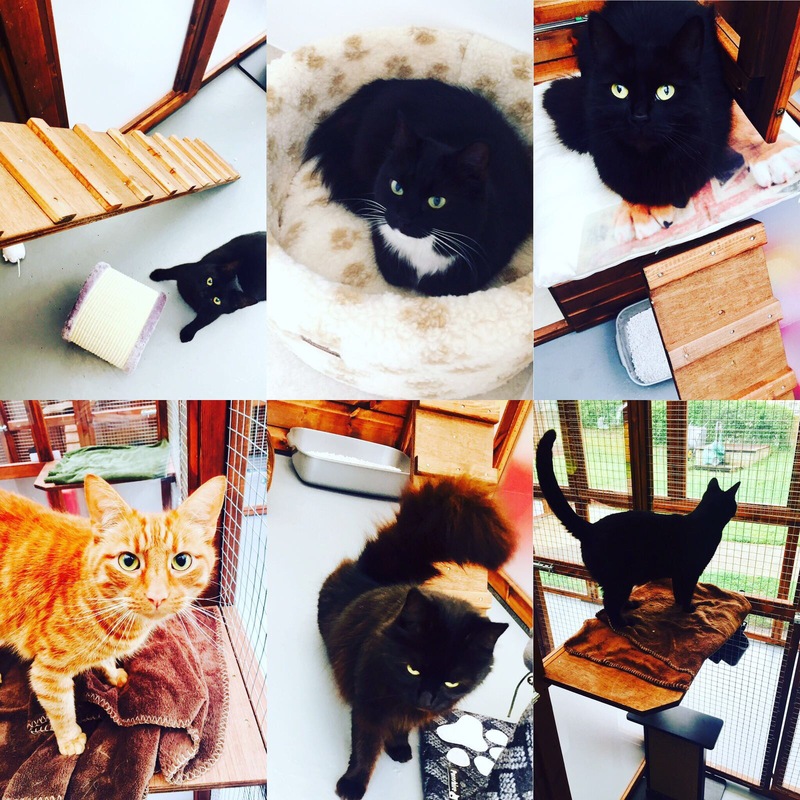 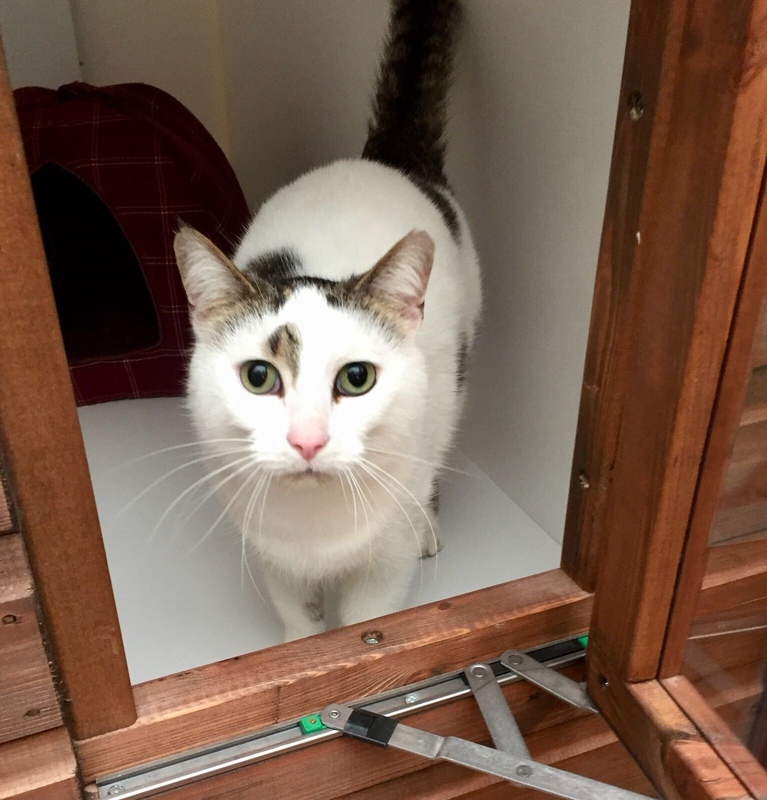 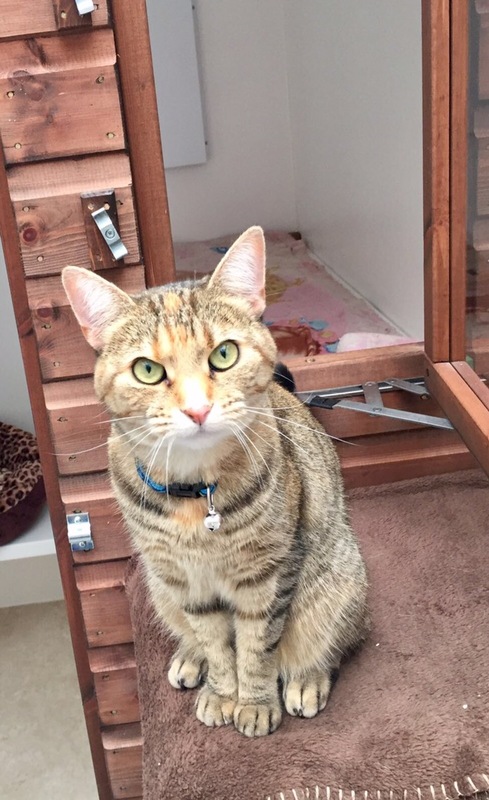 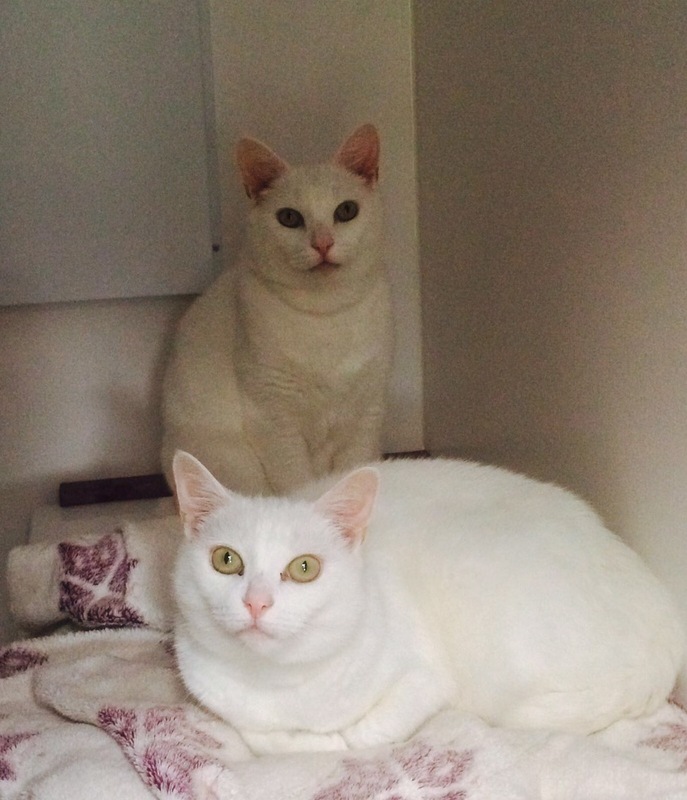 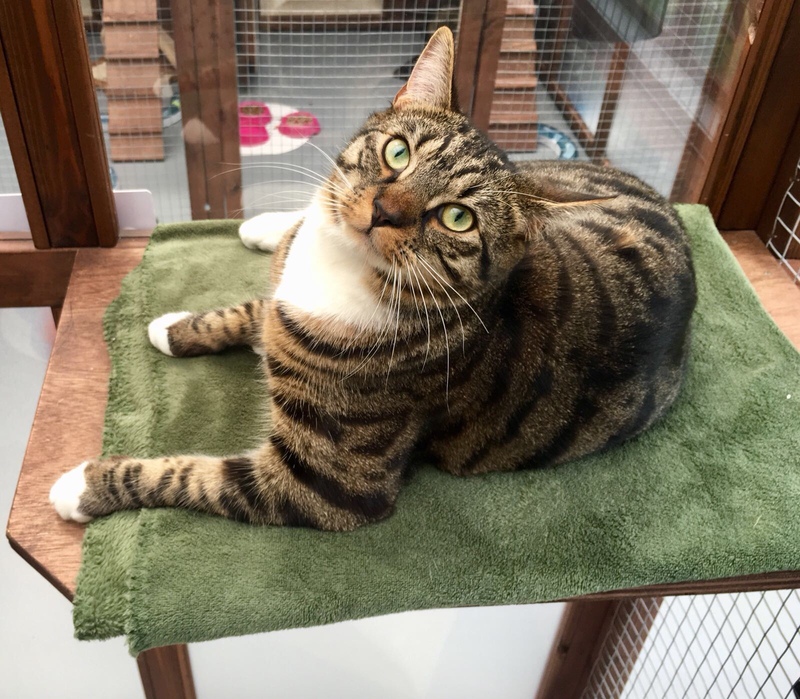 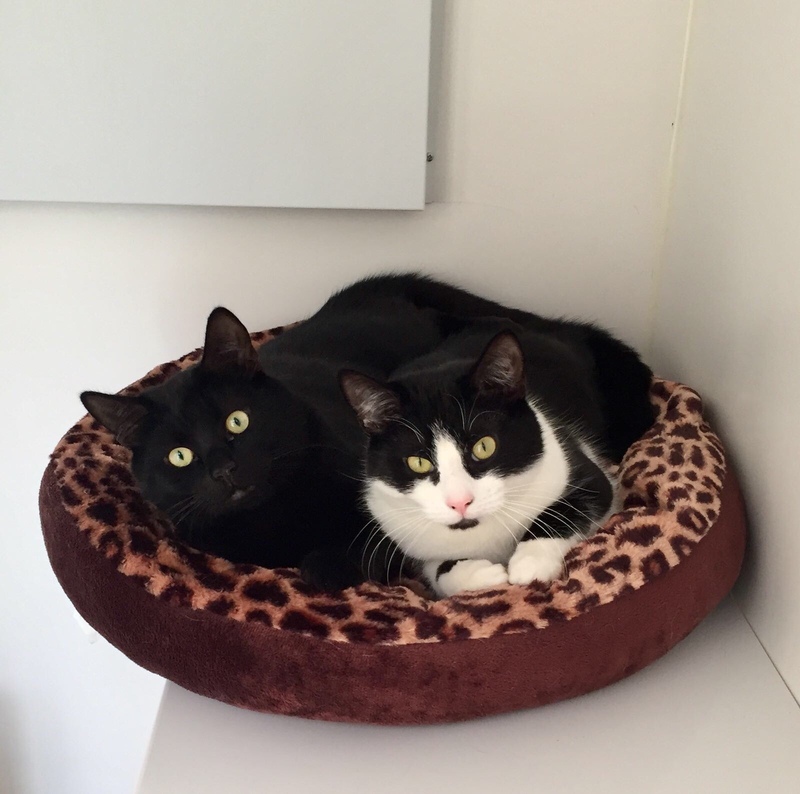 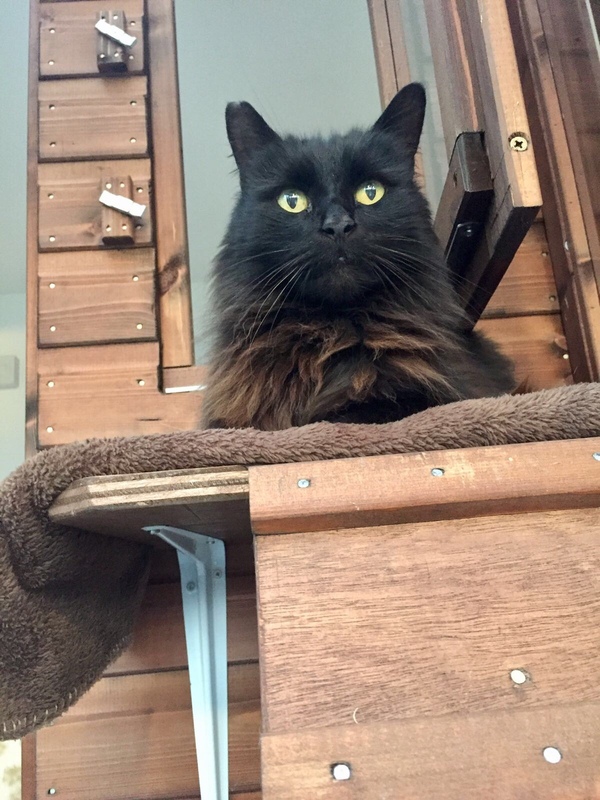 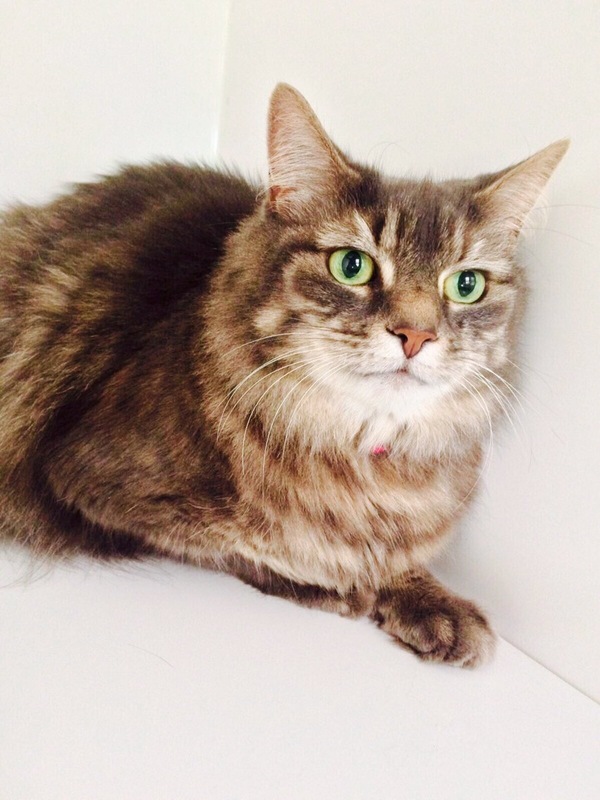 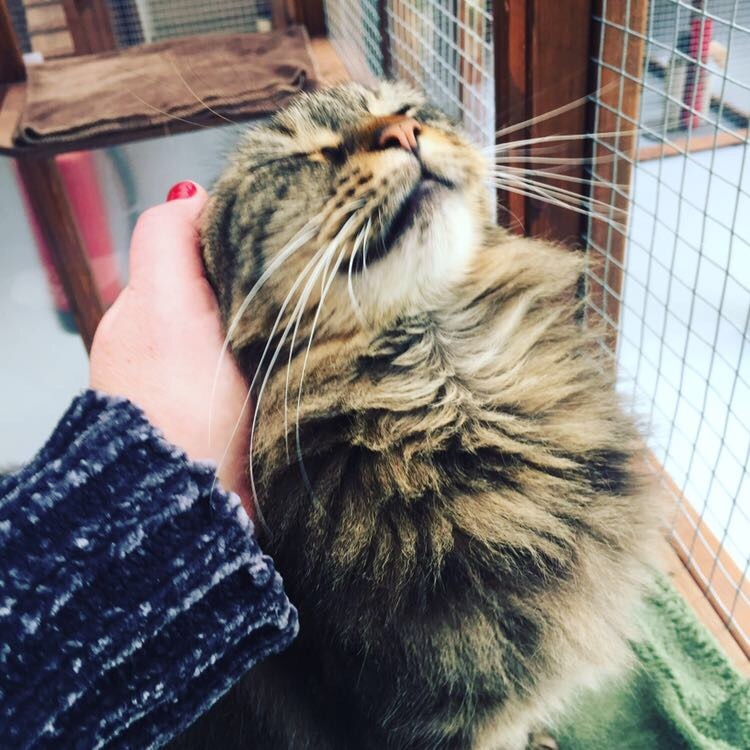 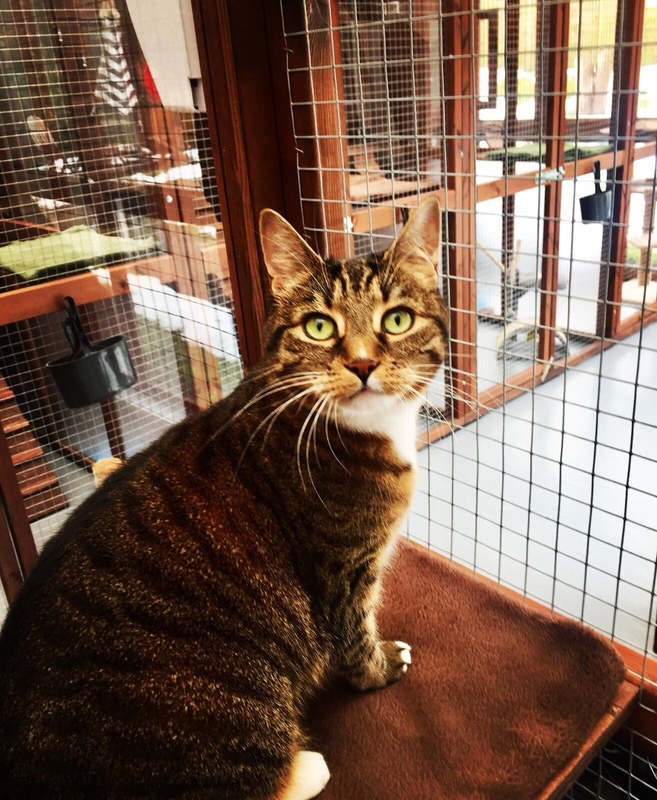 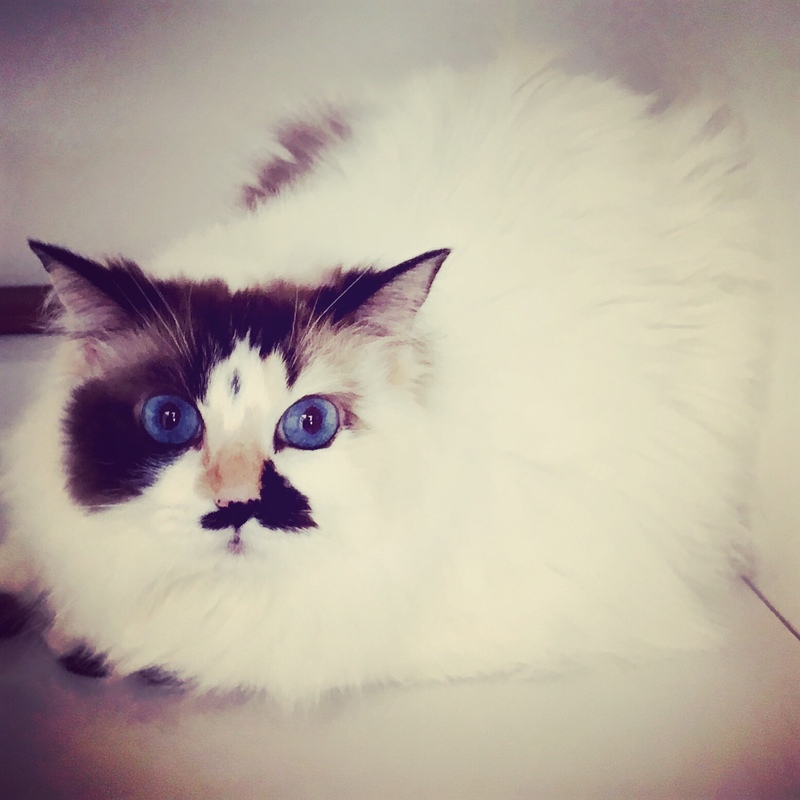 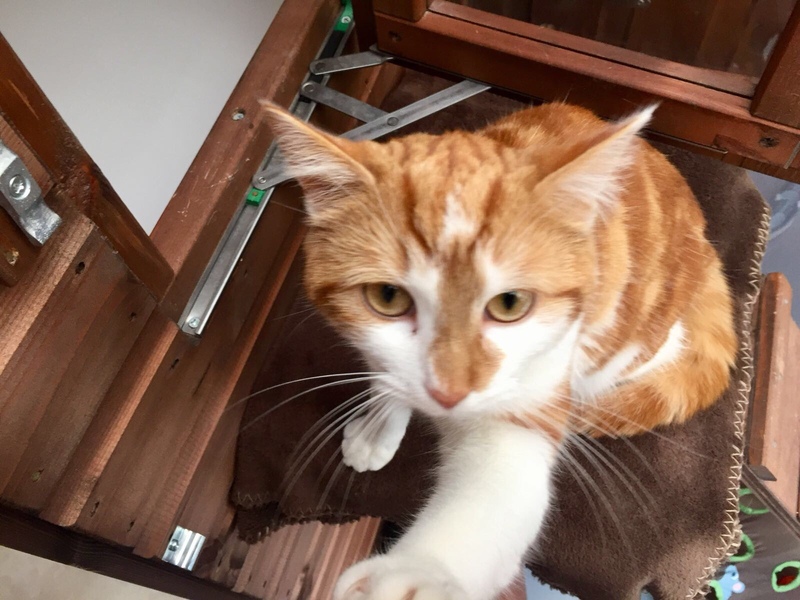 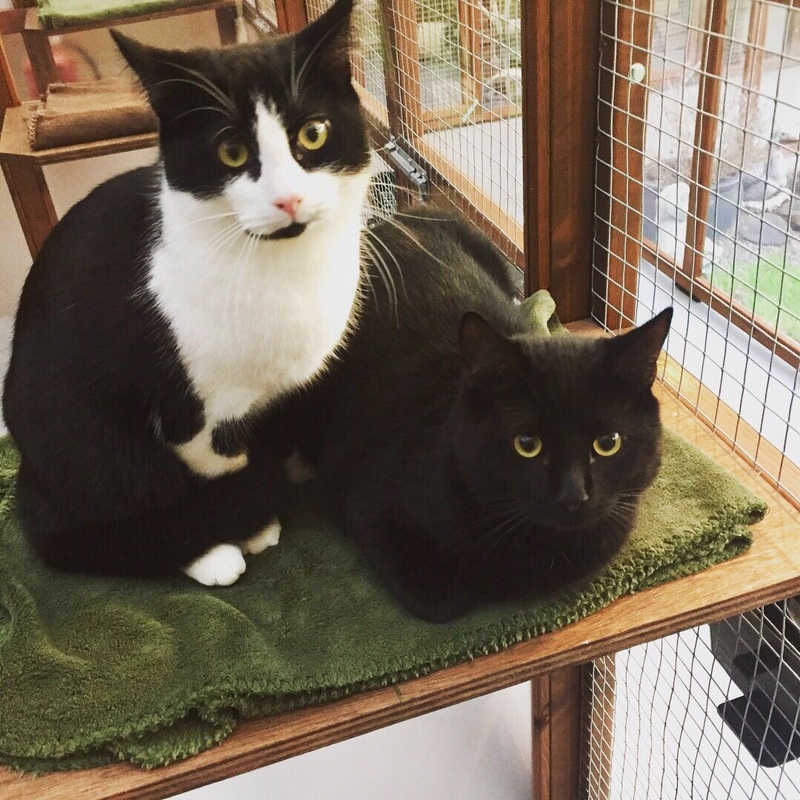 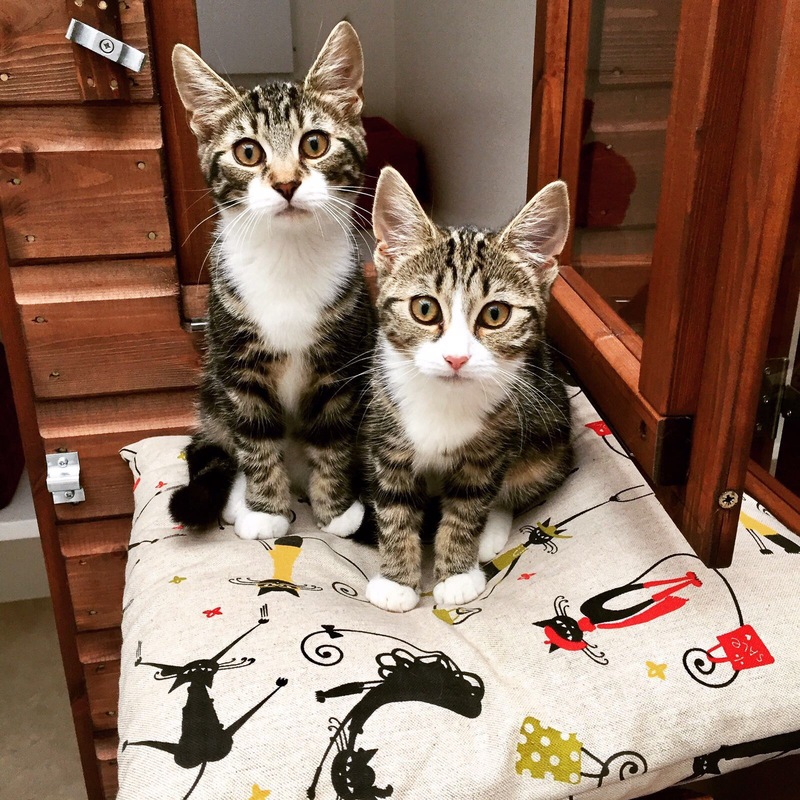 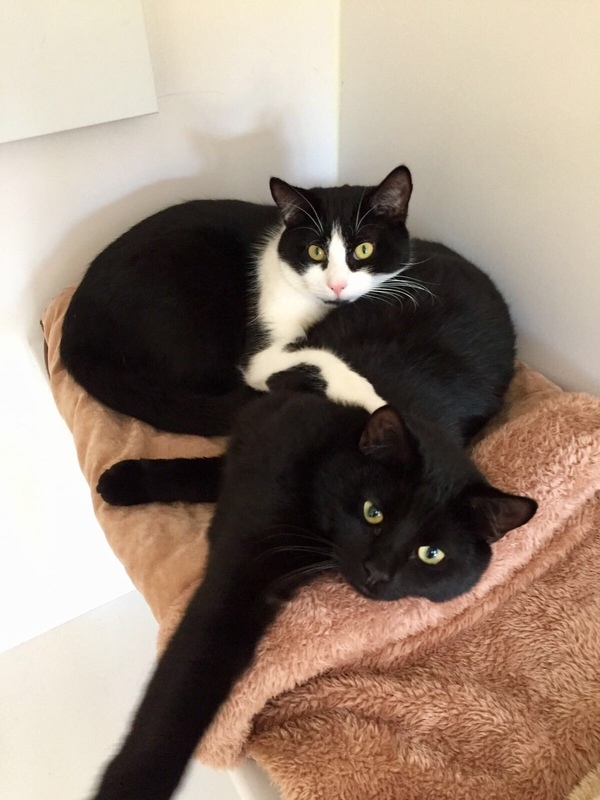 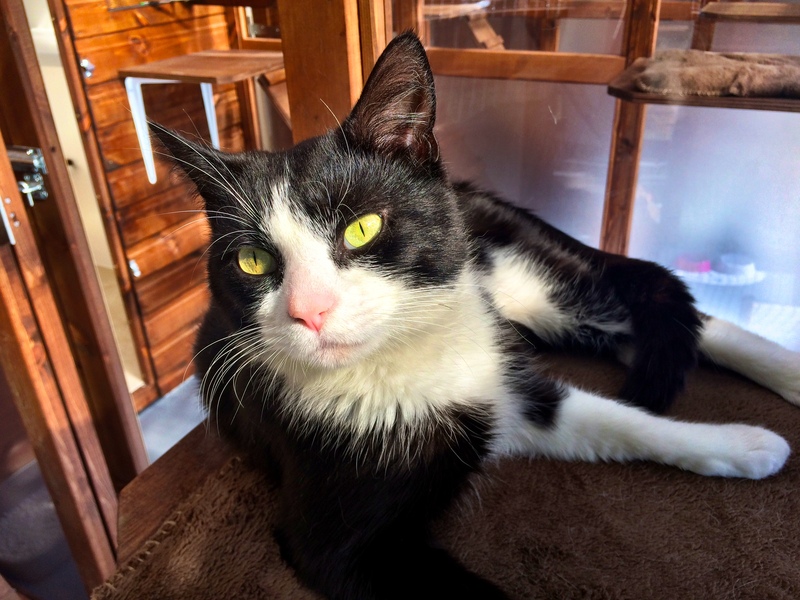 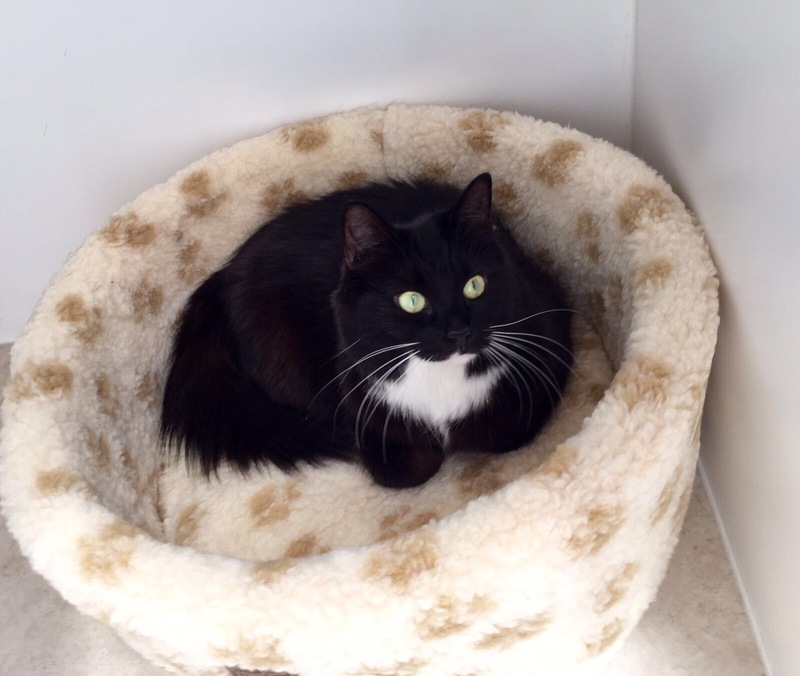 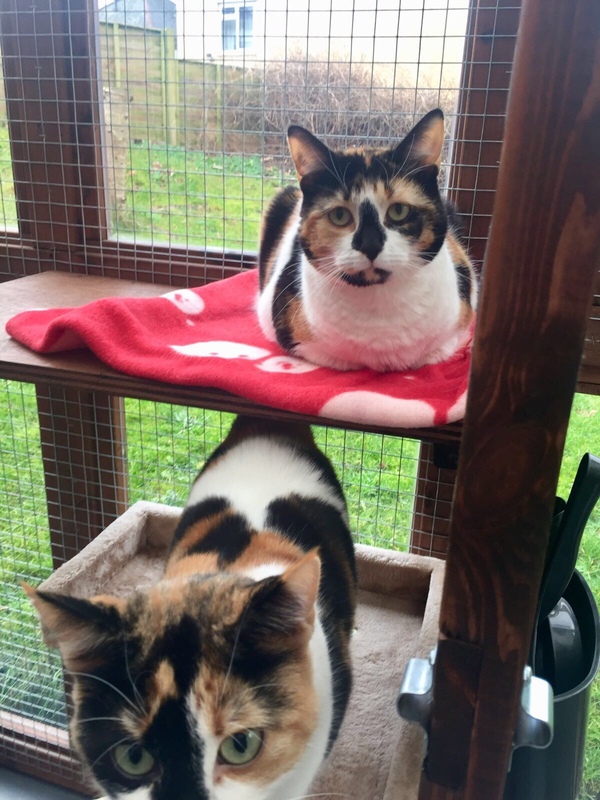 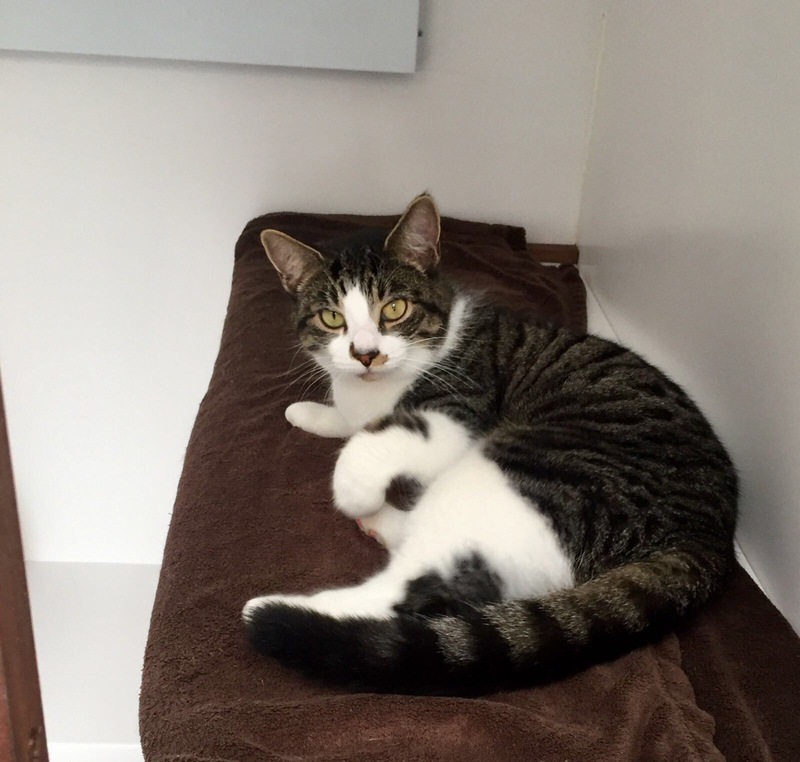 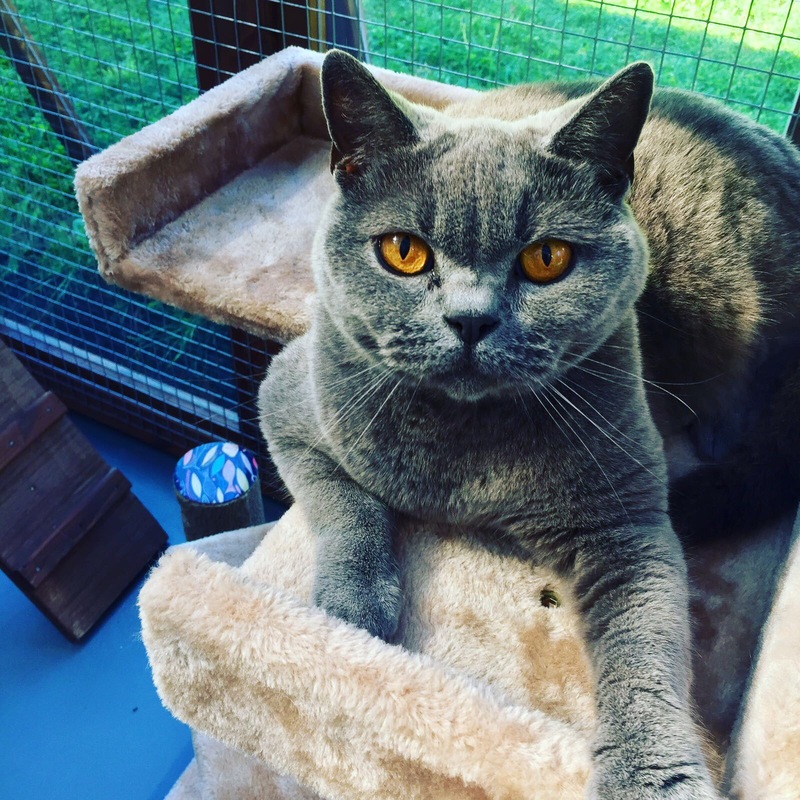 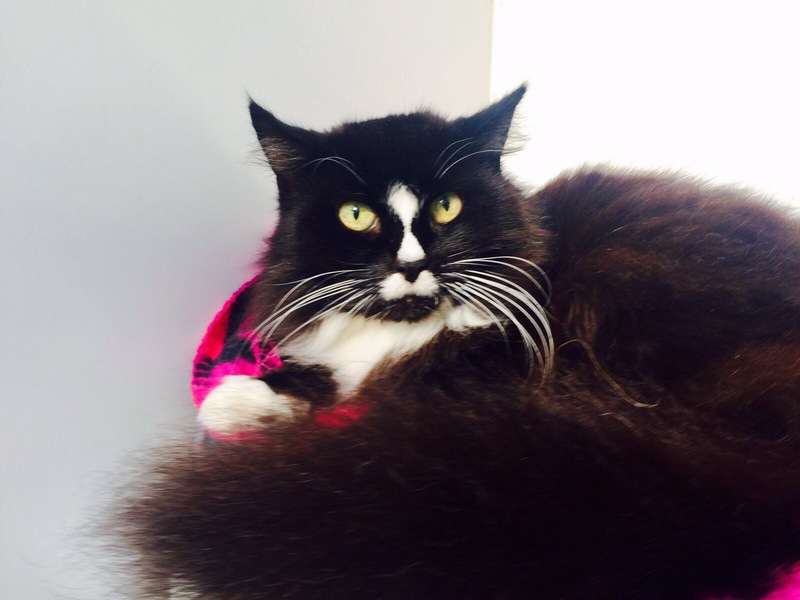 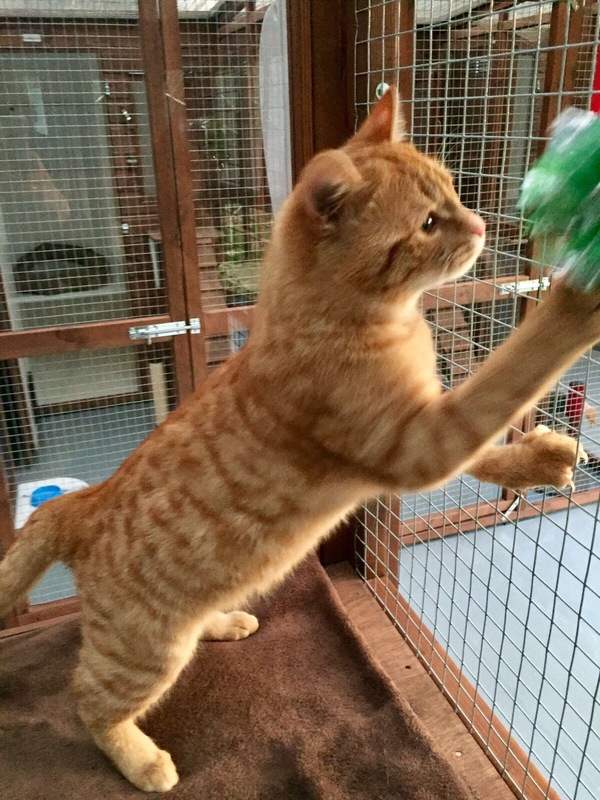 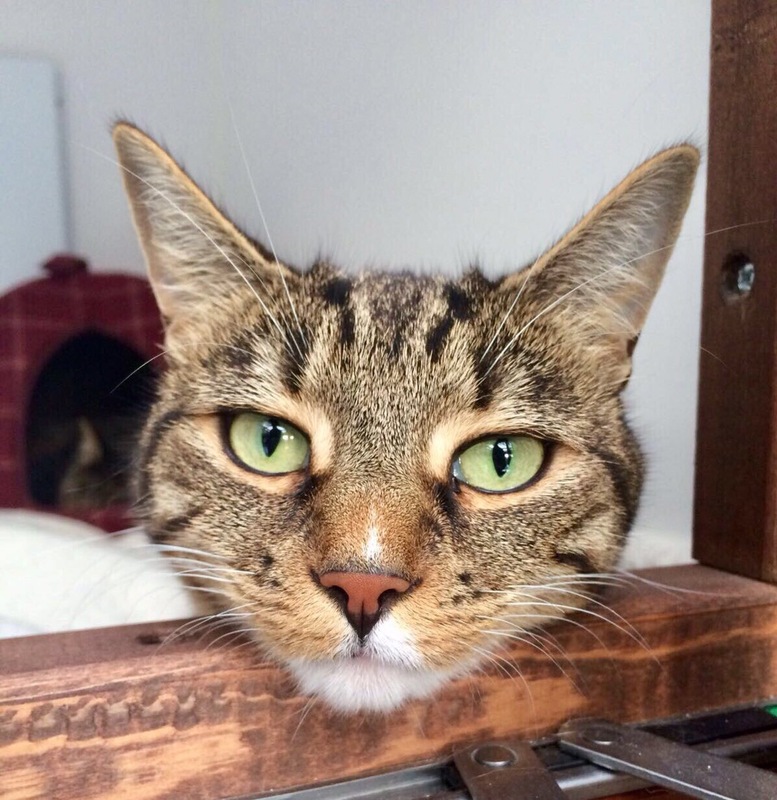 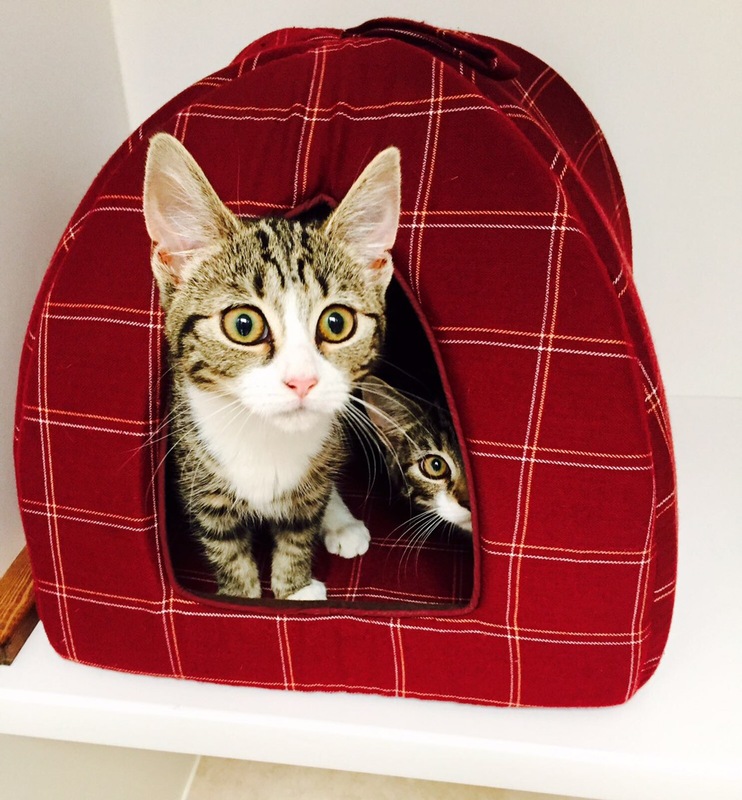 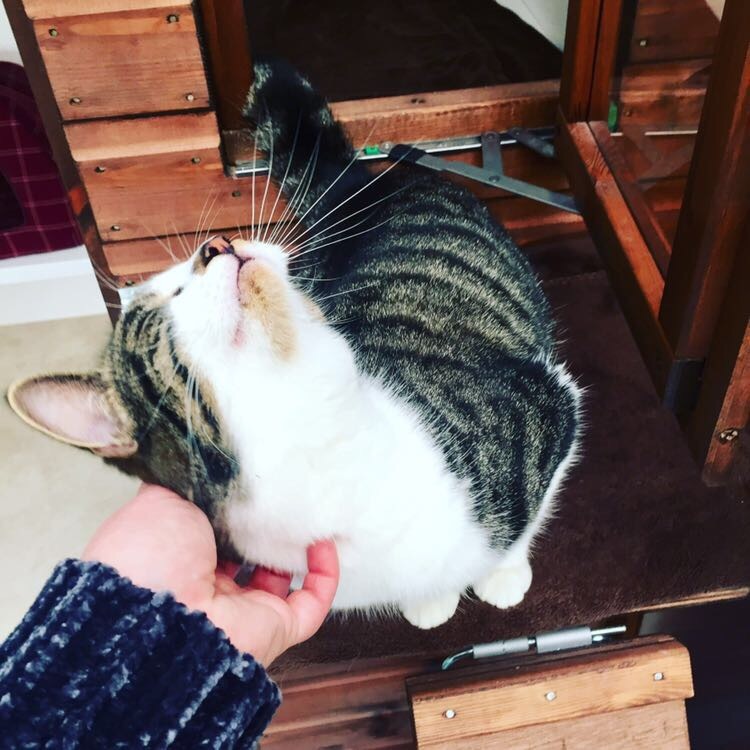 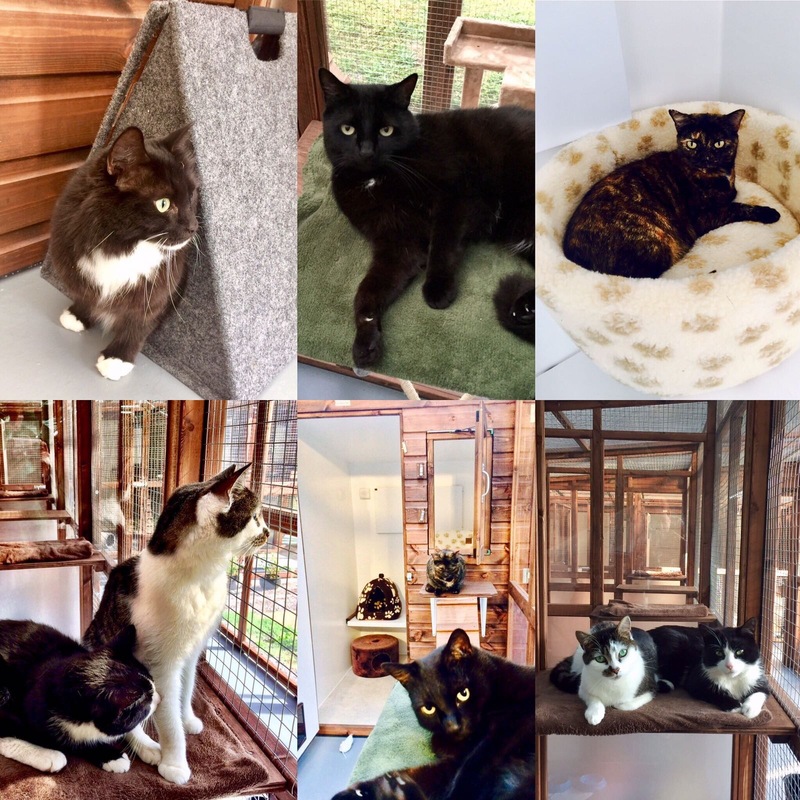 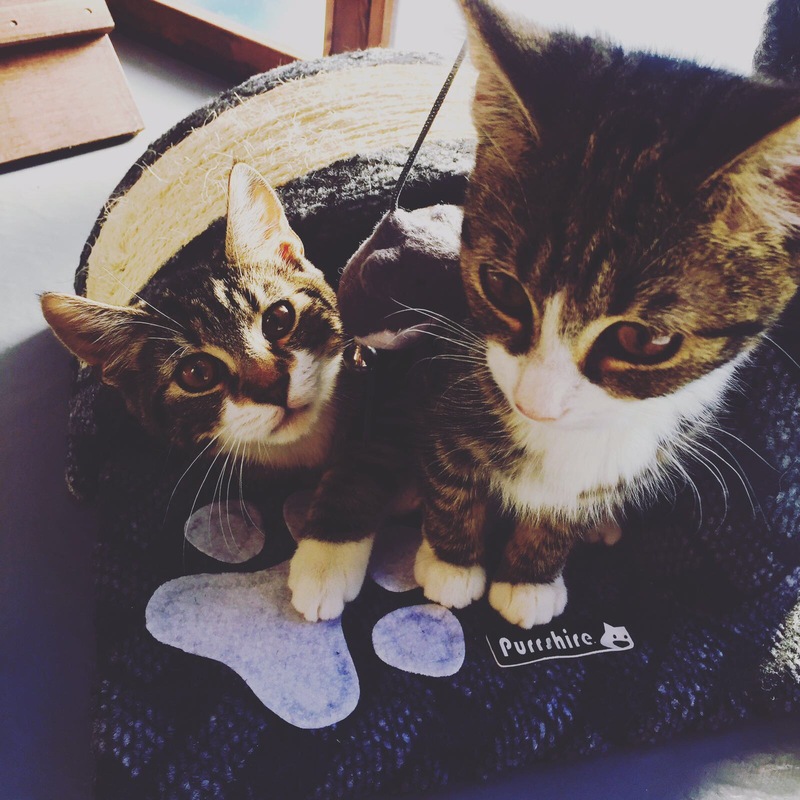 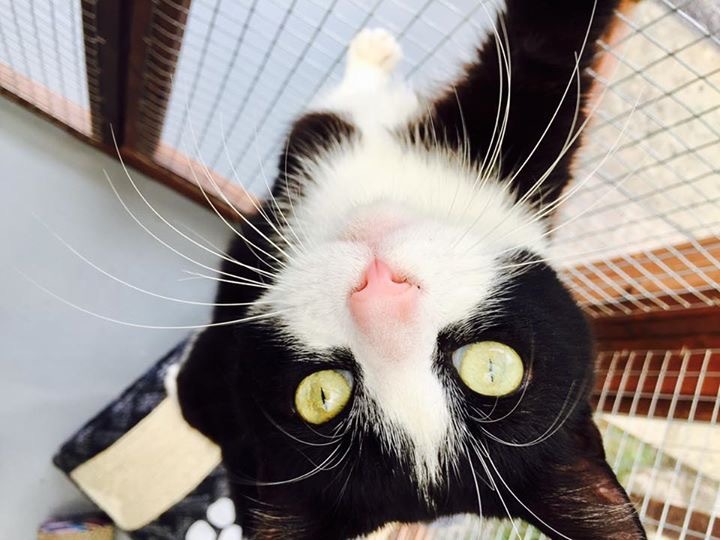 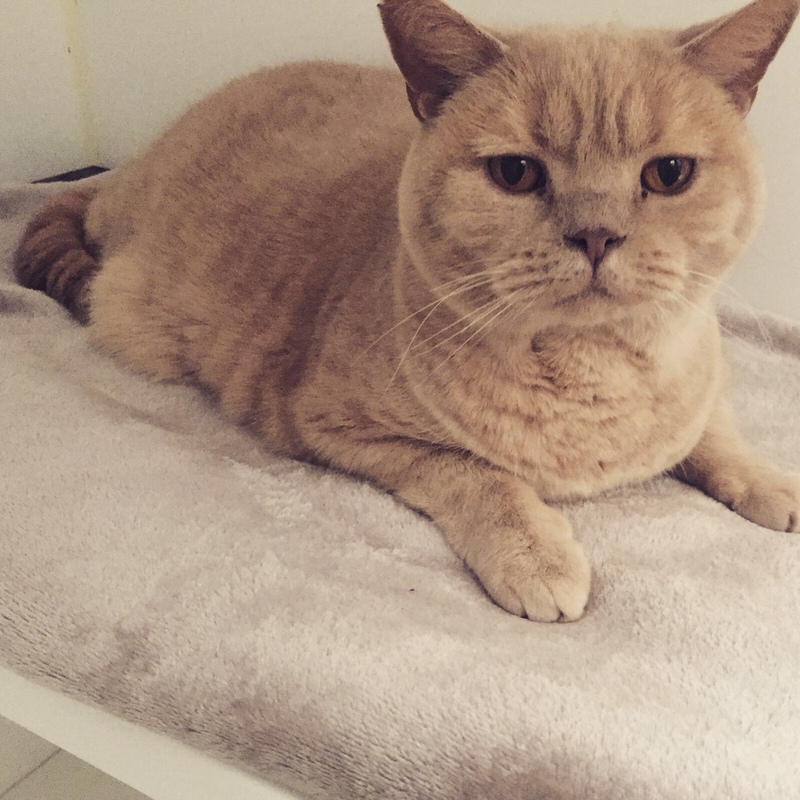 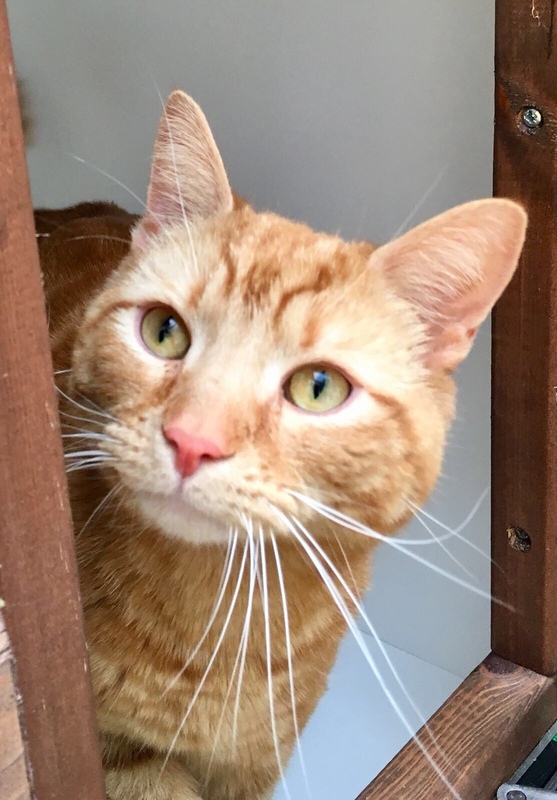 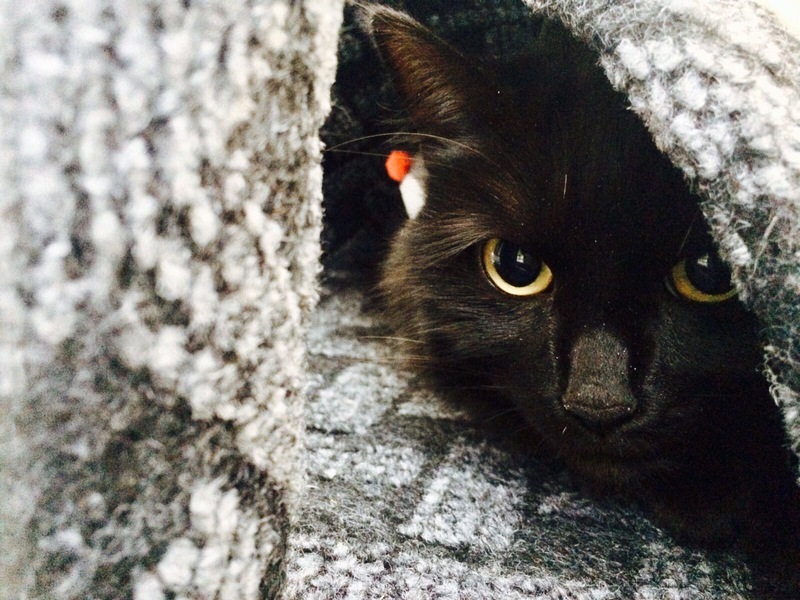 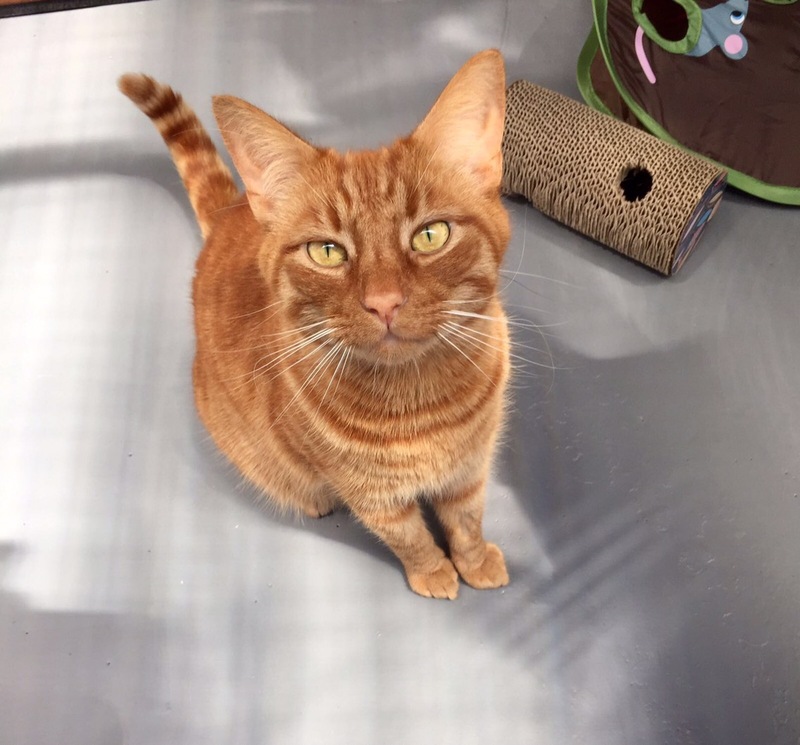 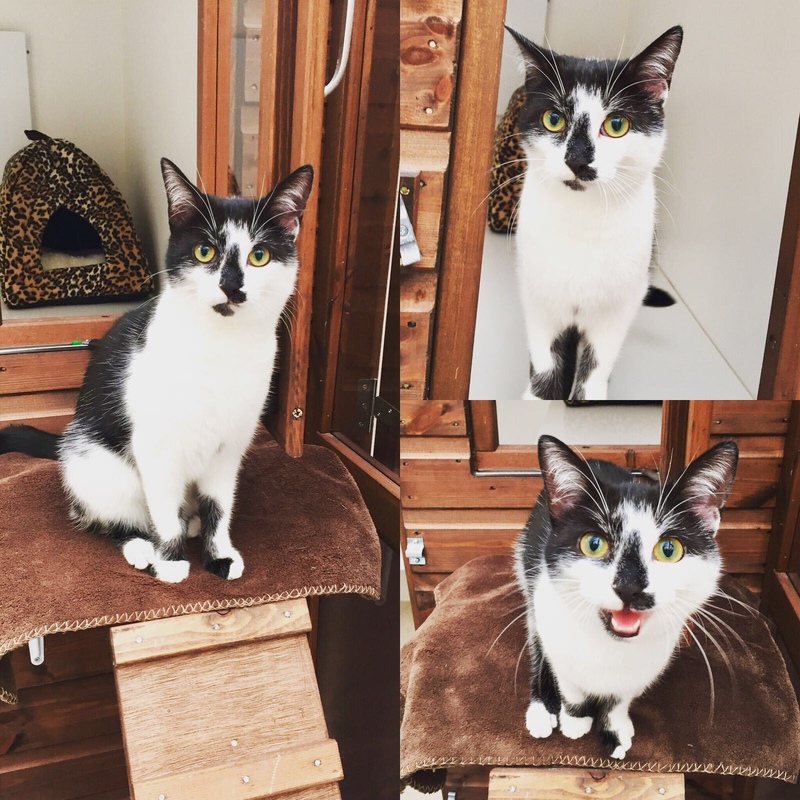 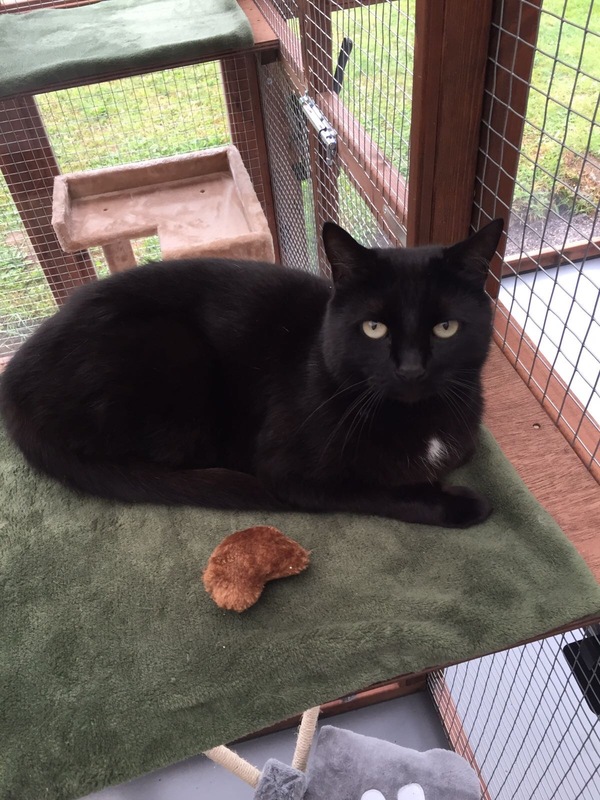 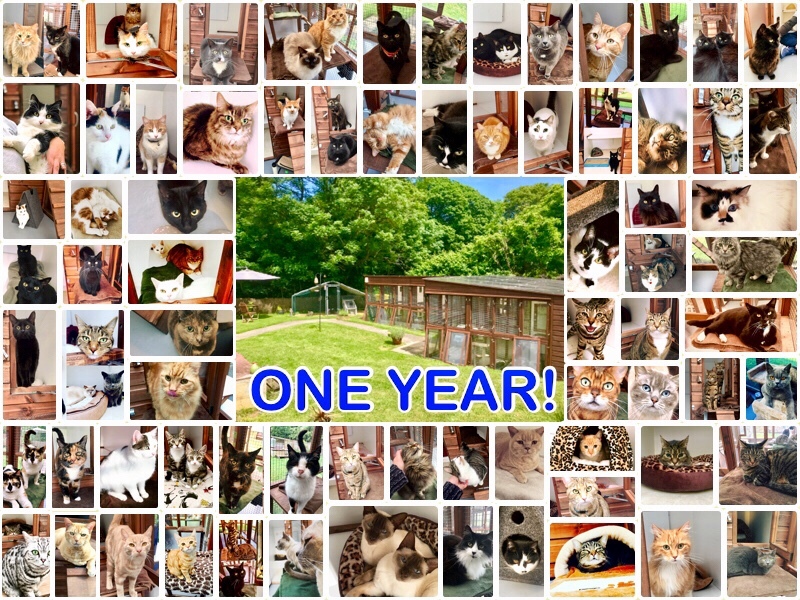 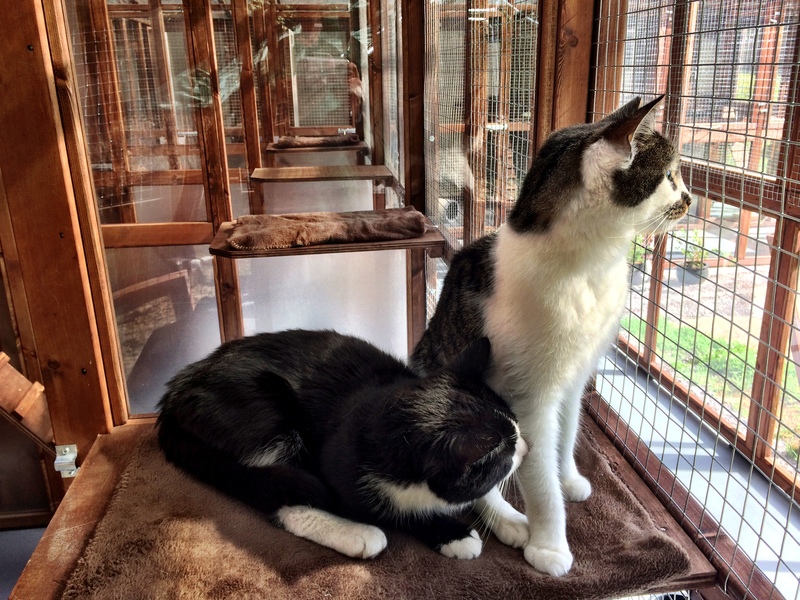 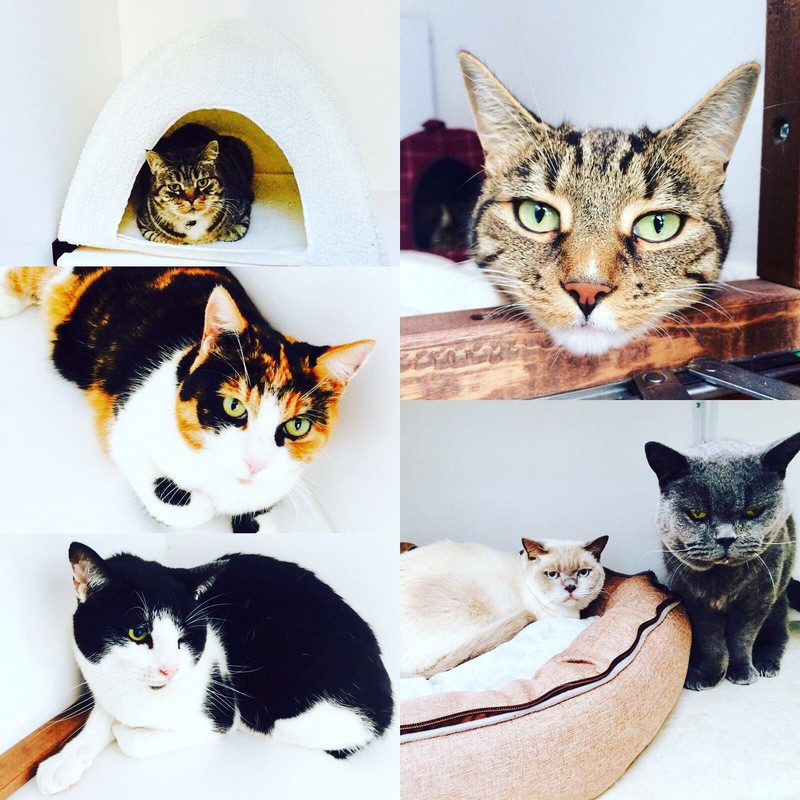 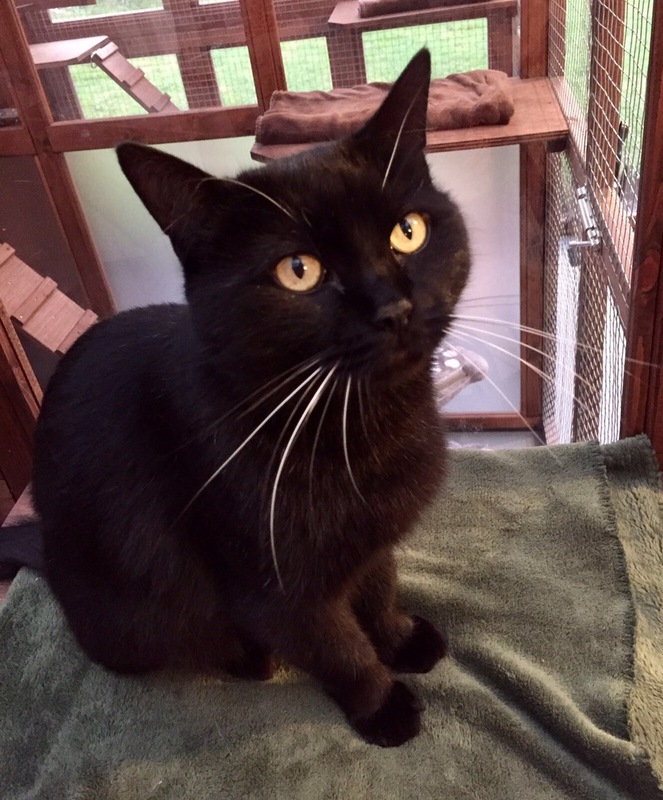 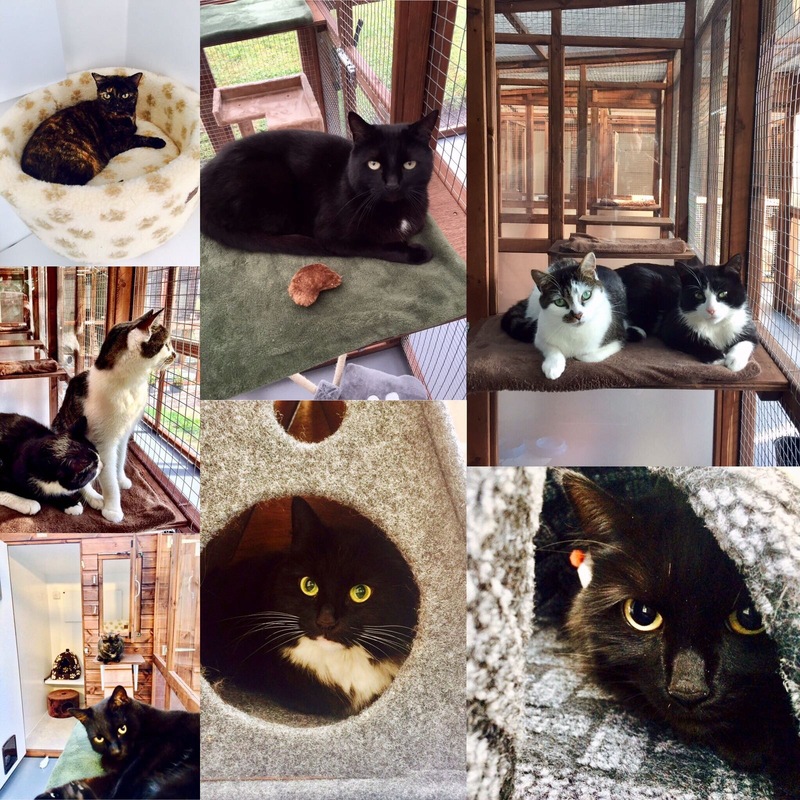 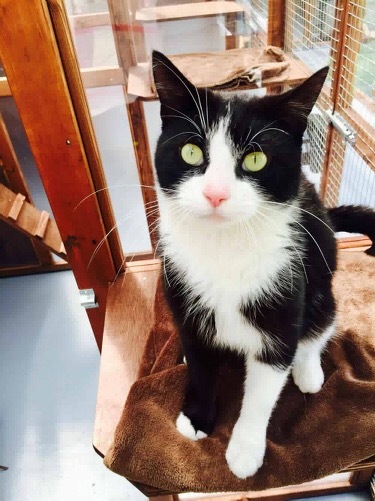 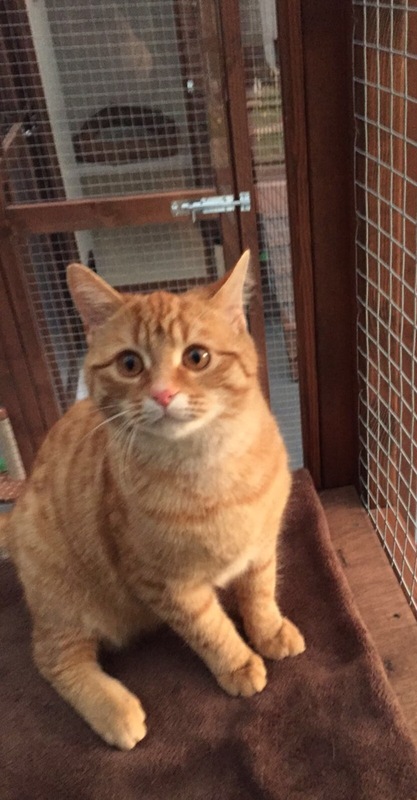 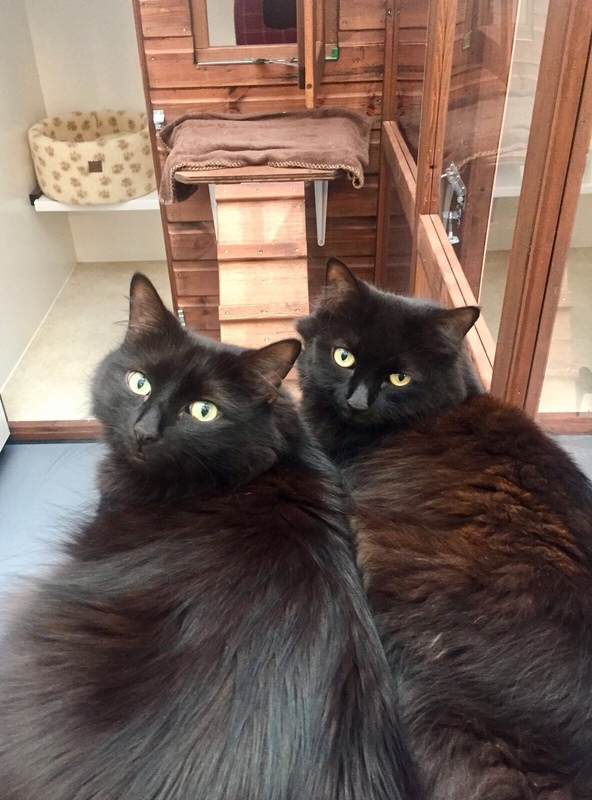 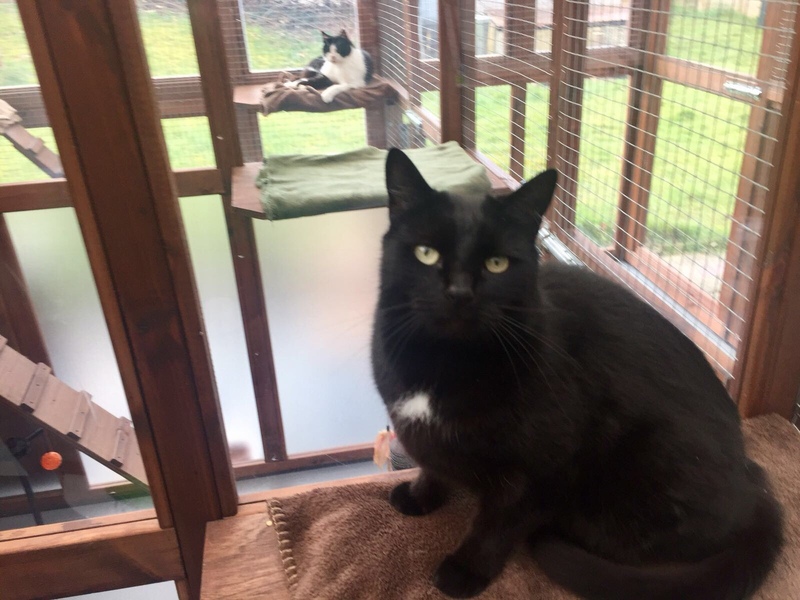 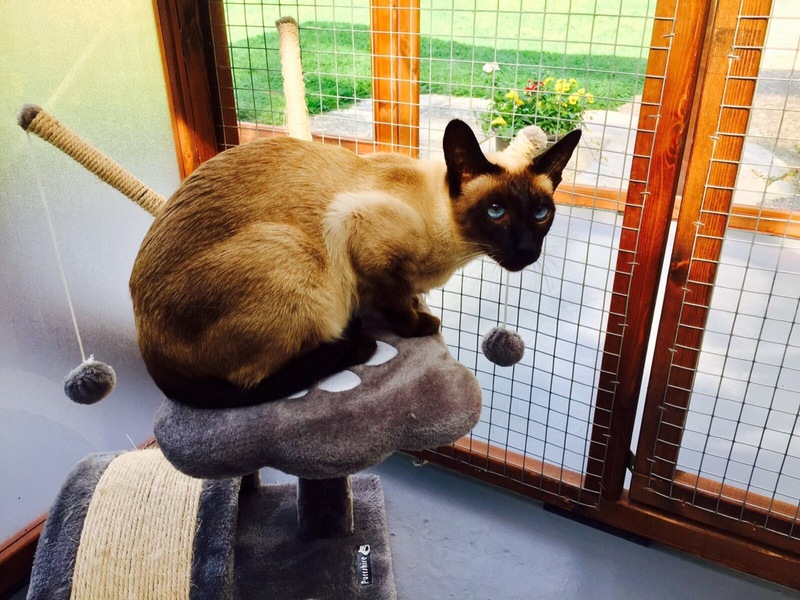 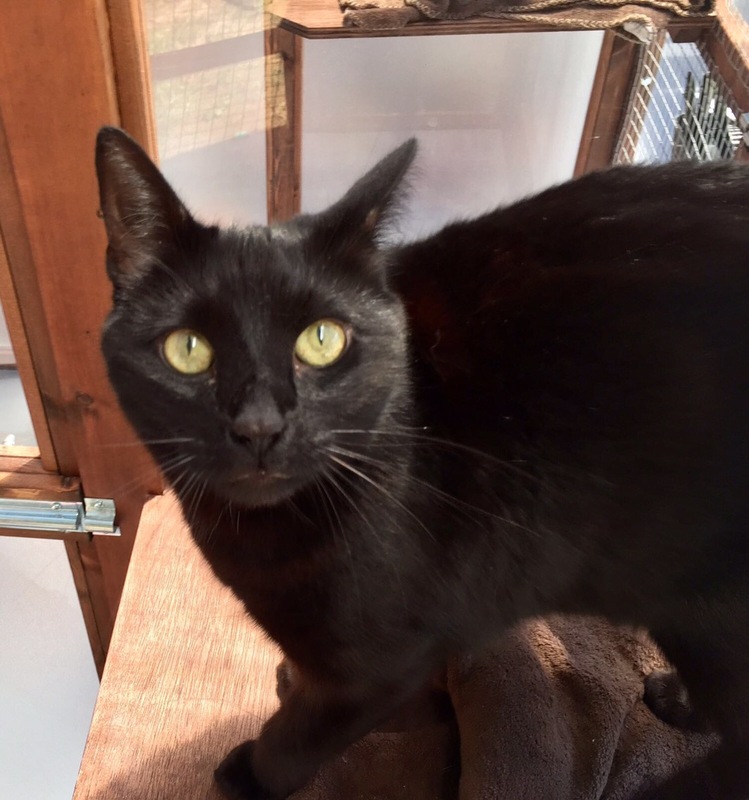 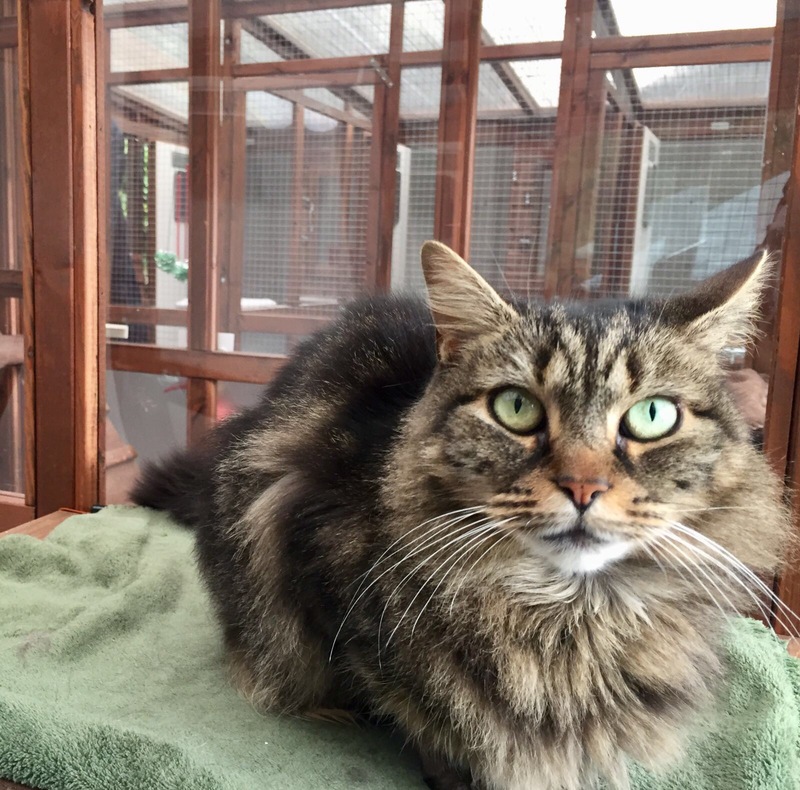 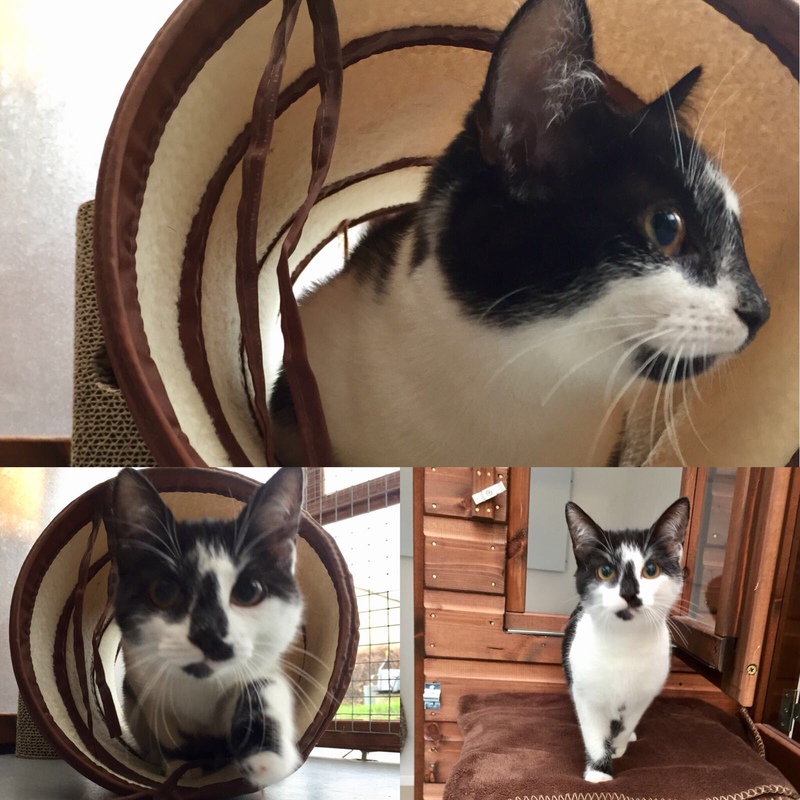 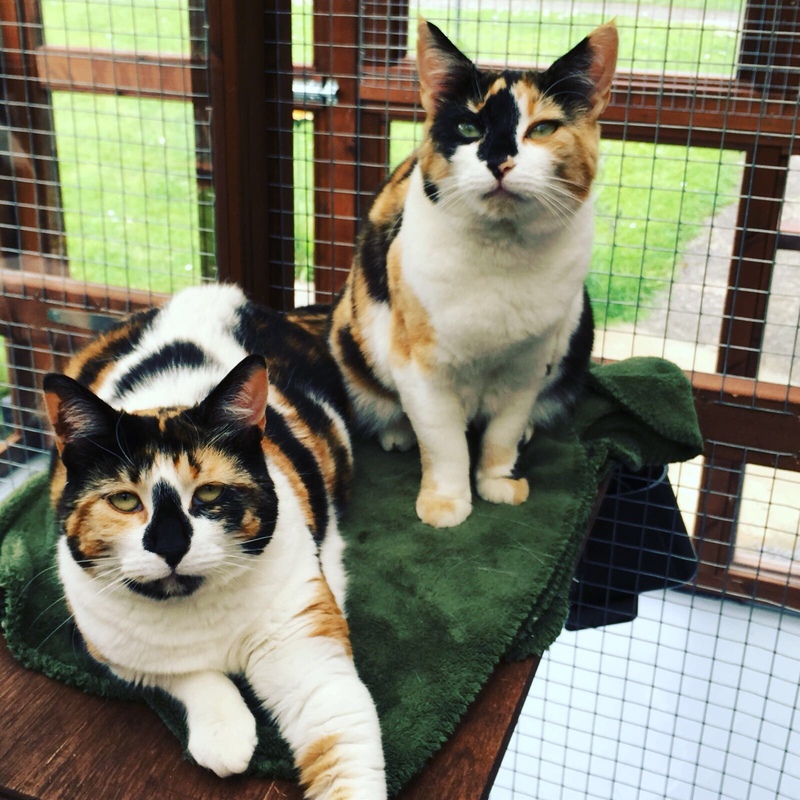 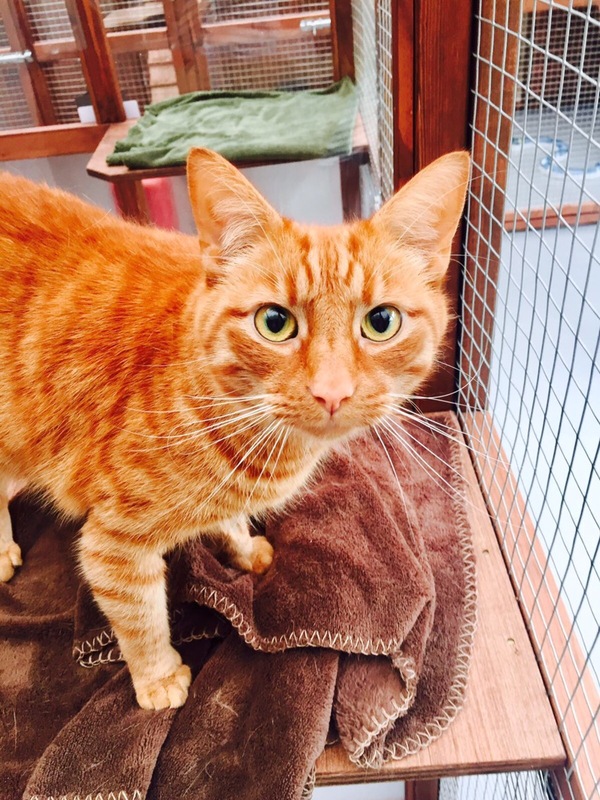 We provide scratching posts, toys, litter trays, fresh water and plenty of cuddles and company. 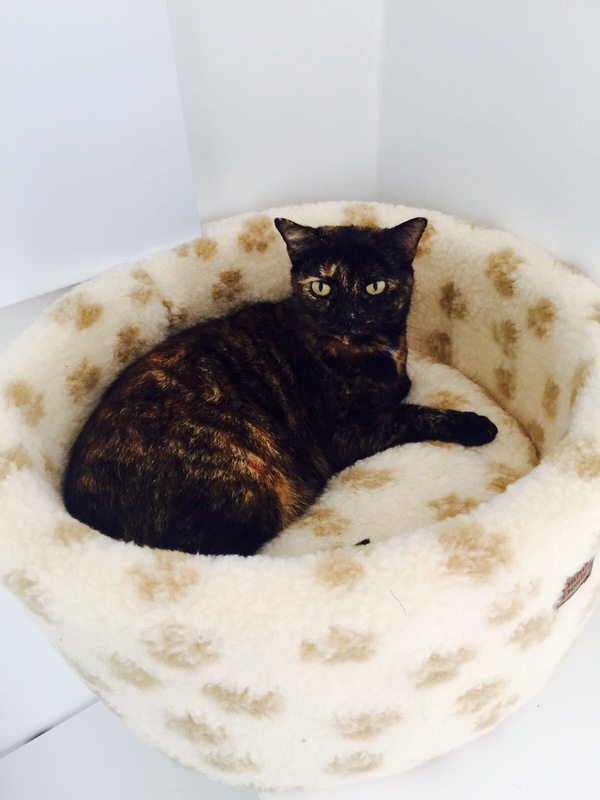 We are happy for you to bring in any of your own items that will help your cat settle in. 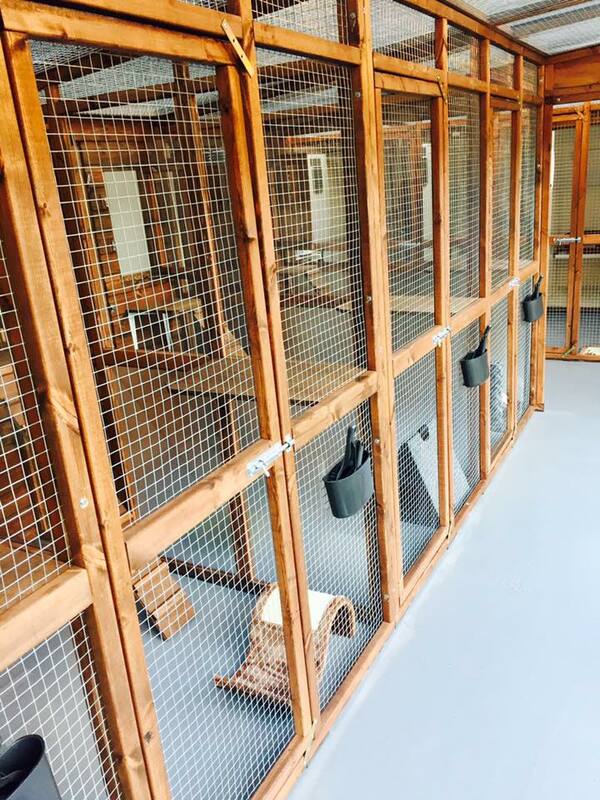 All of our litter trays, bowls, bedding and toys are thoroughly disinfected in between each guest, so your cat is always in a clean, safe environment. 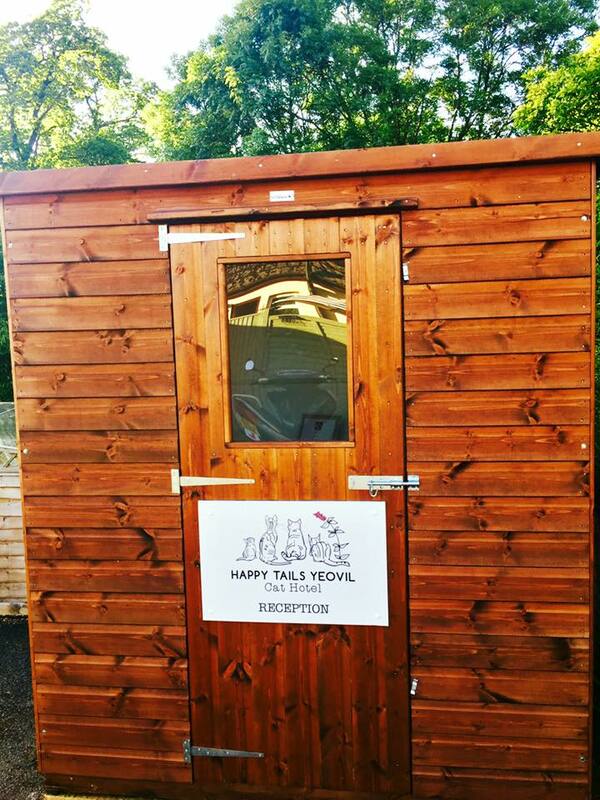 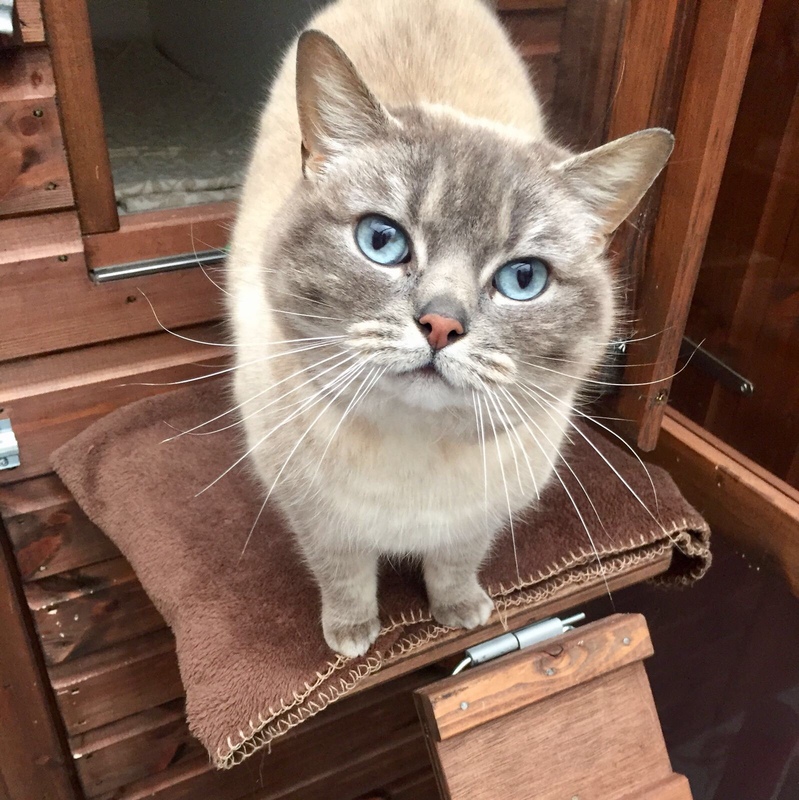 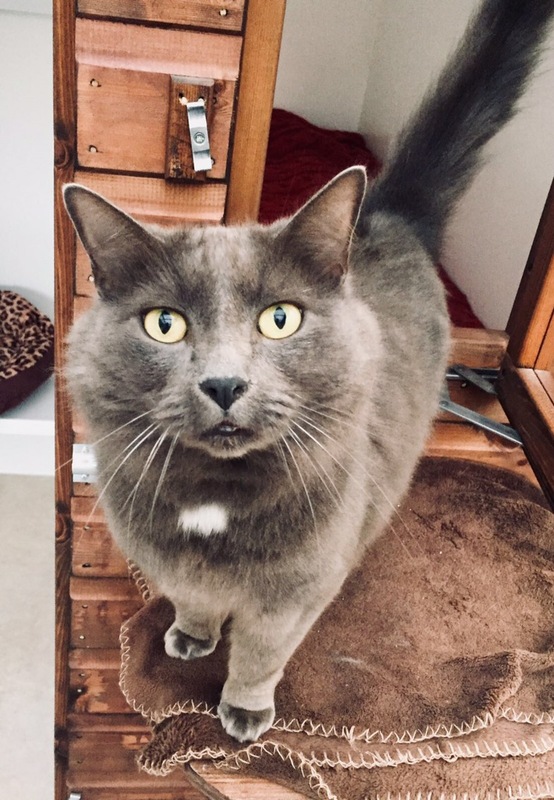 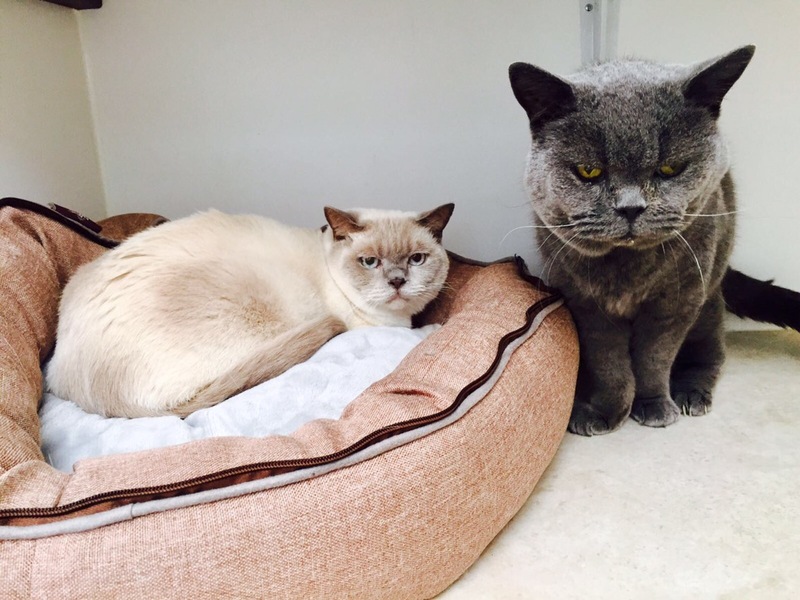 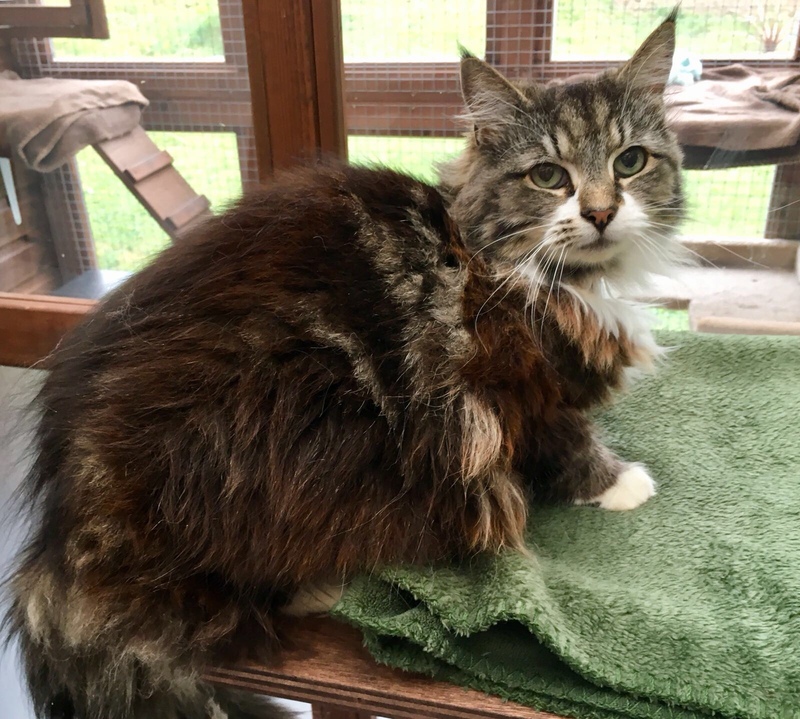 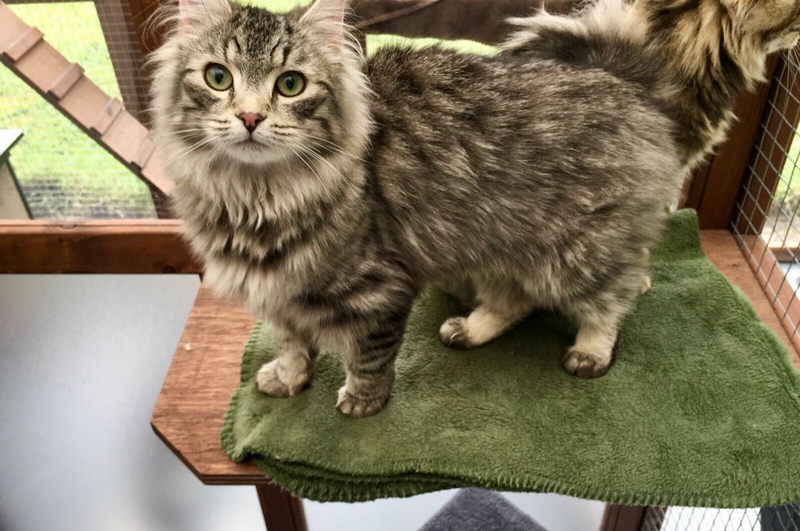 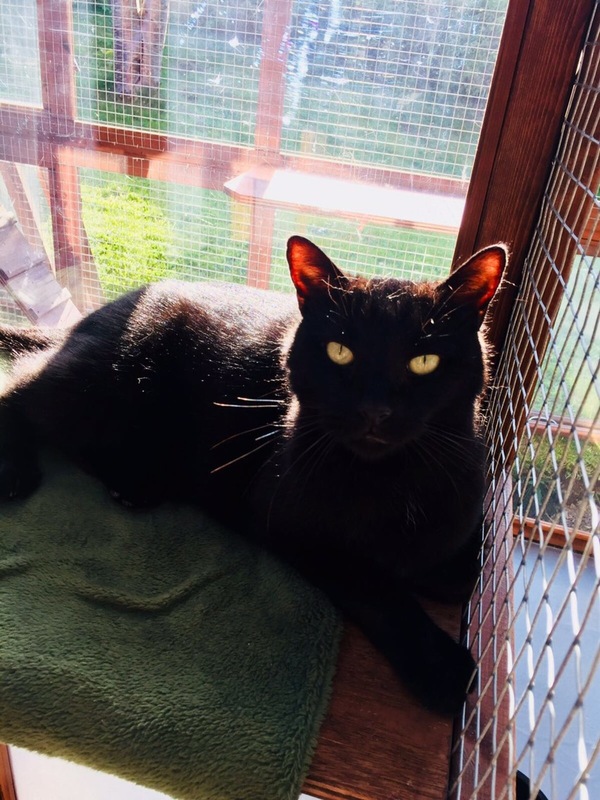 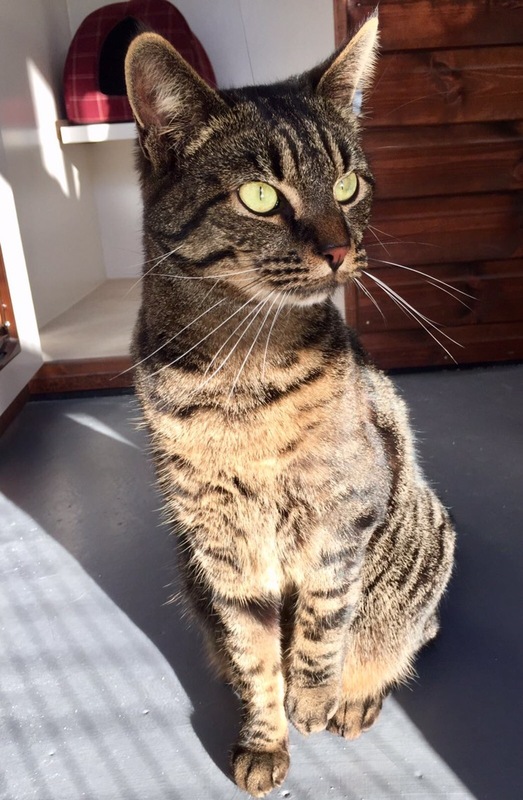 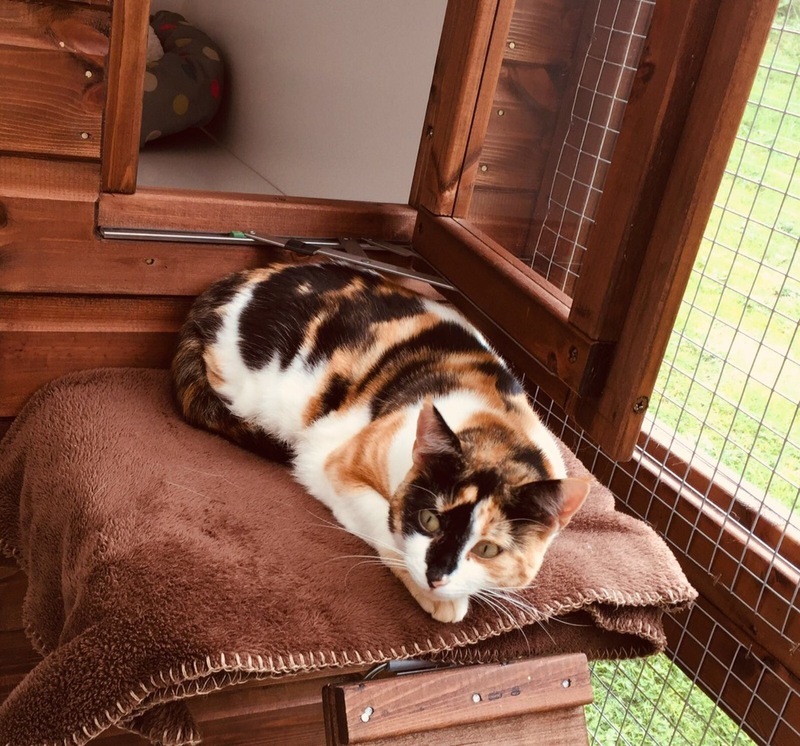 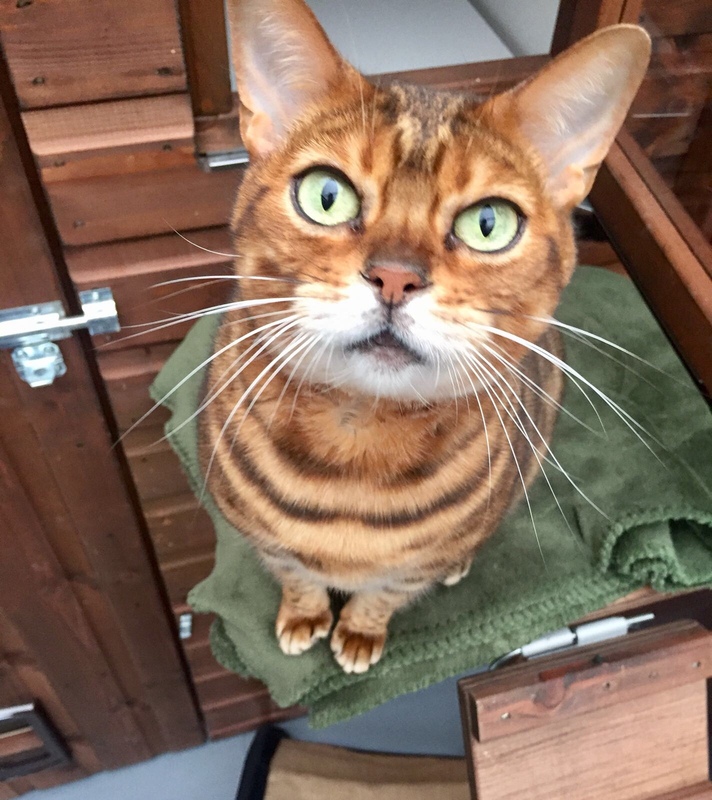 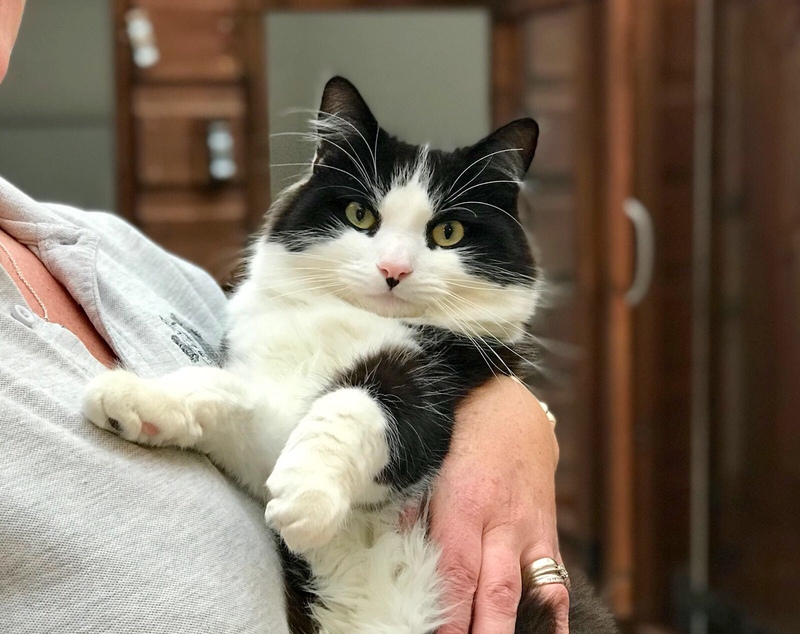 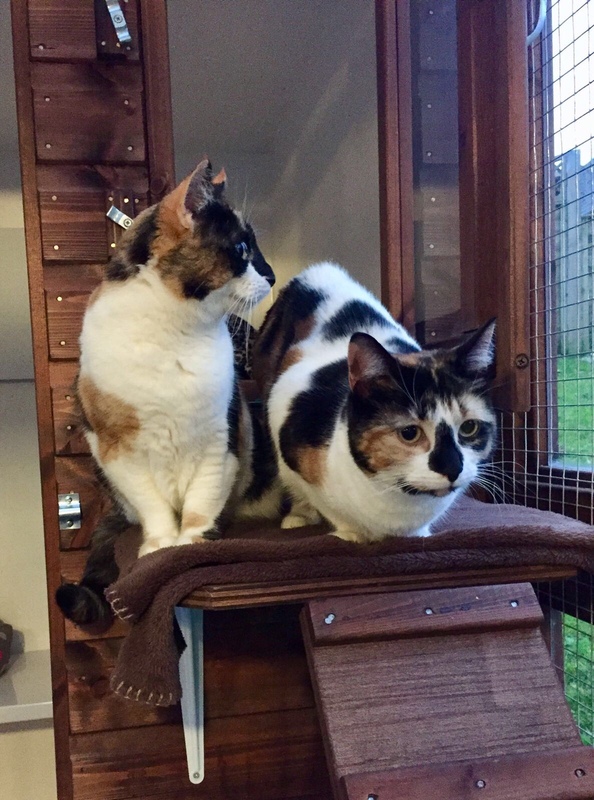 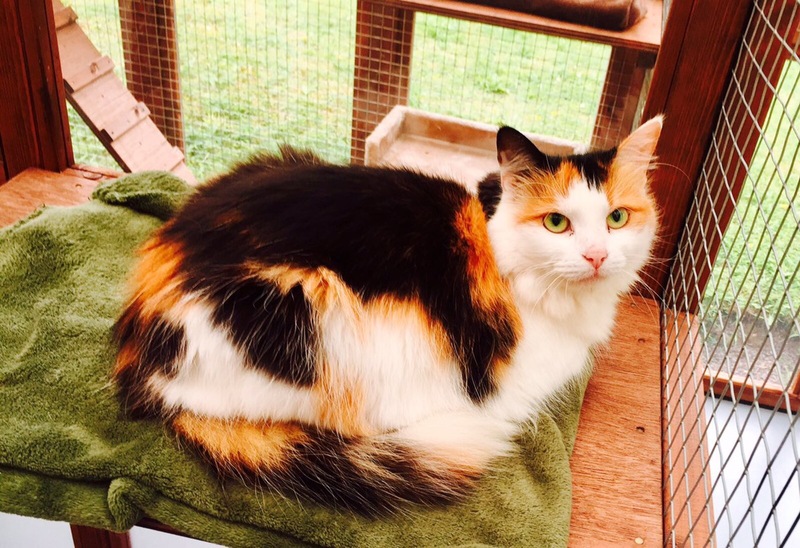 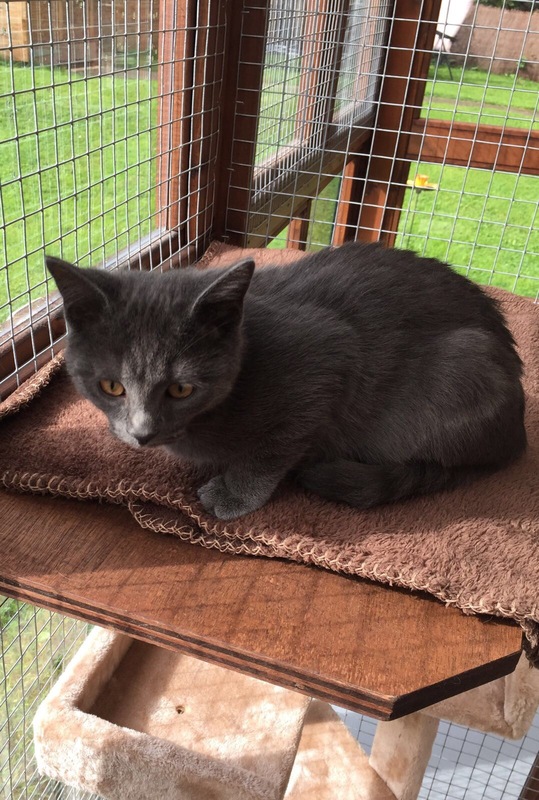 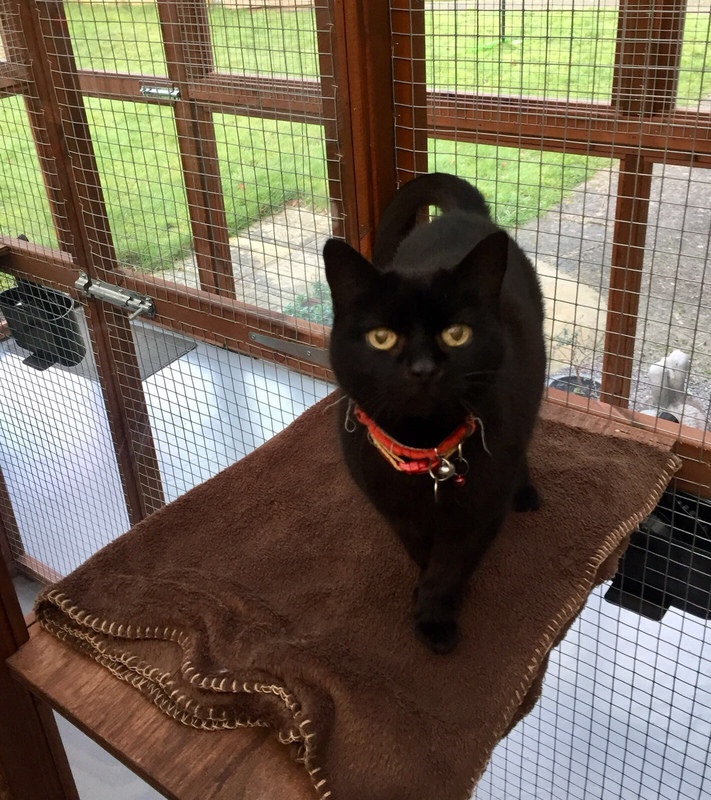 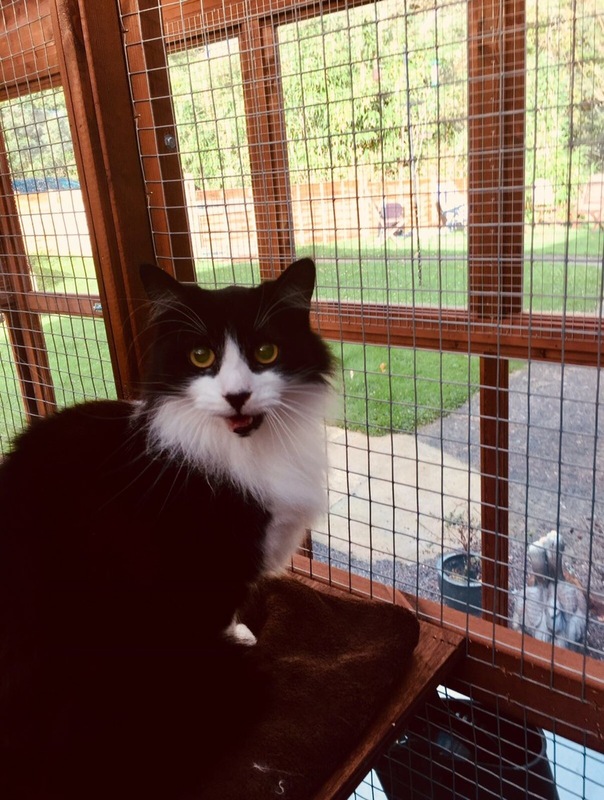 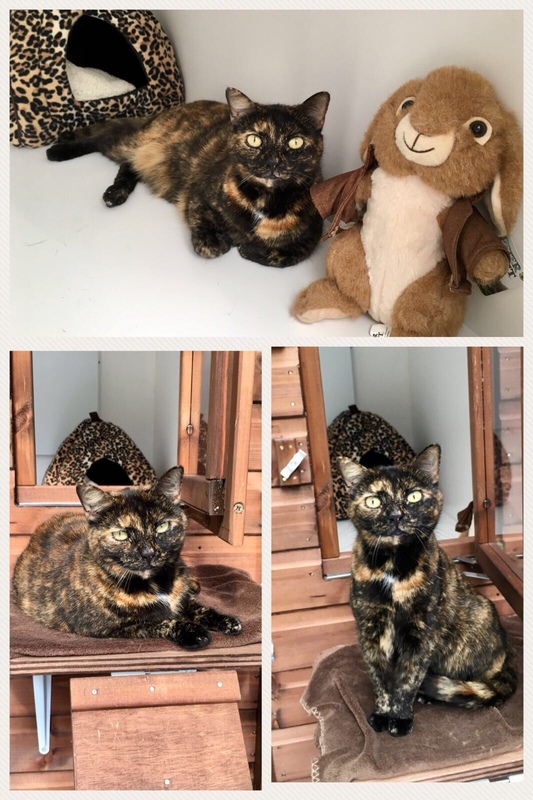 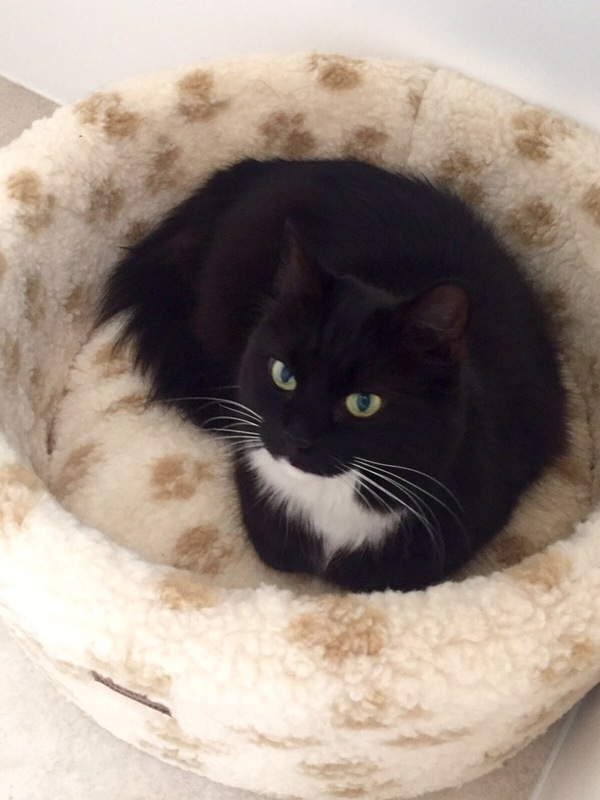 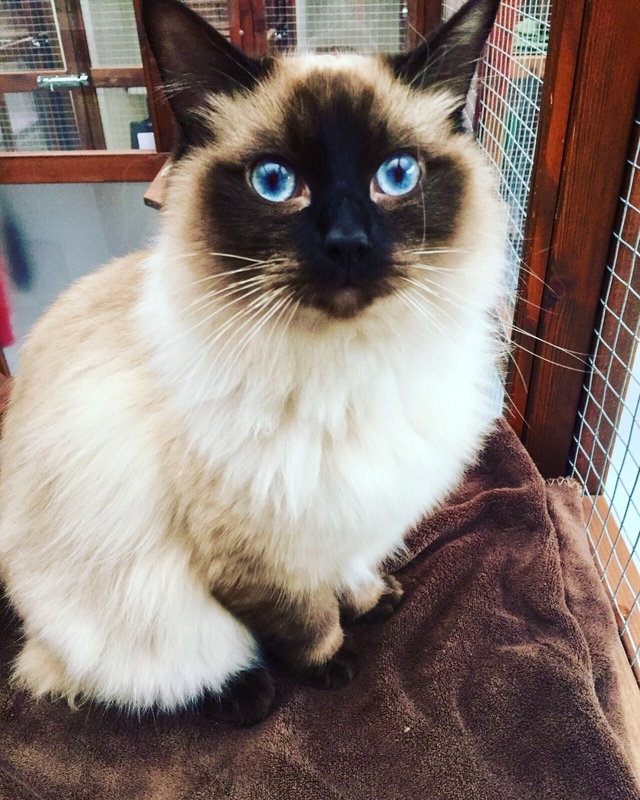 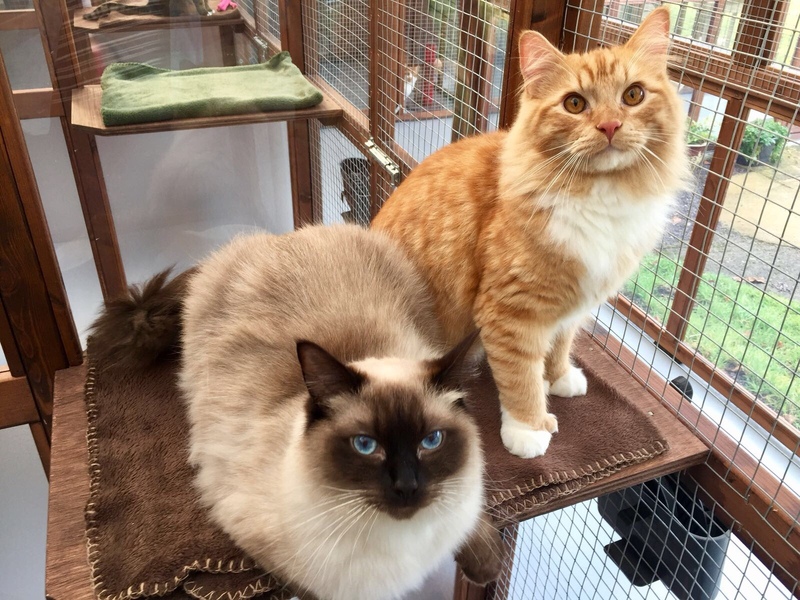 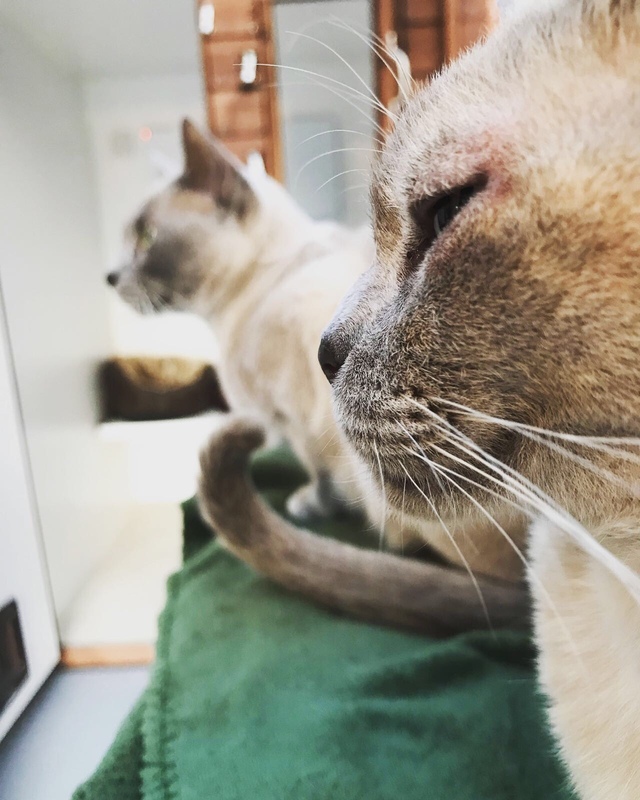 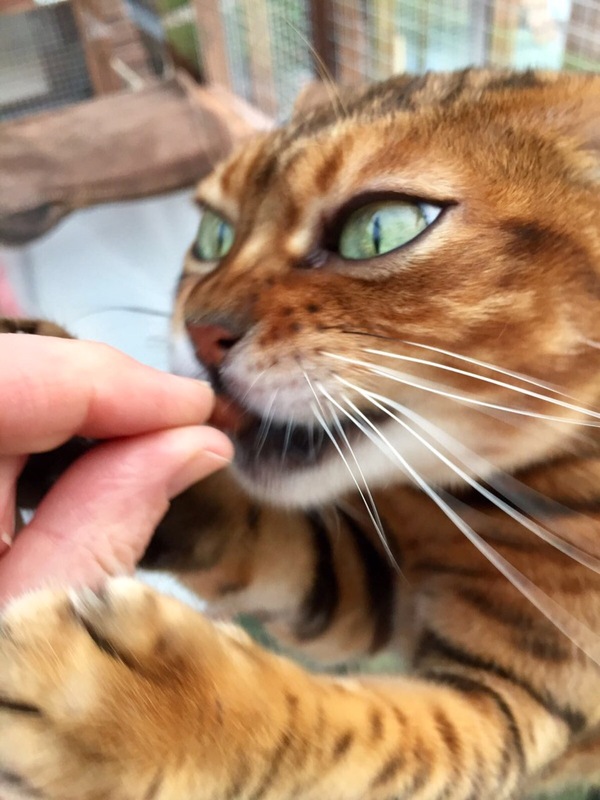 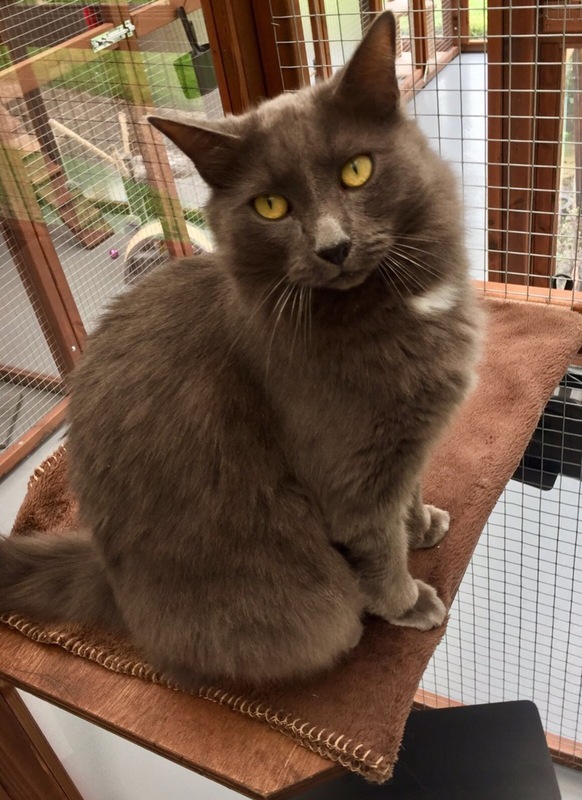 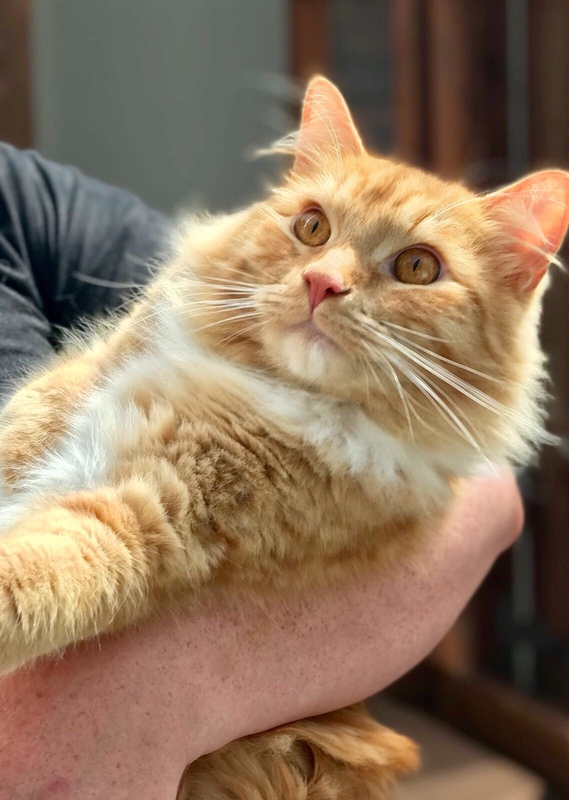 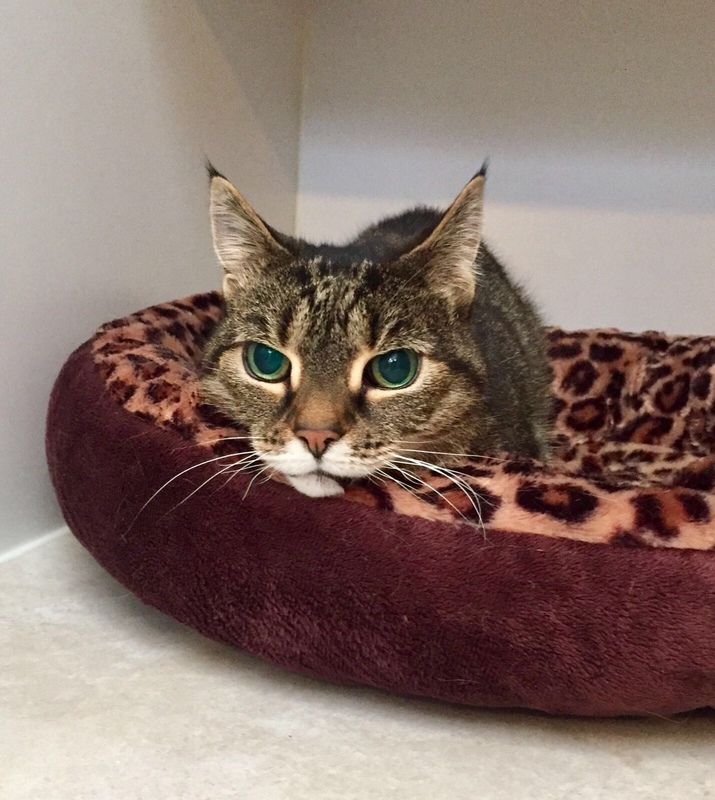 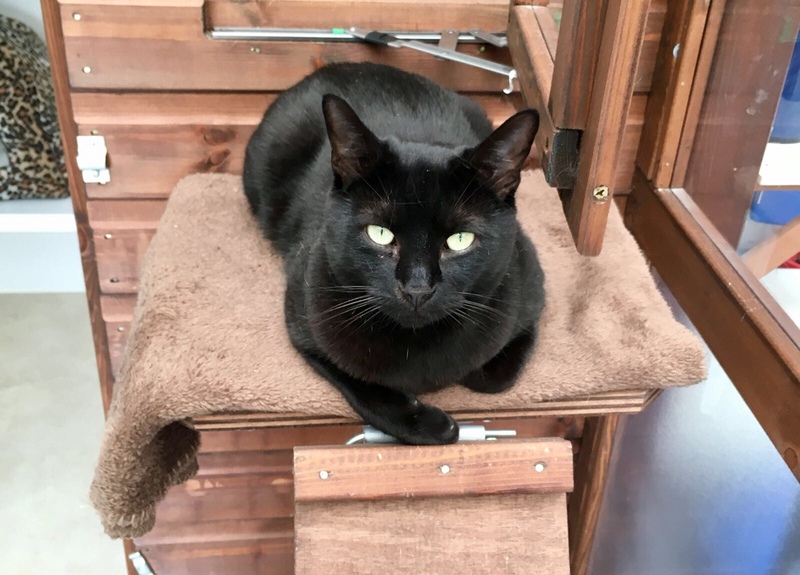 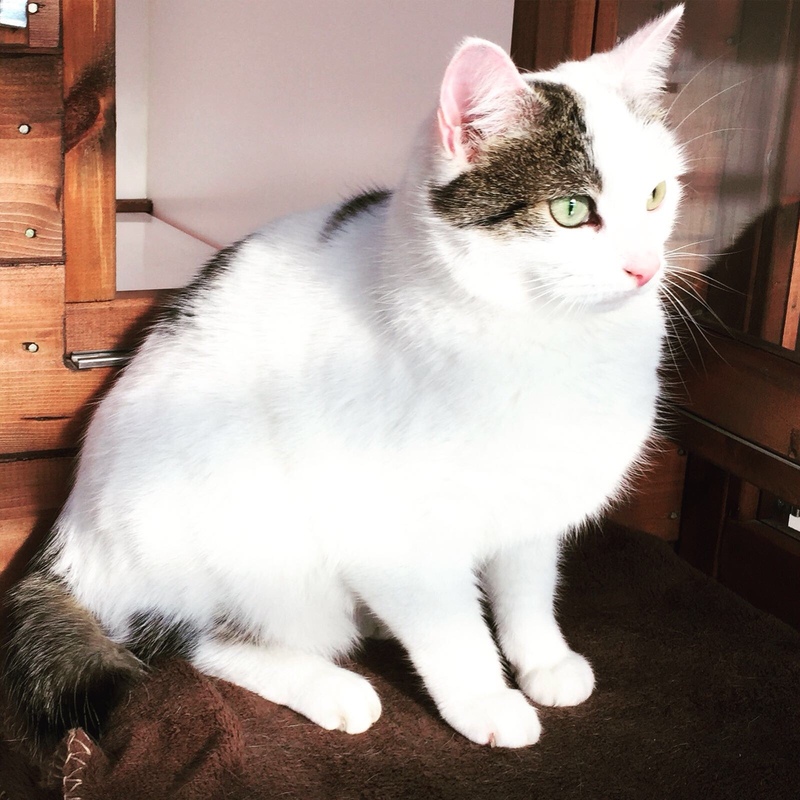 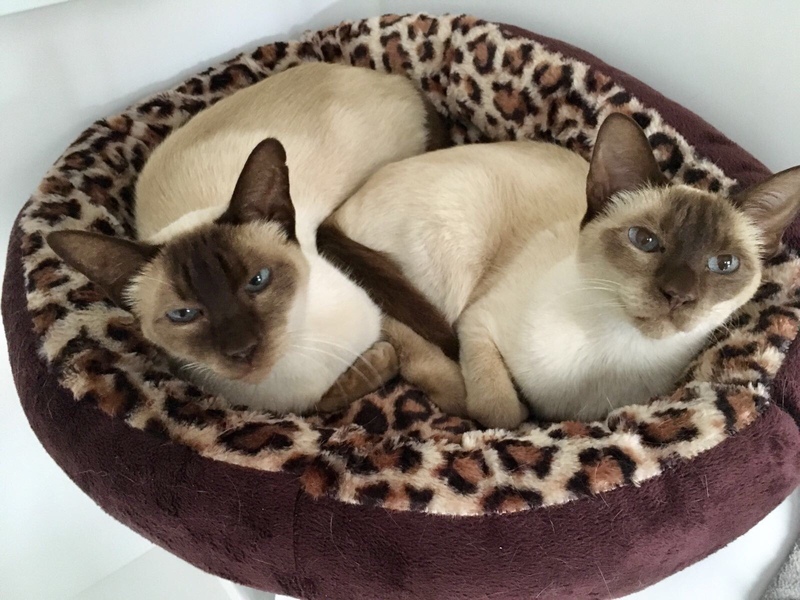 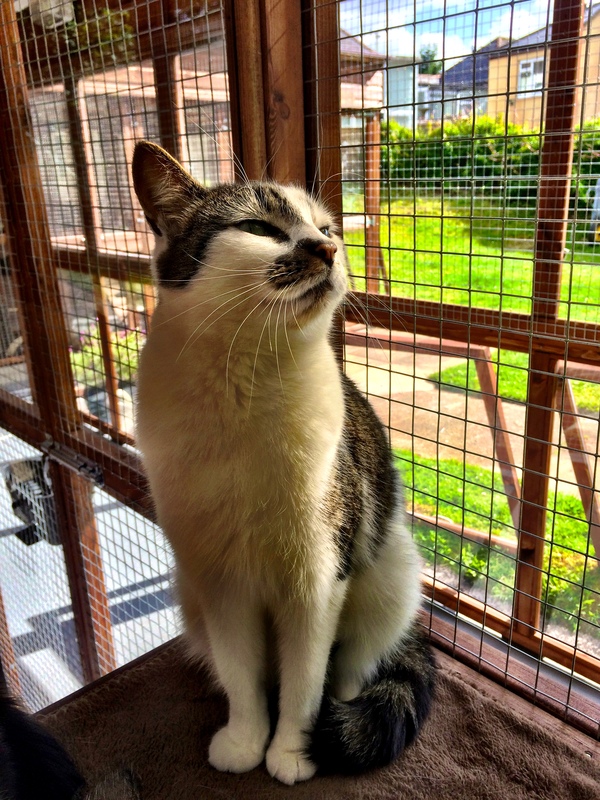 At Happy Tails Yeovil Cat Hotel, we understand that leaving a cherished pet with strangers can be a worrying time for both owners and cats alike. 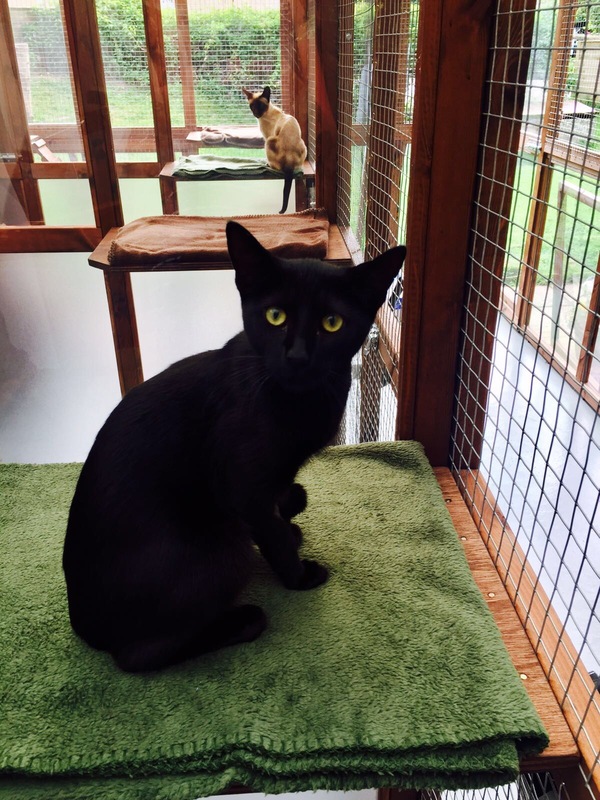 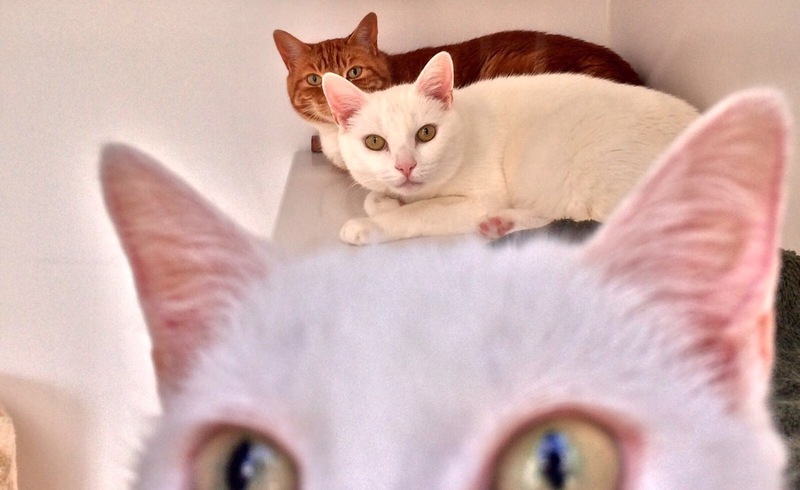 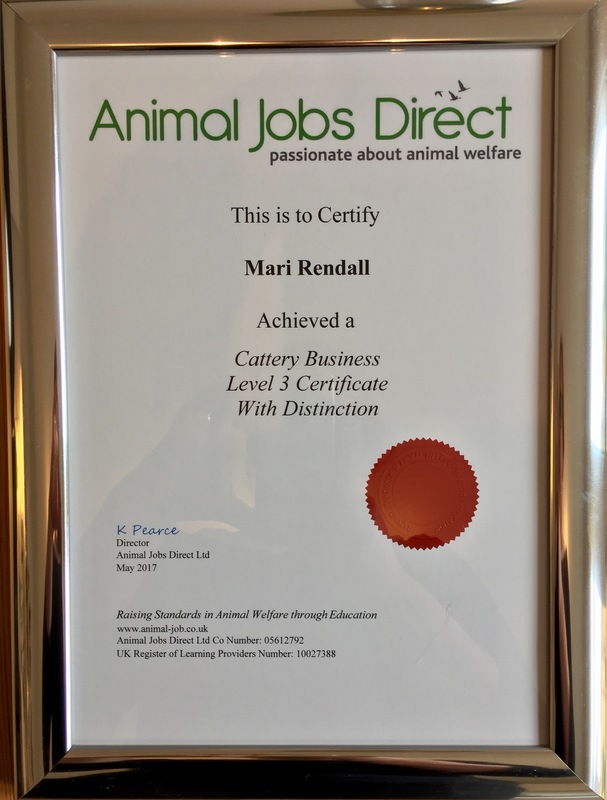 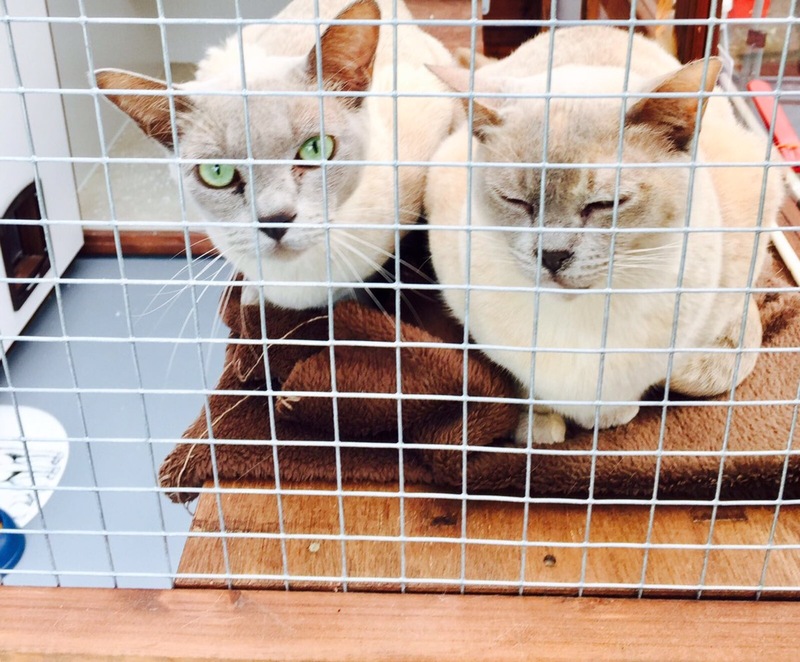 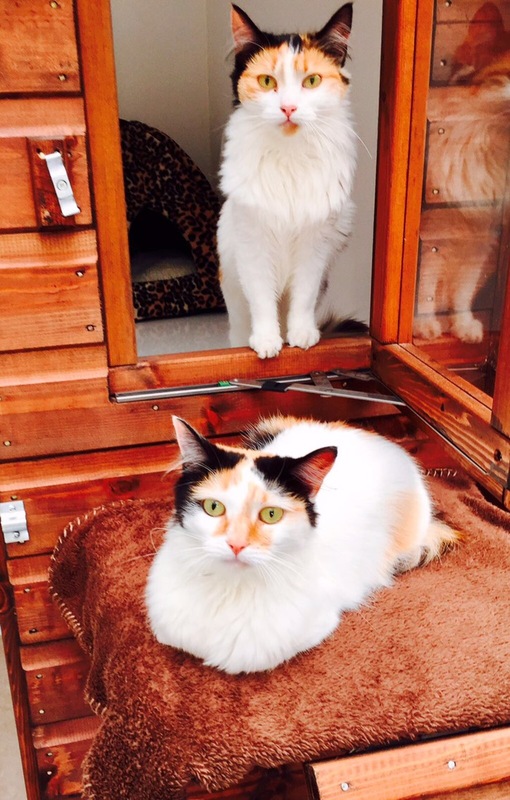 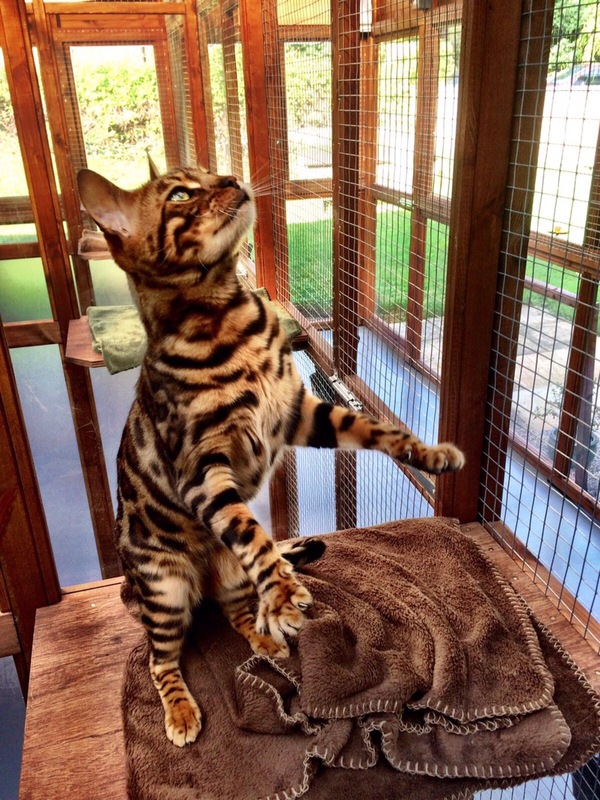 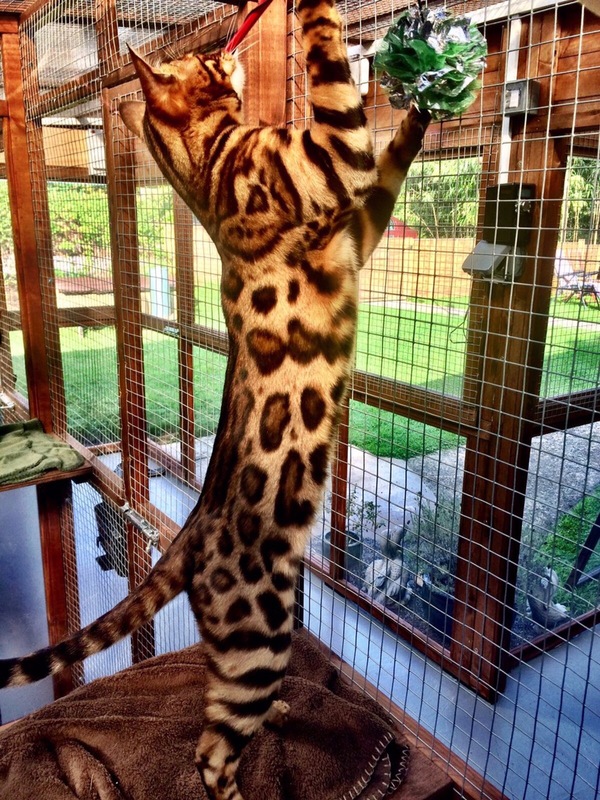 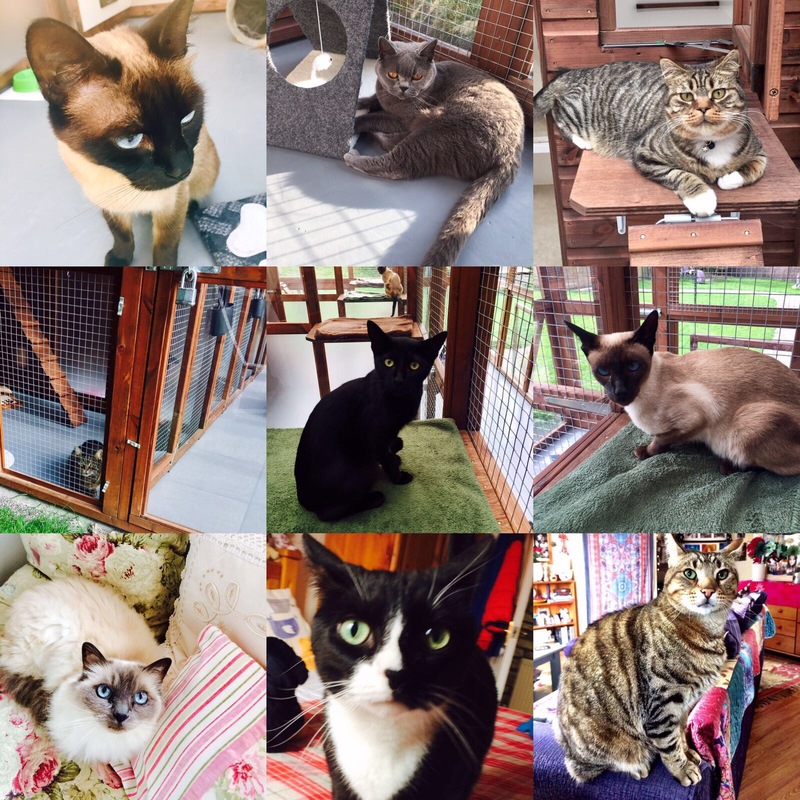 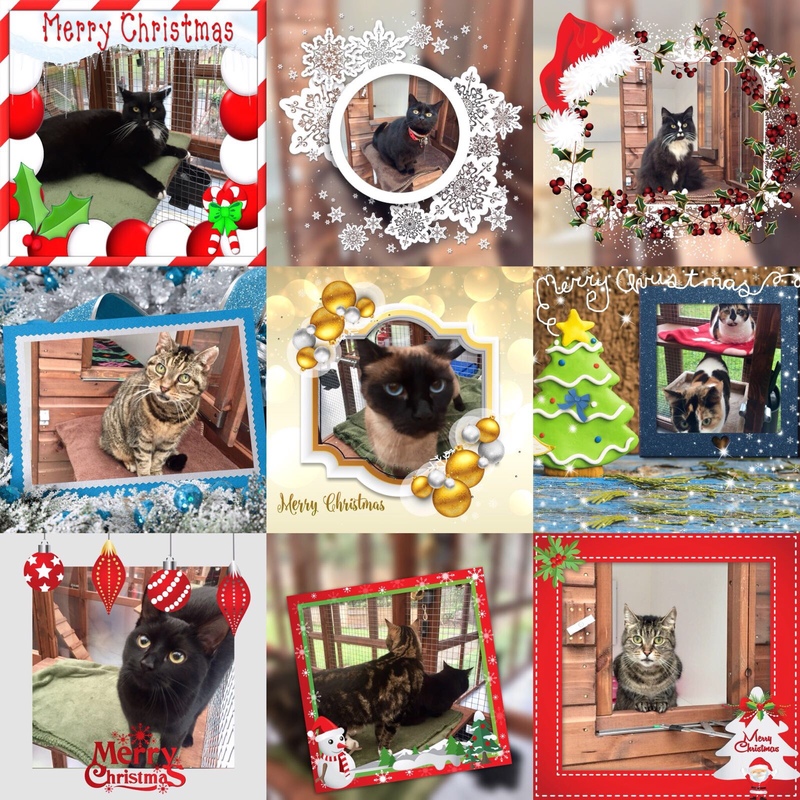 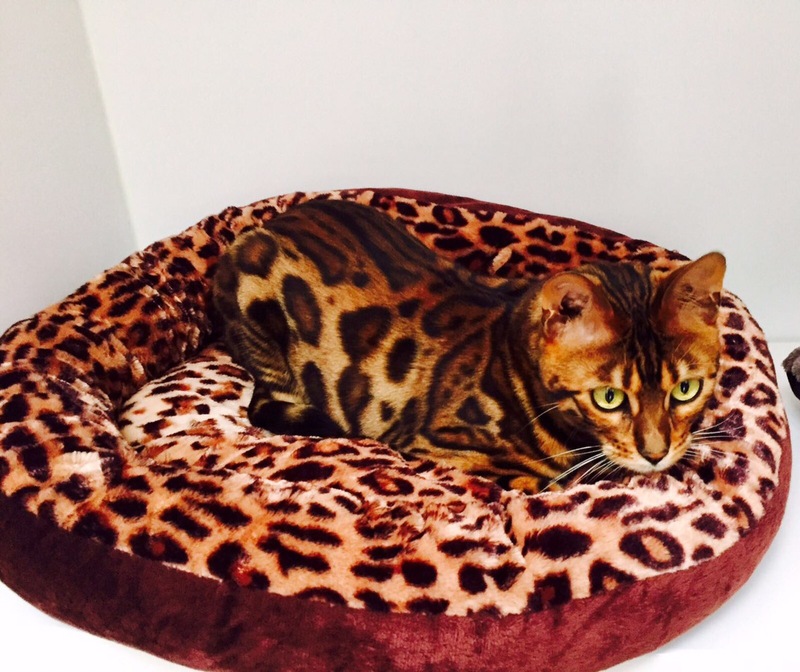 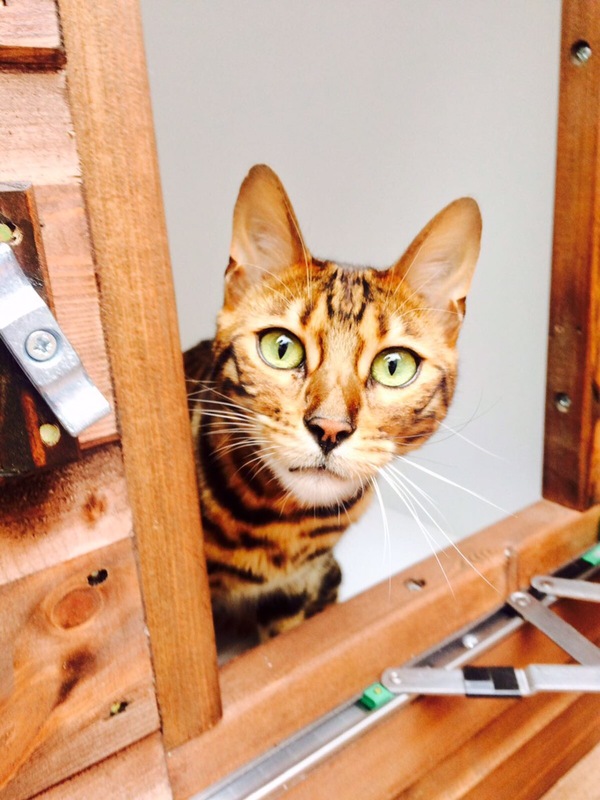 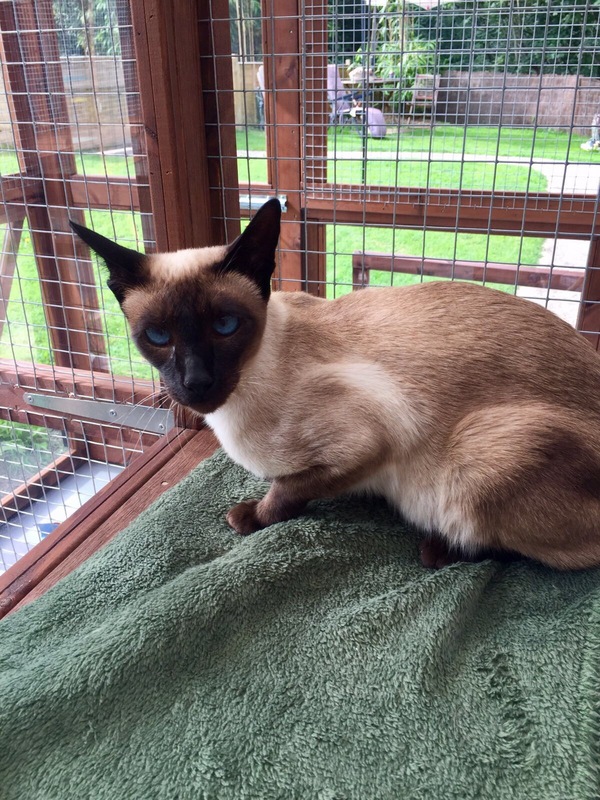 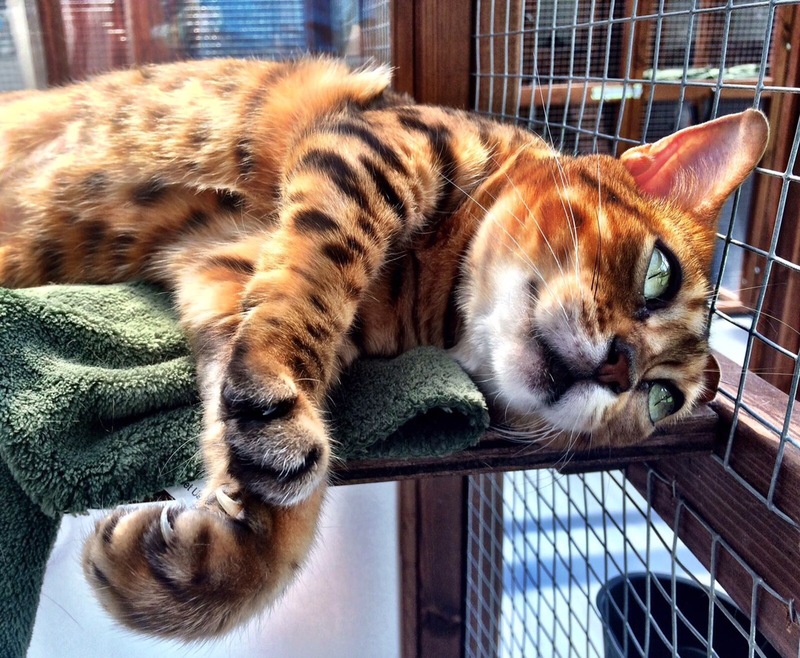 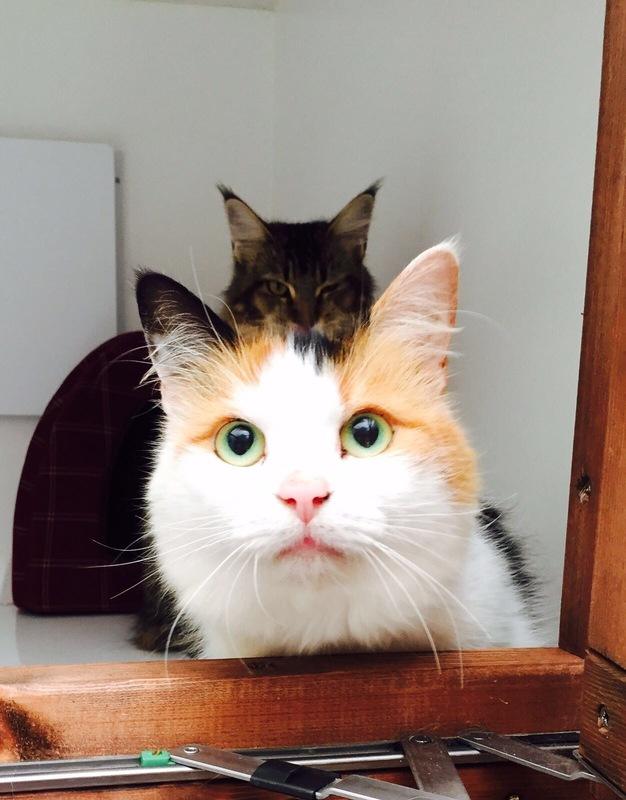 Therefore, we pride ourselves on the individual care and attention we can give each cat being a small Cattery. 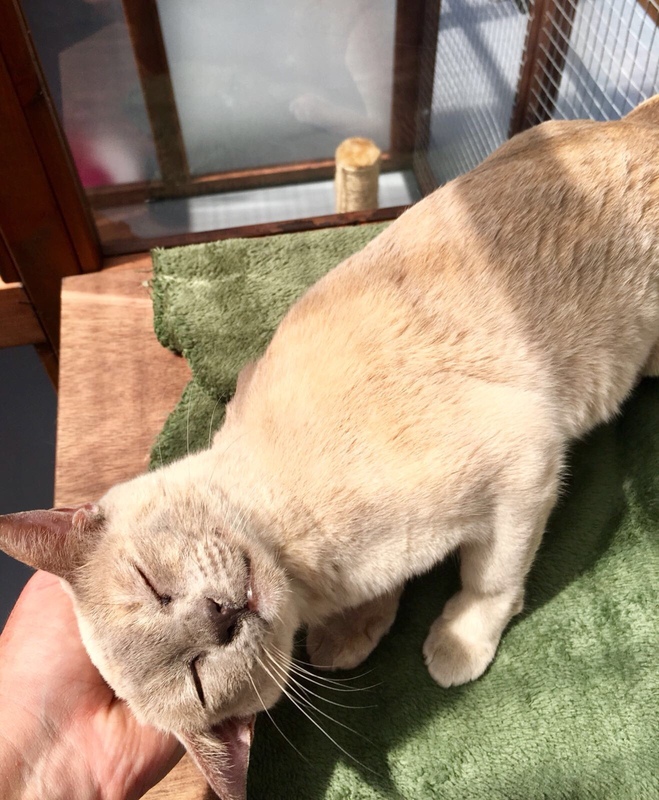 During your cat’s stay, he/she will receive the all the fussing any pampered feline could wish for. 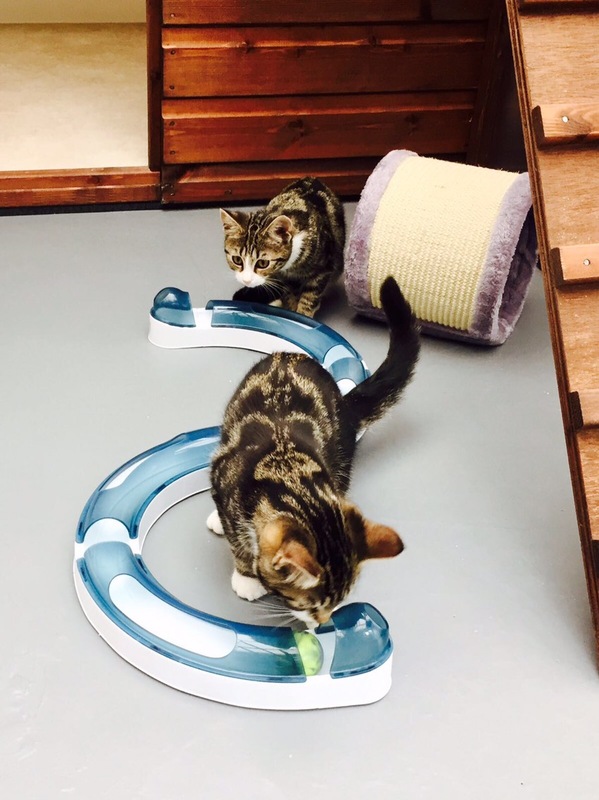 We organise daily play sessions for the younger ones with a variety of cat-safety approved toys. 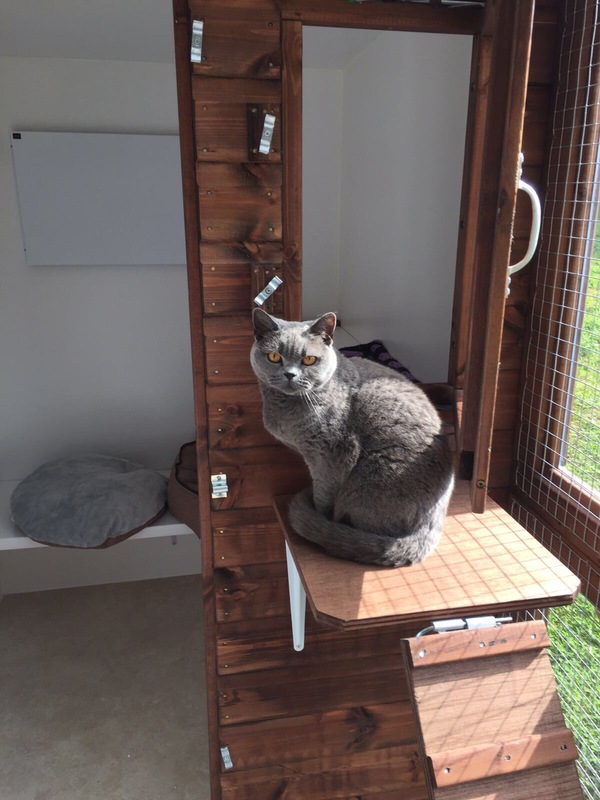 For the older ones, a radio is available on request to provide some entertainment as well as brushing and stroking sessions.